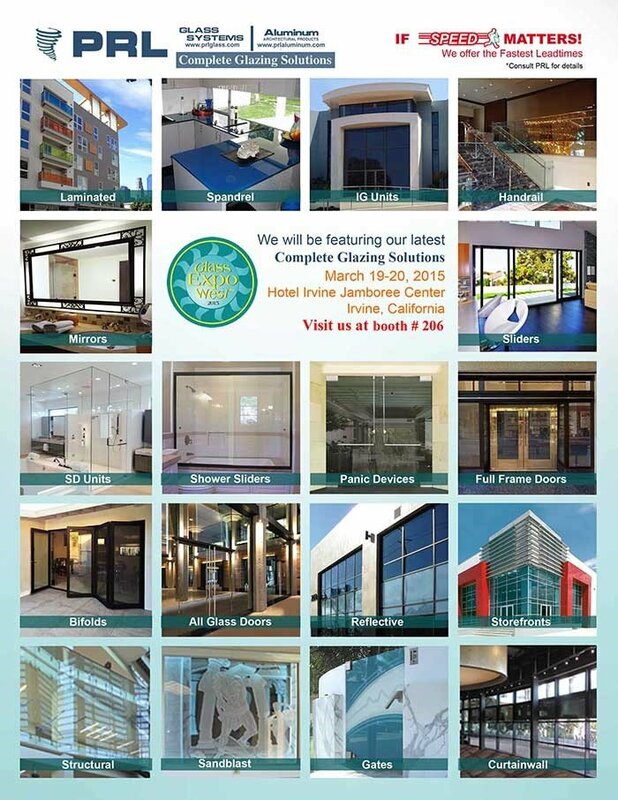 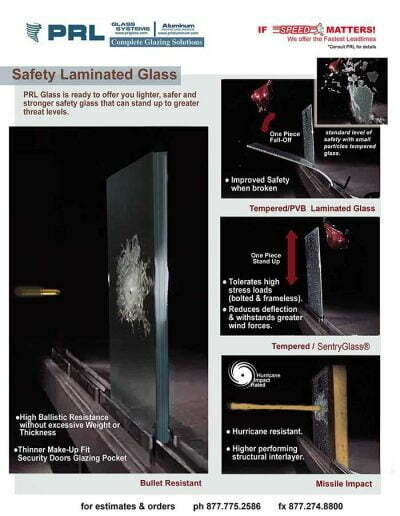 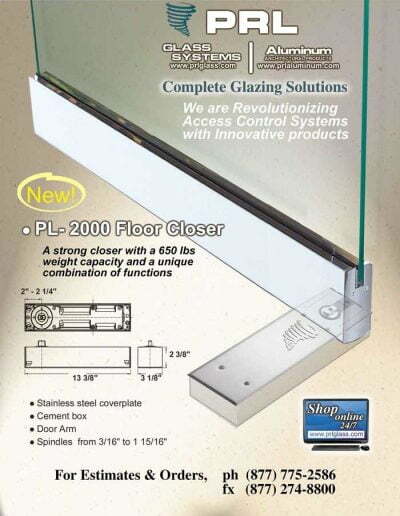 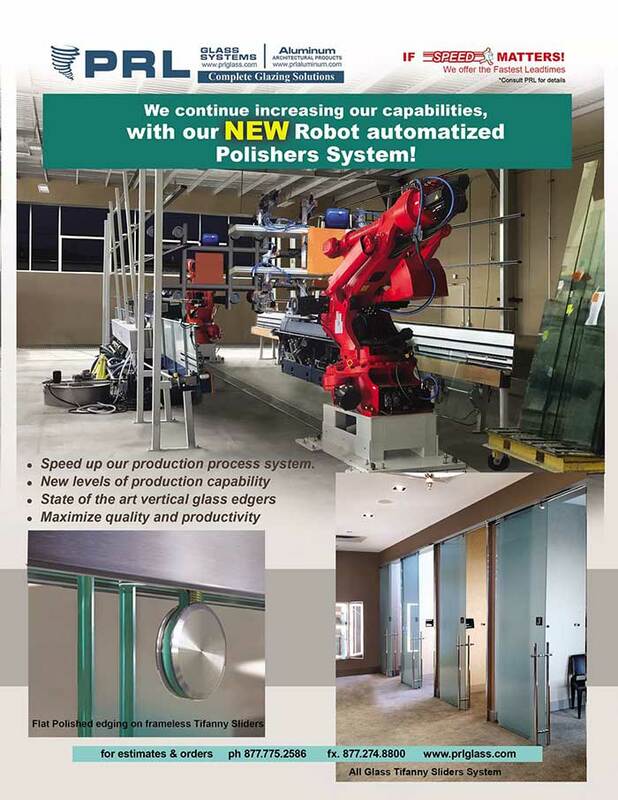 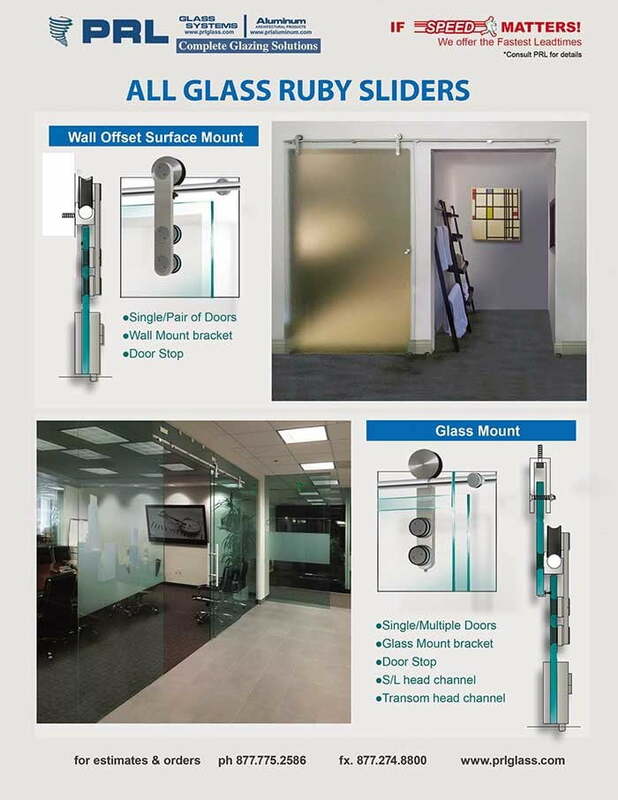 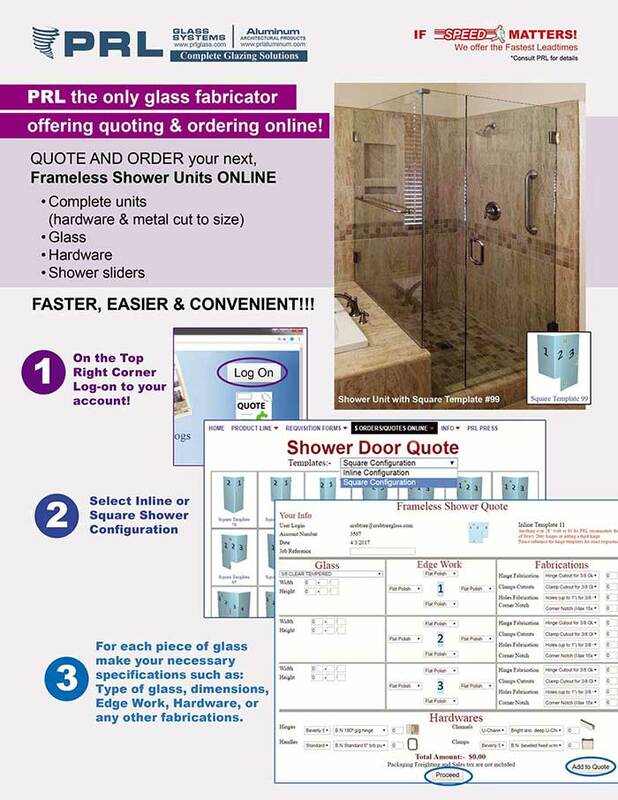 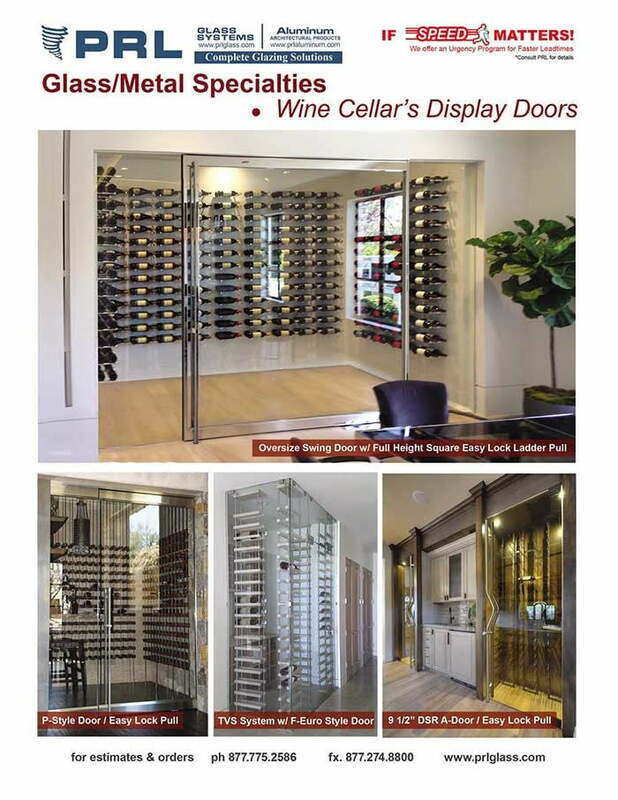 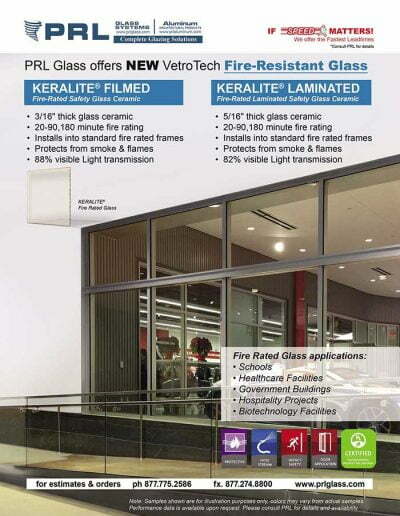 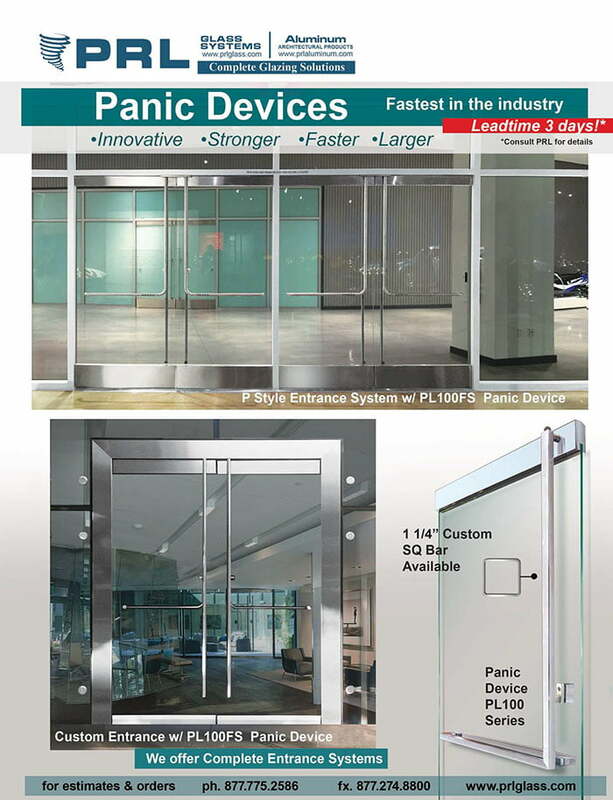 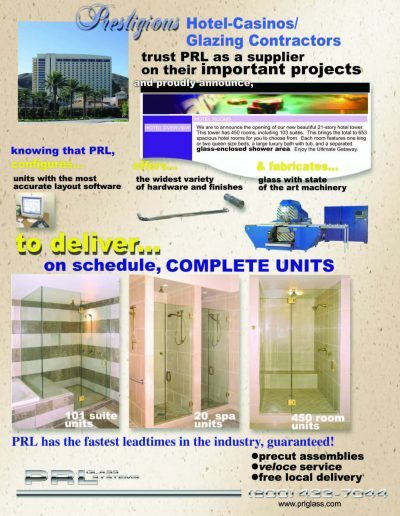 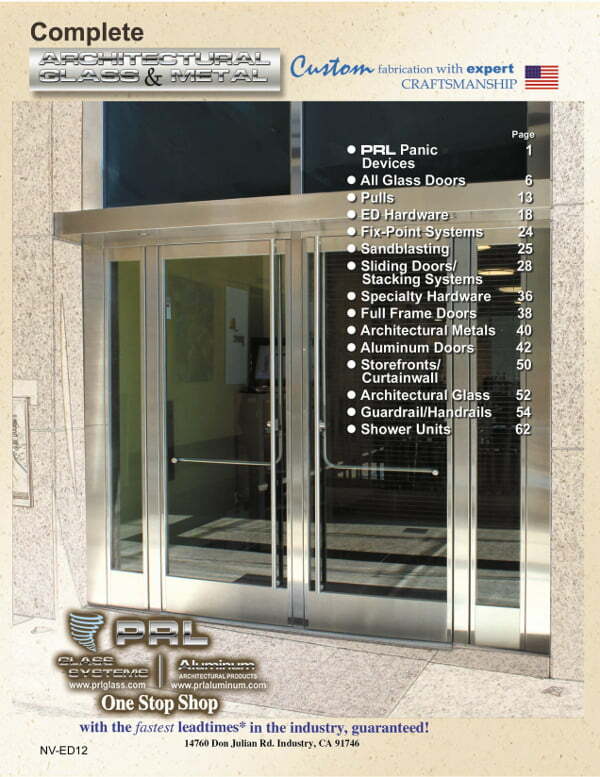 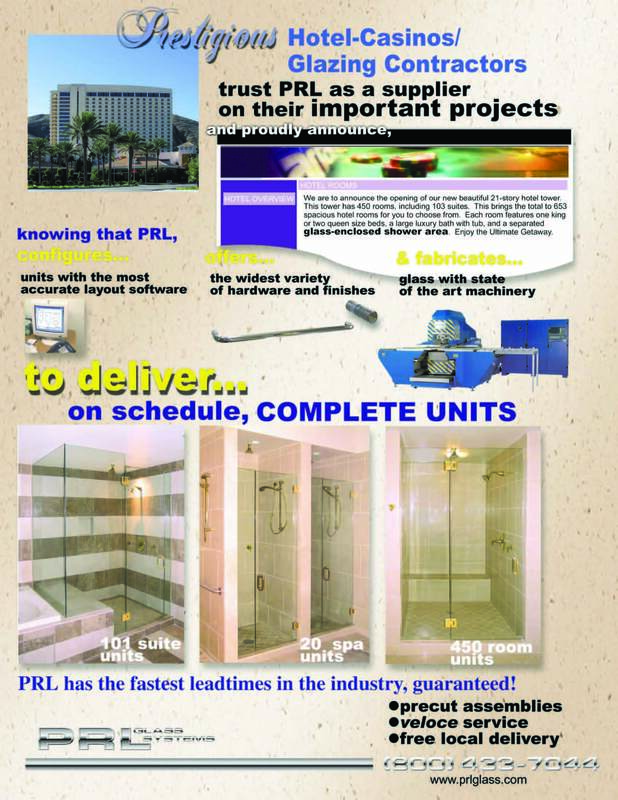 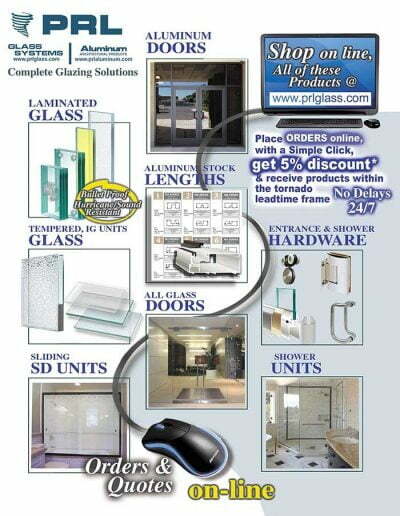 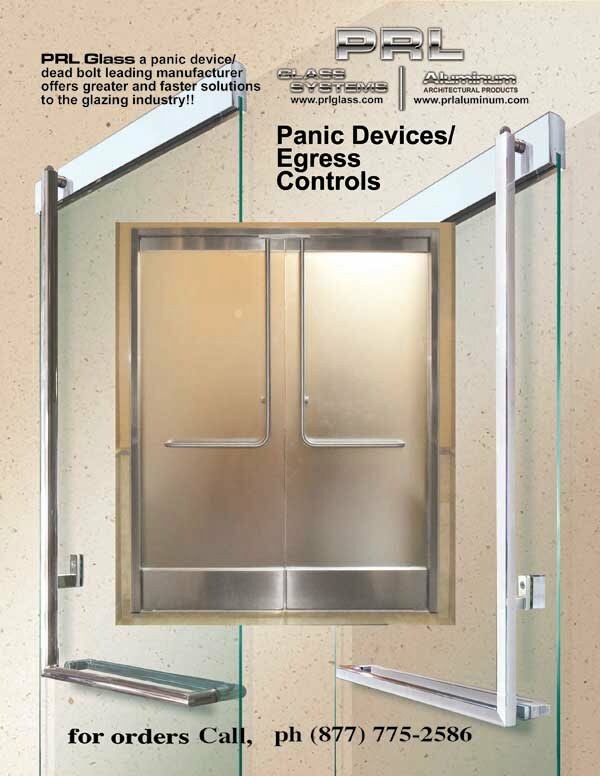 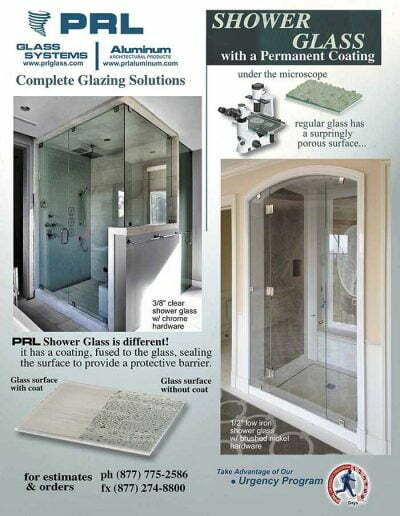 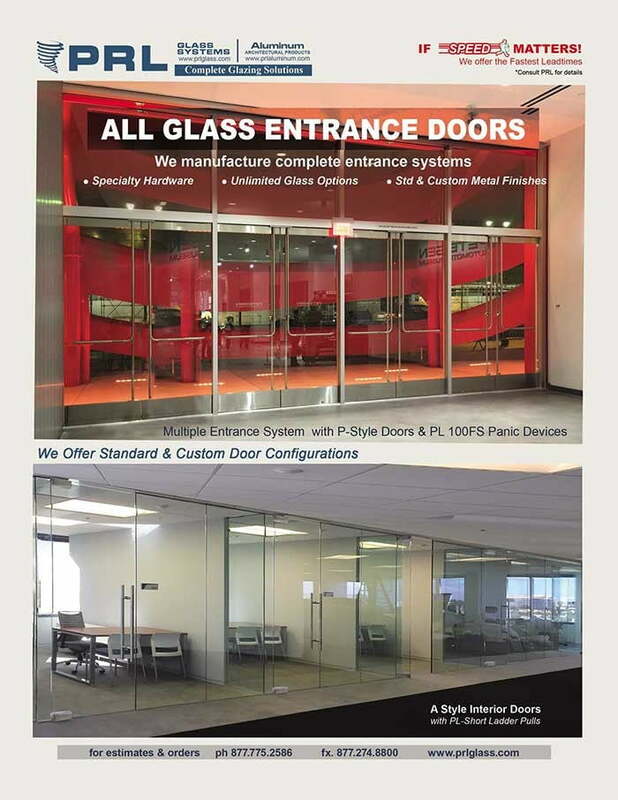 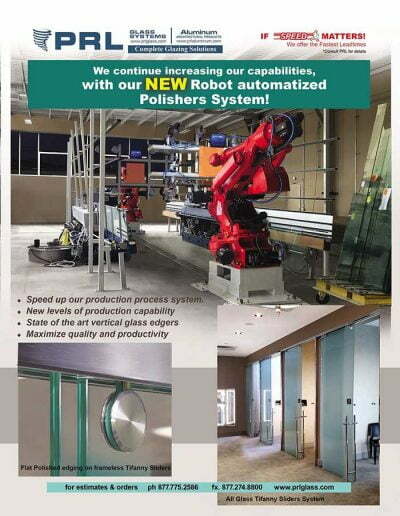 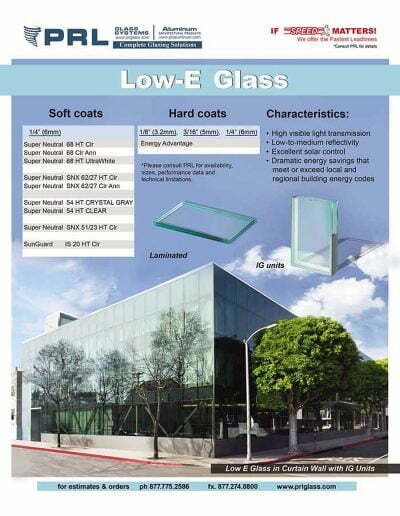 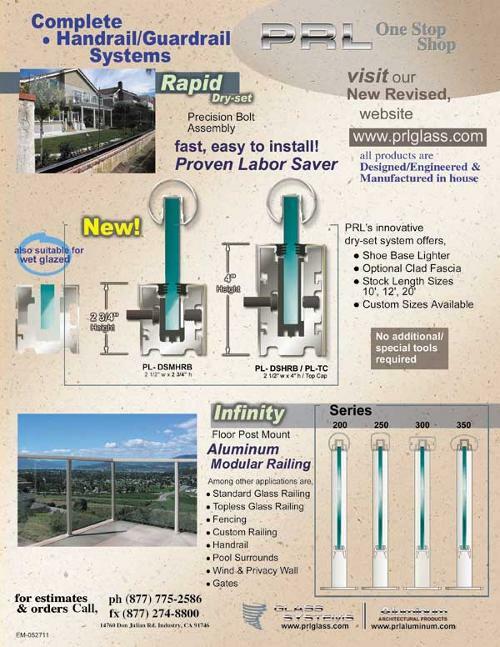 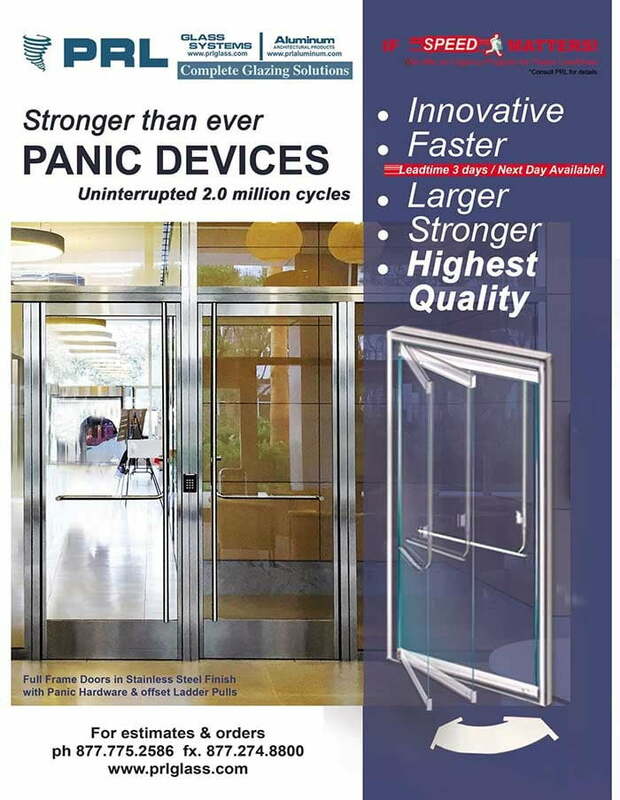 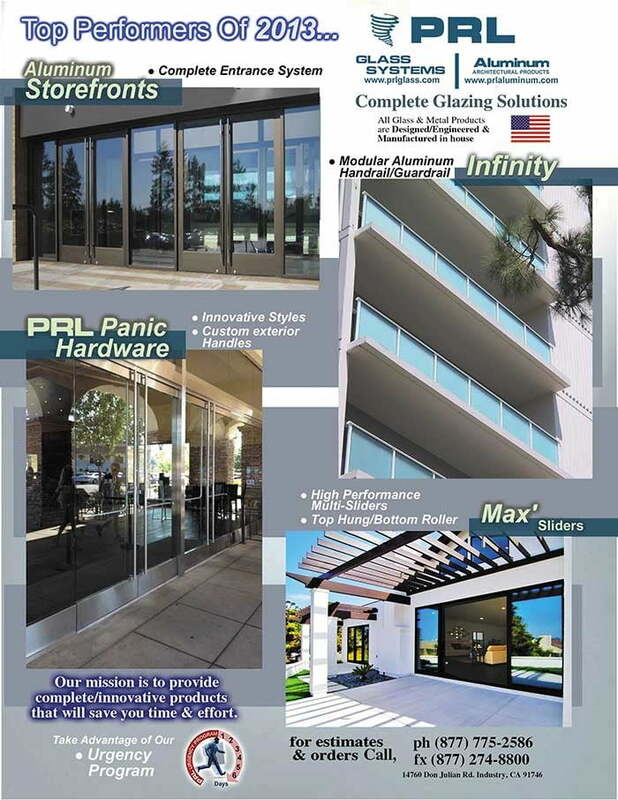 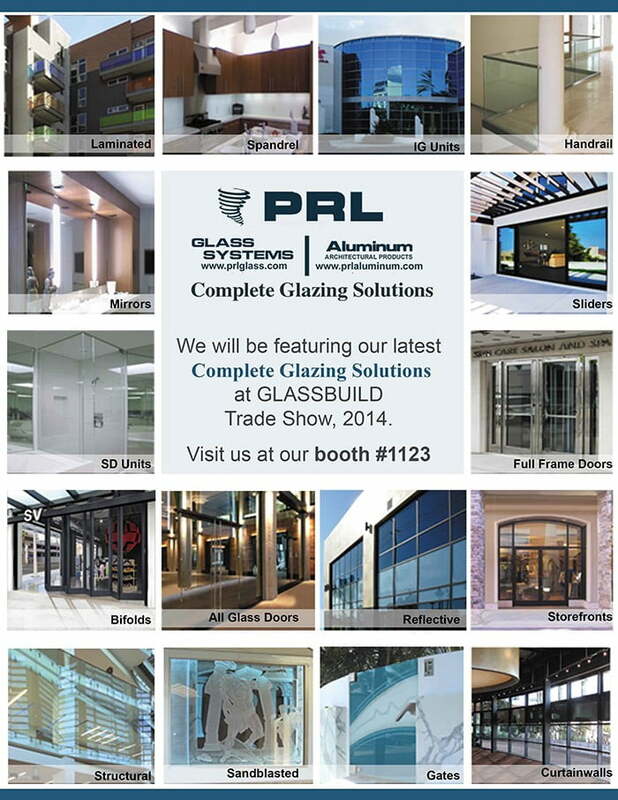 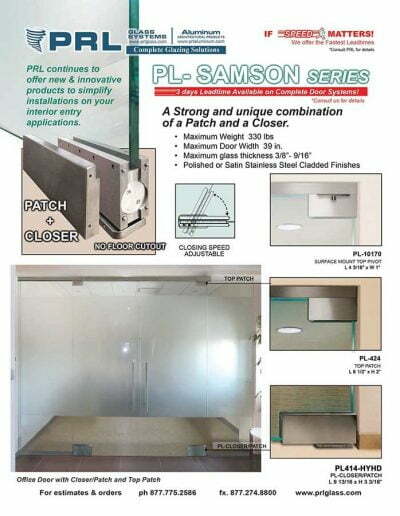 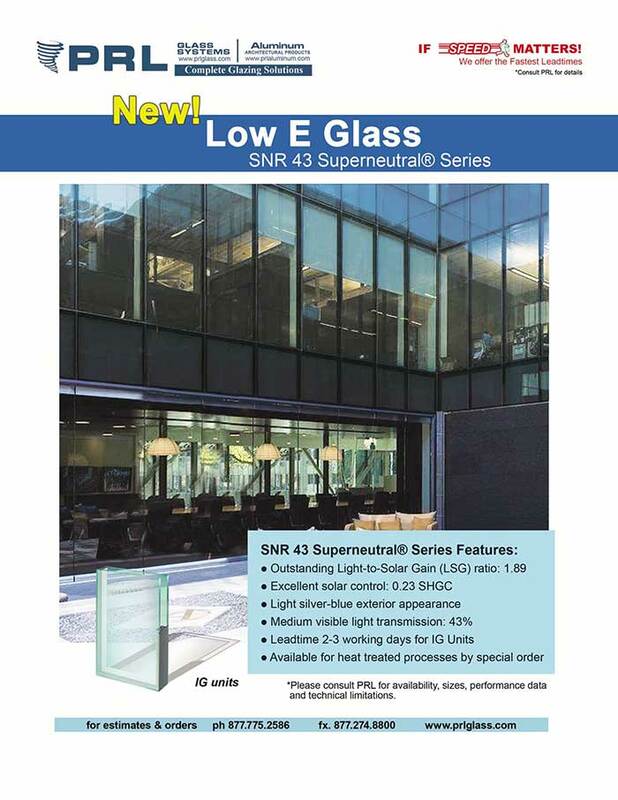 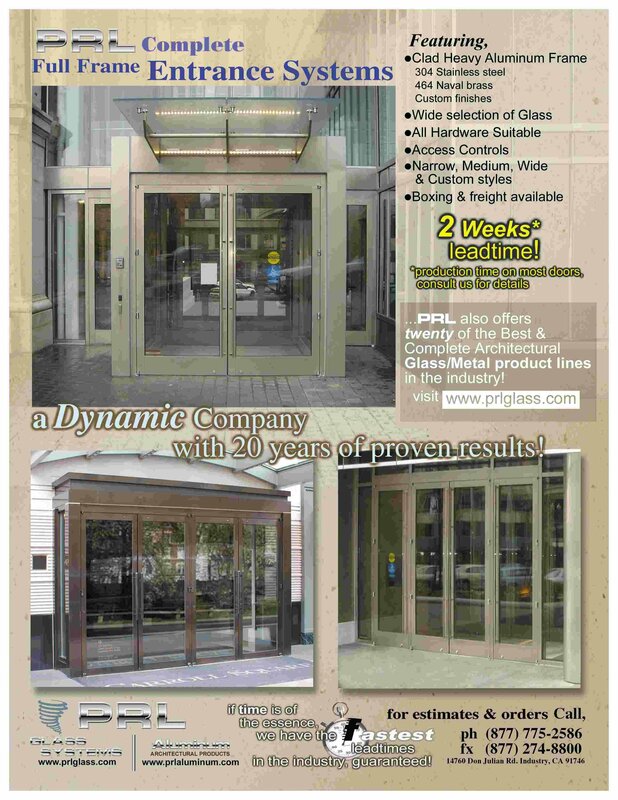 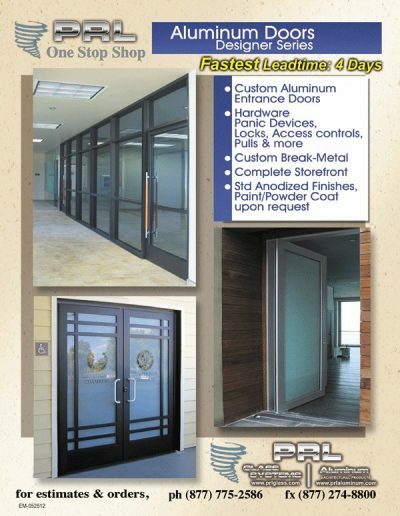 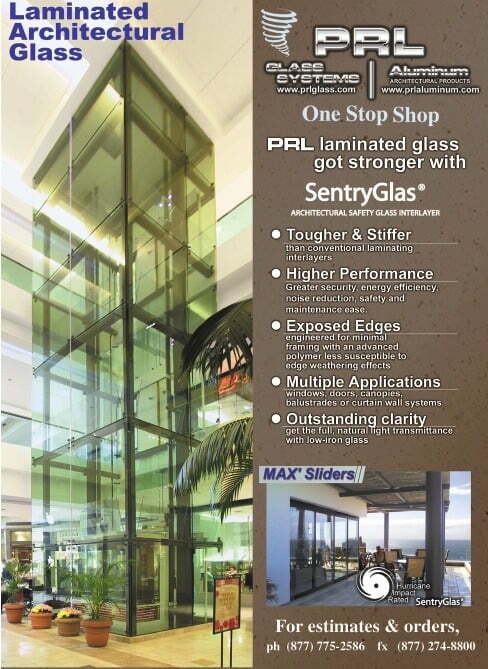 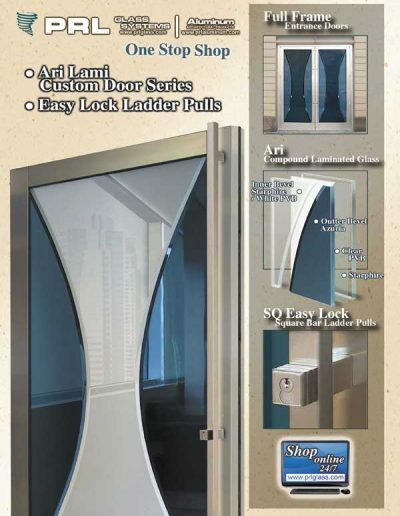 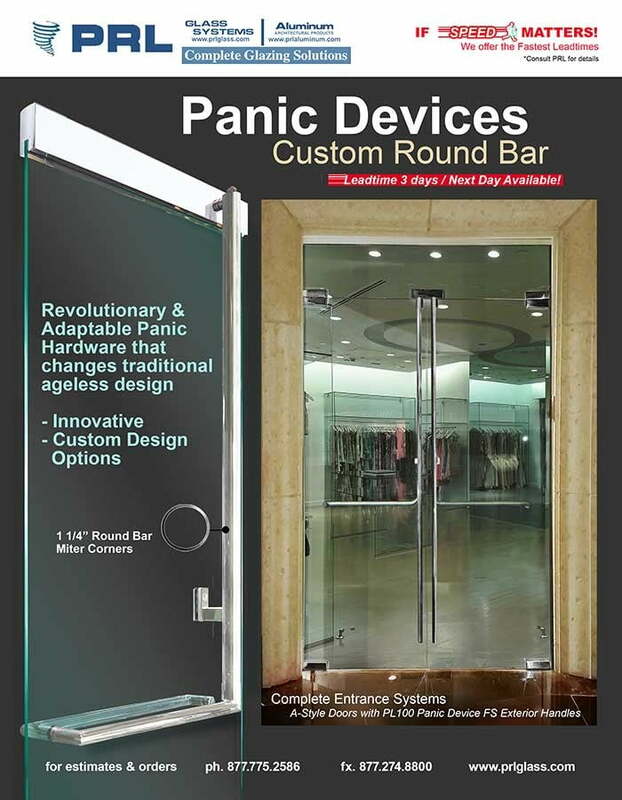 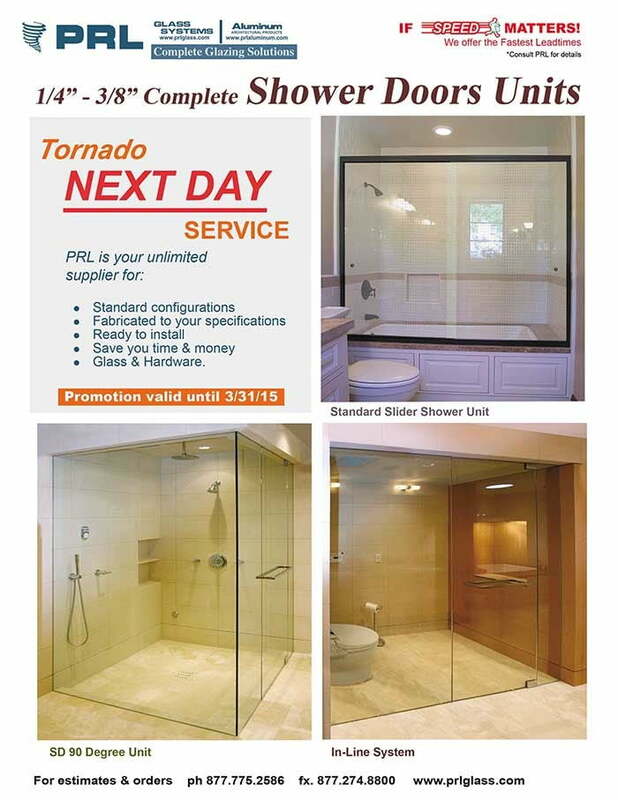 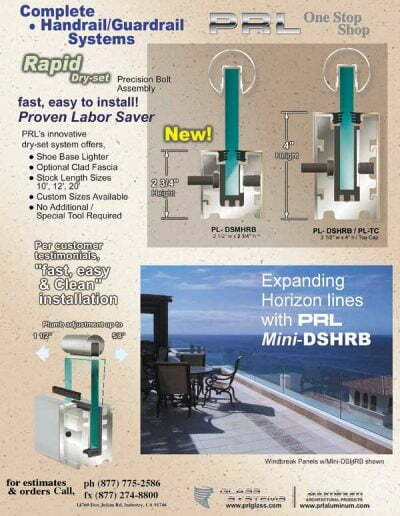 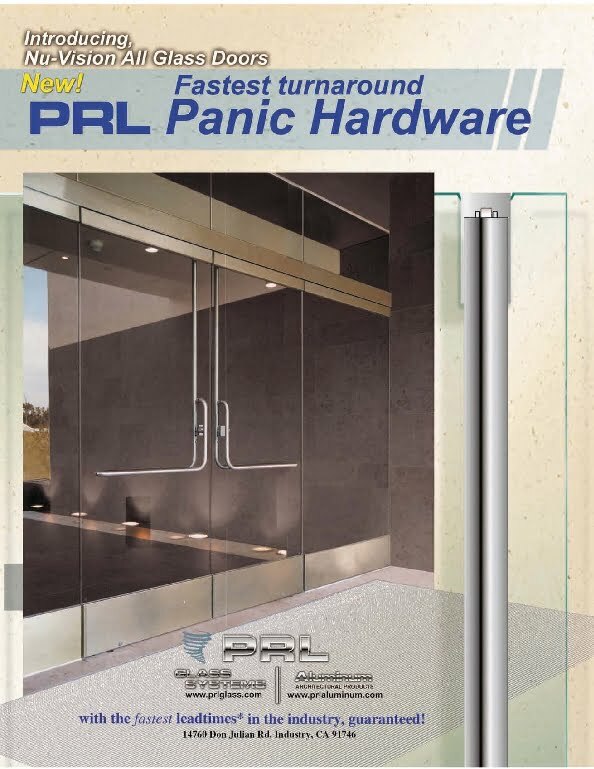 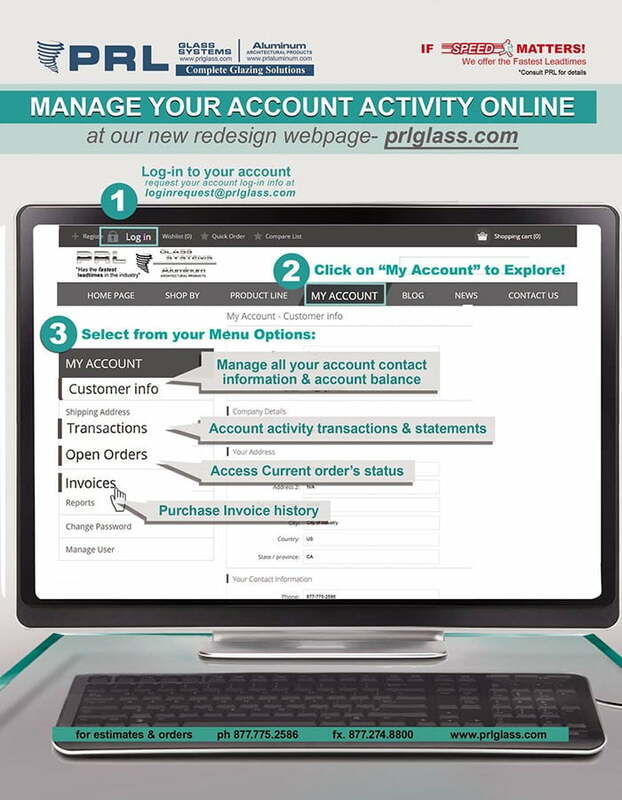 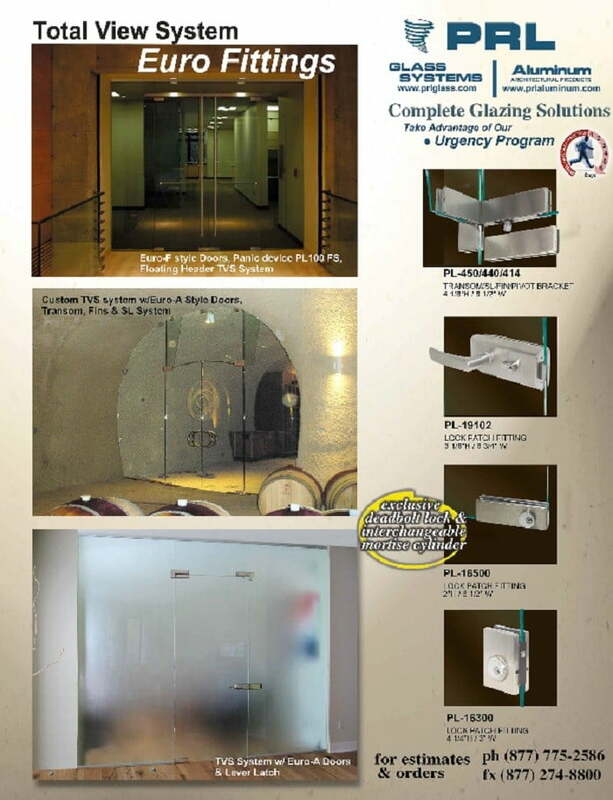 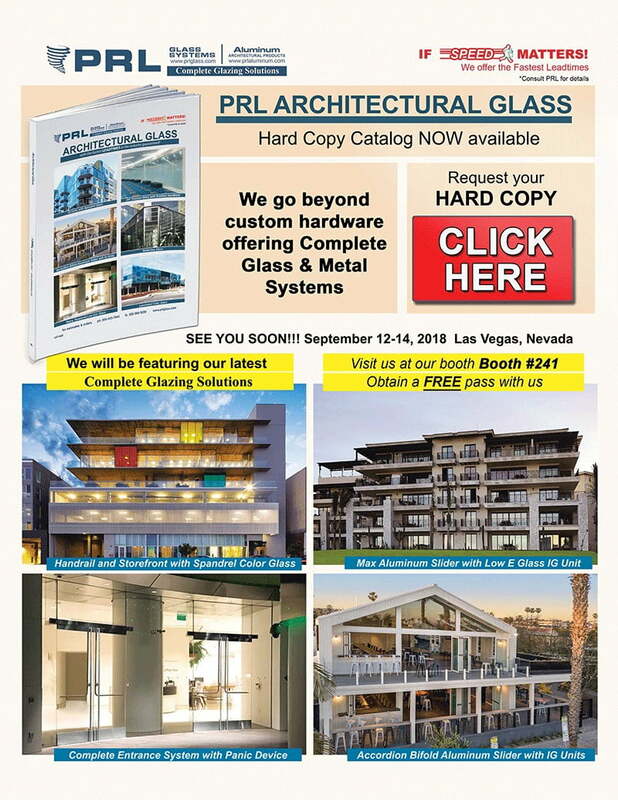 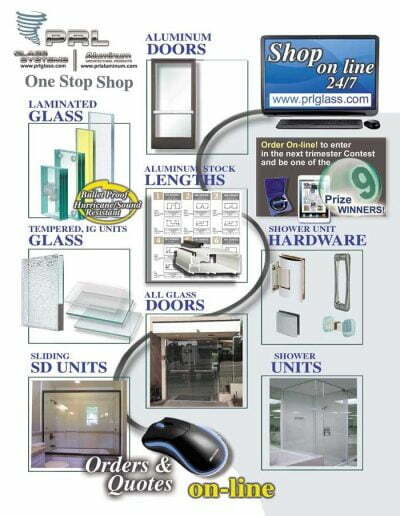 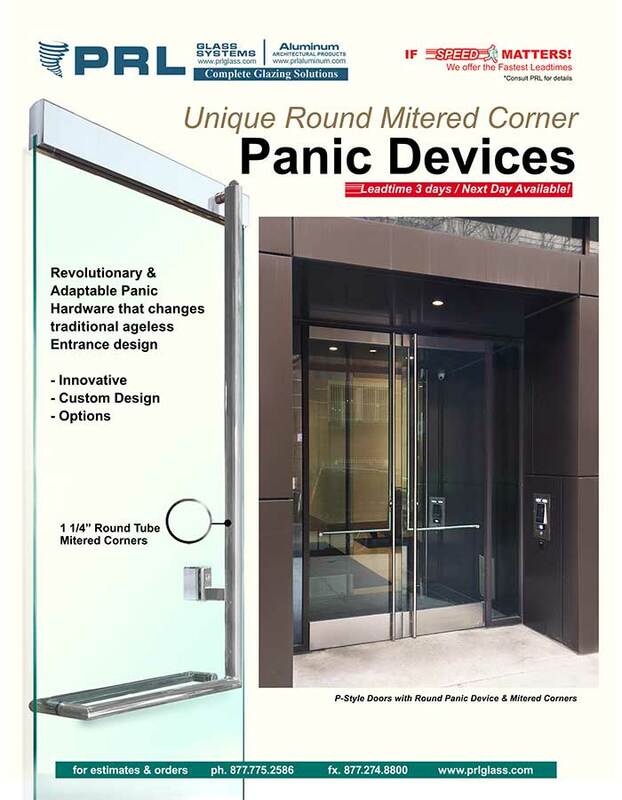 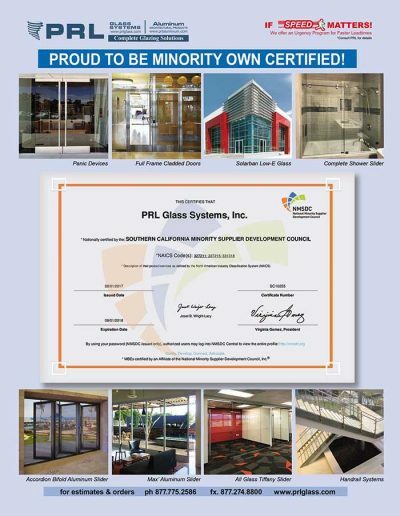 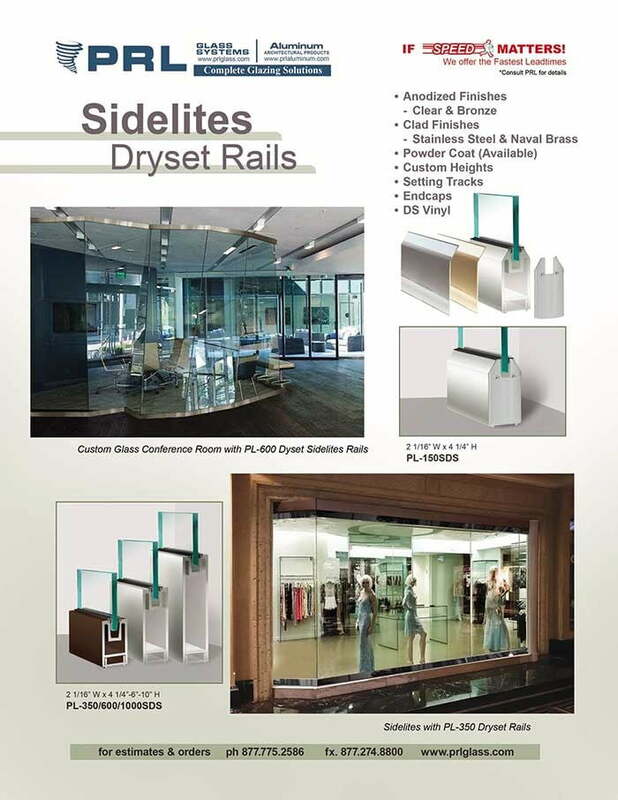 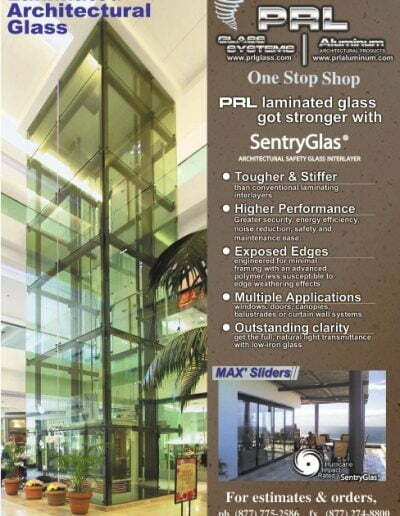 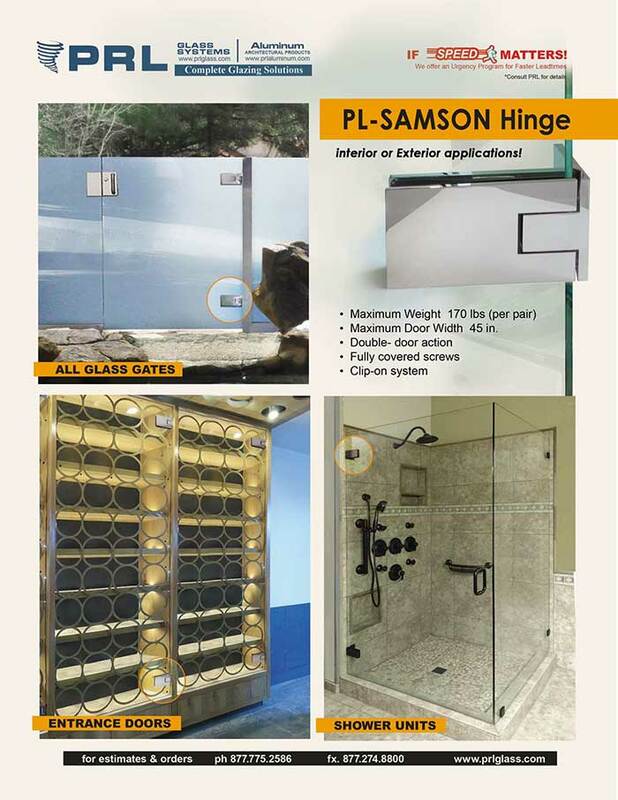 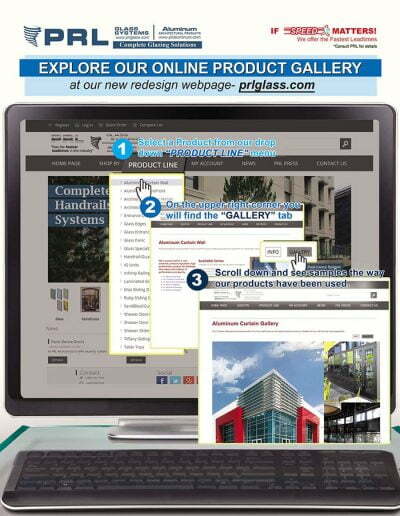 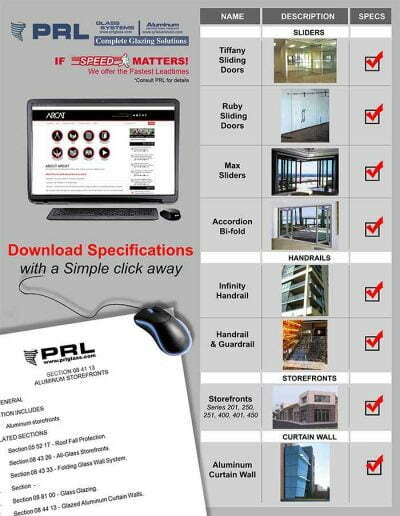 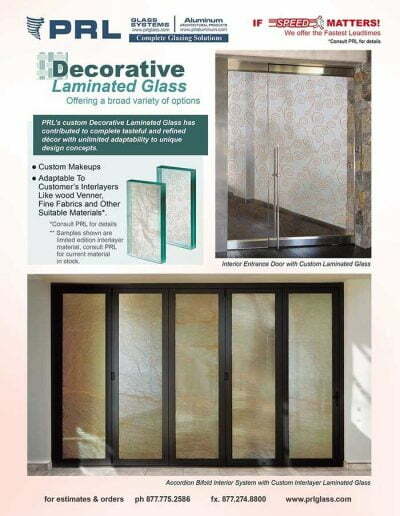 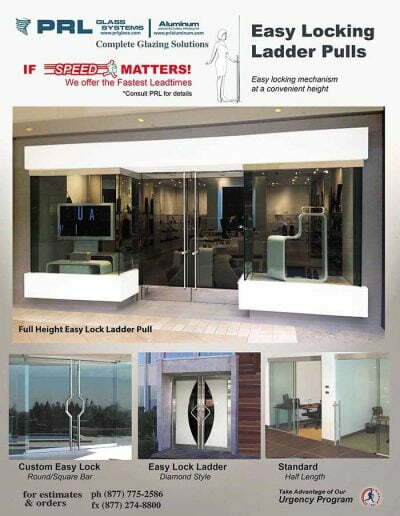 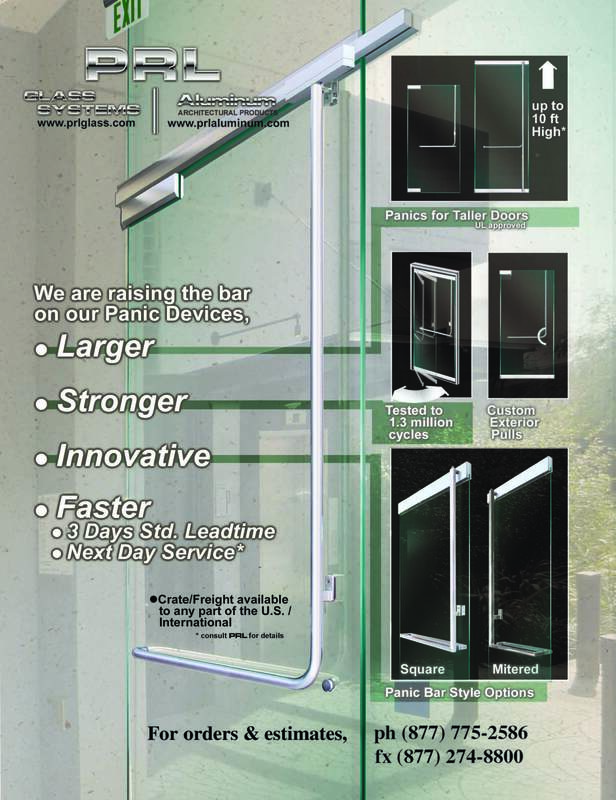 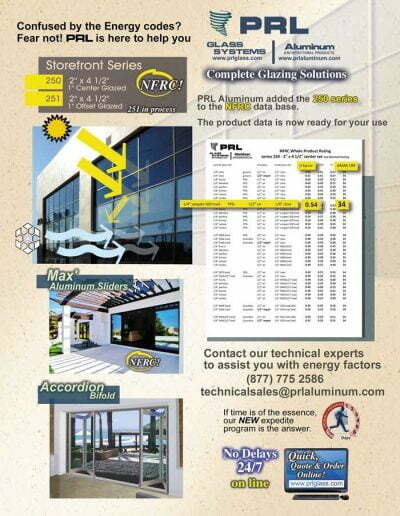 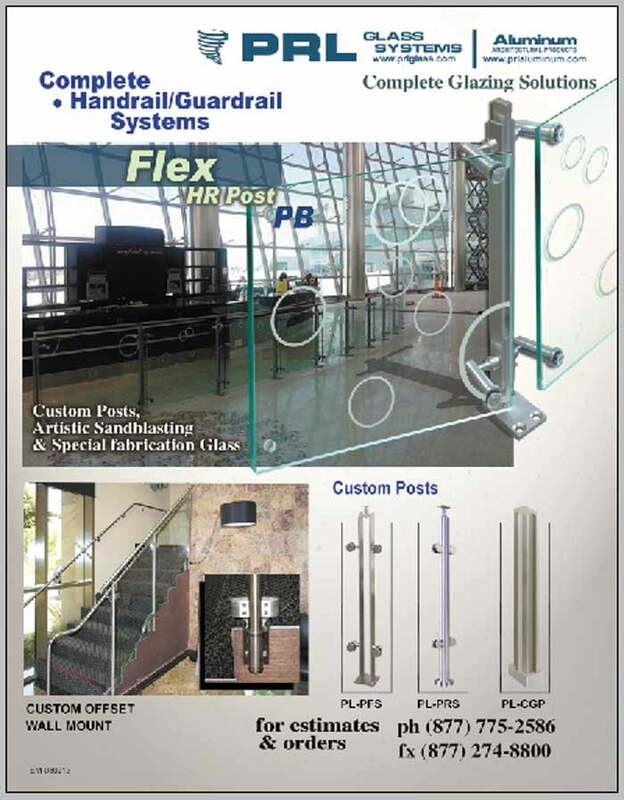 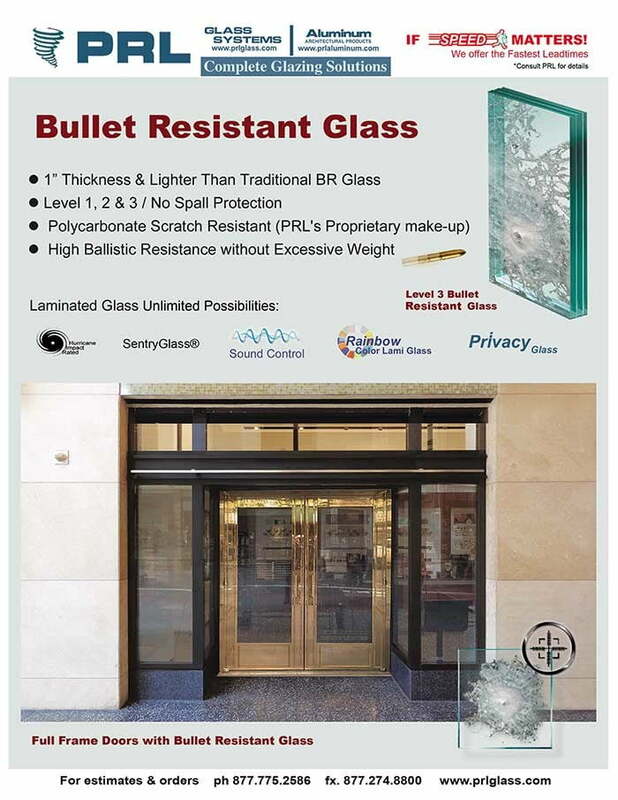 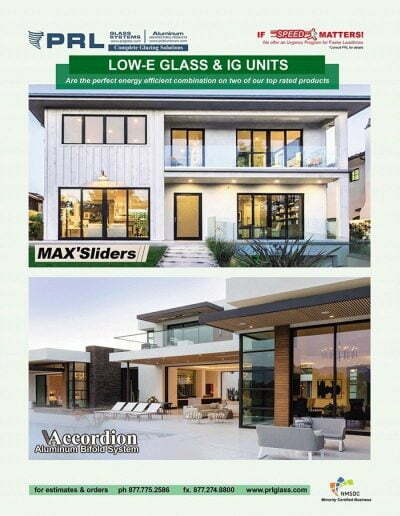 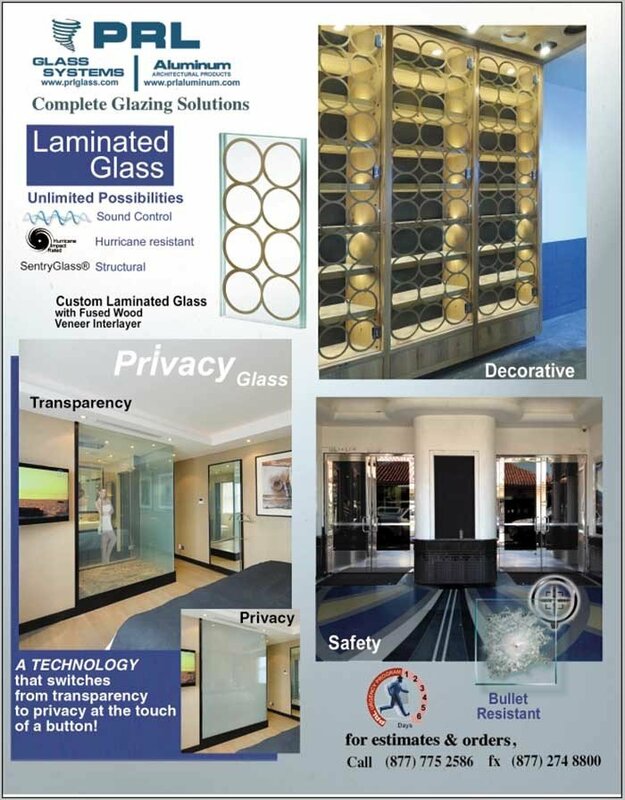 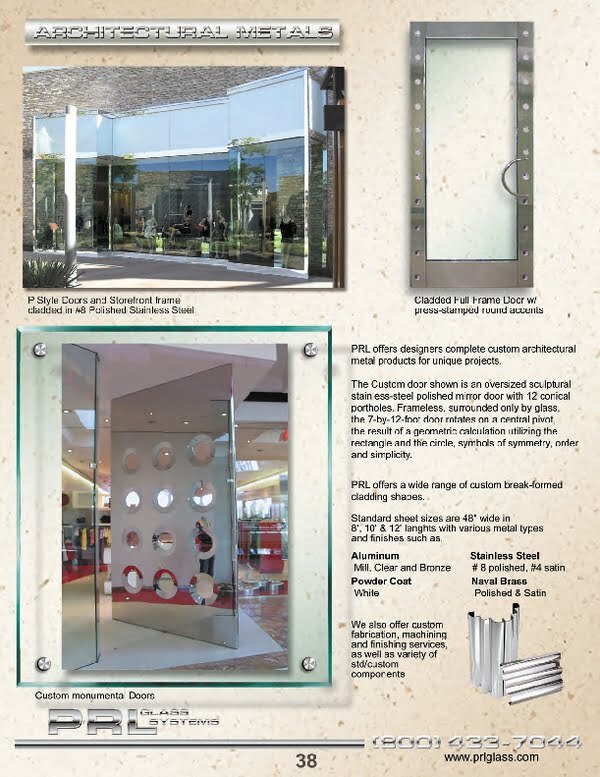 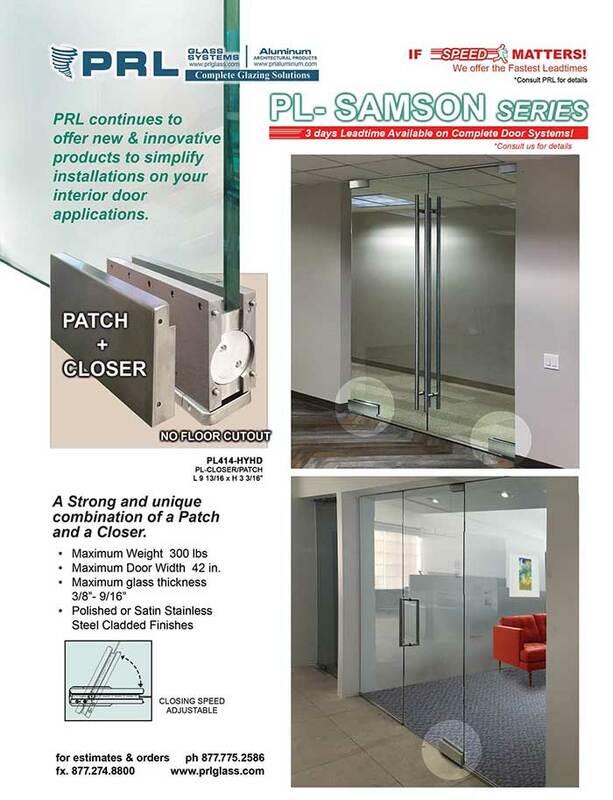 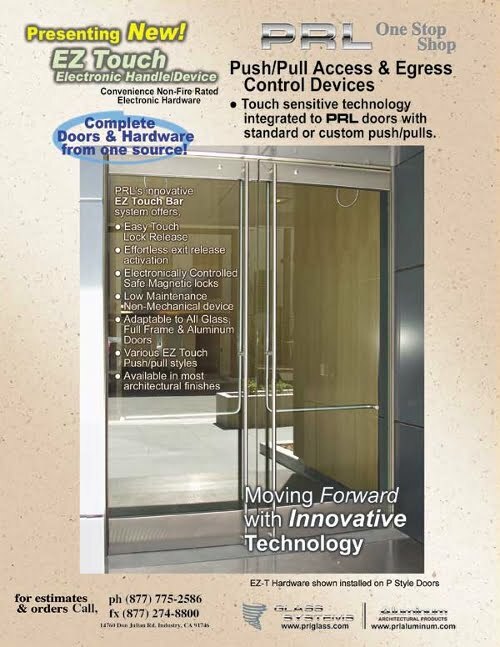 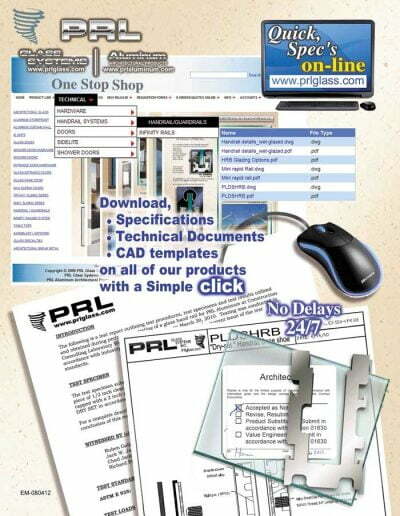 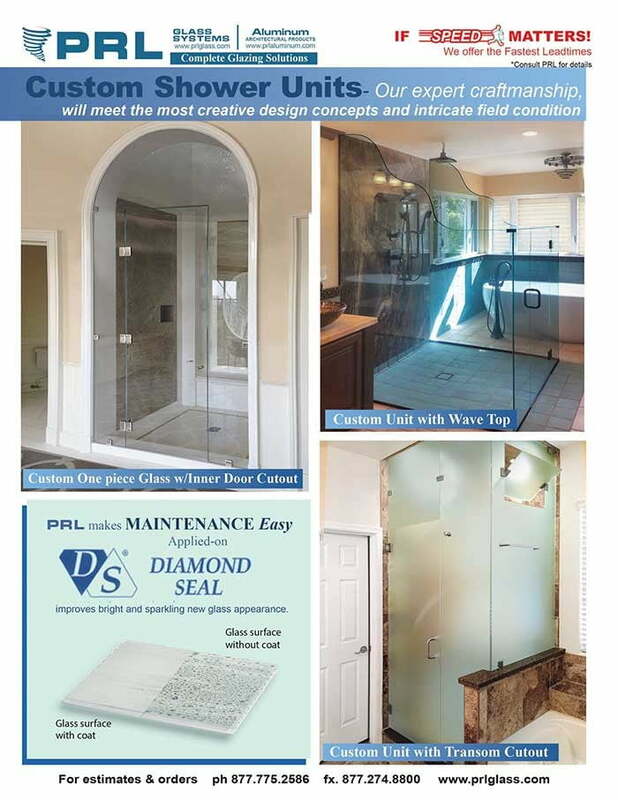 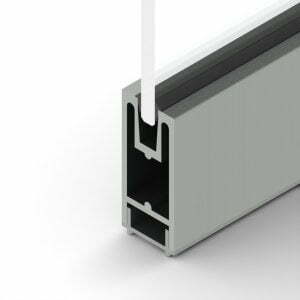 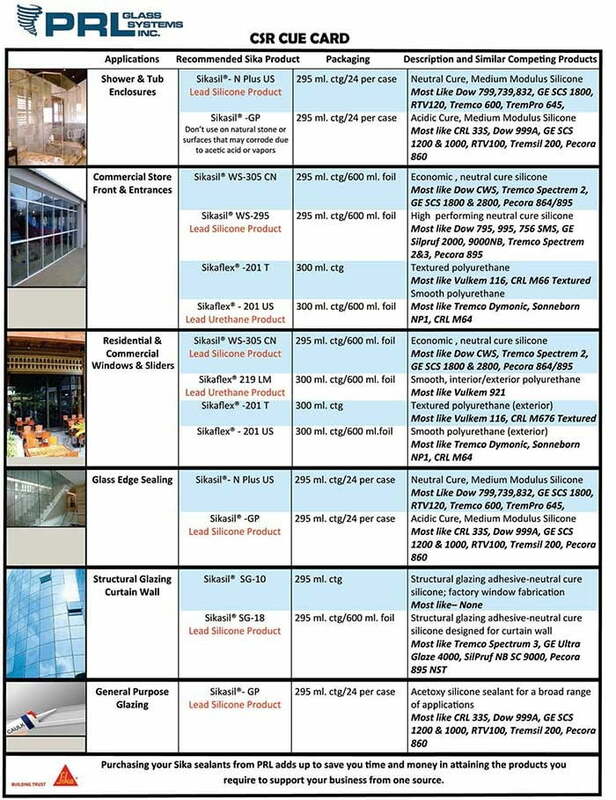 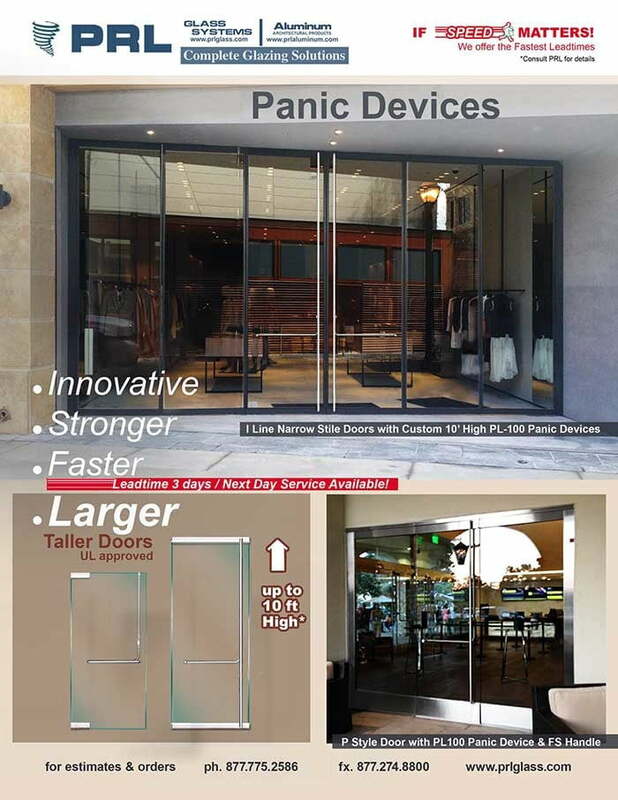 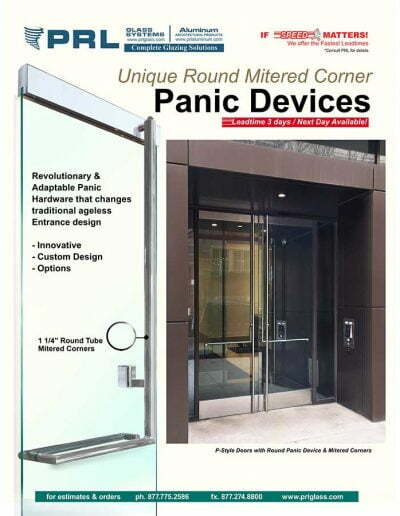 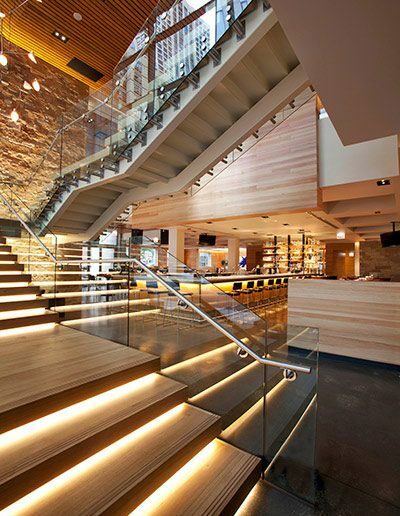 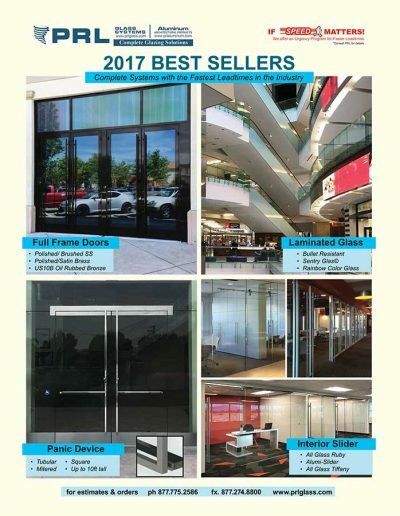 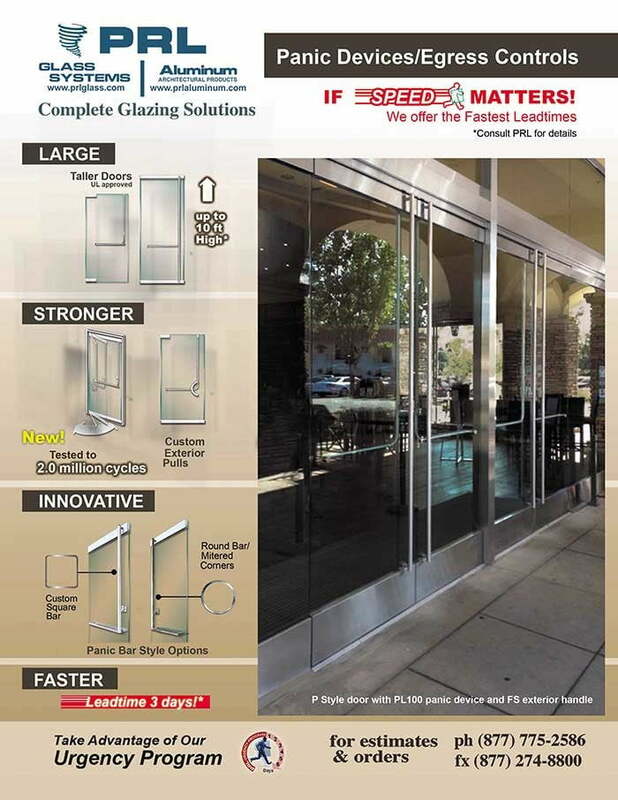 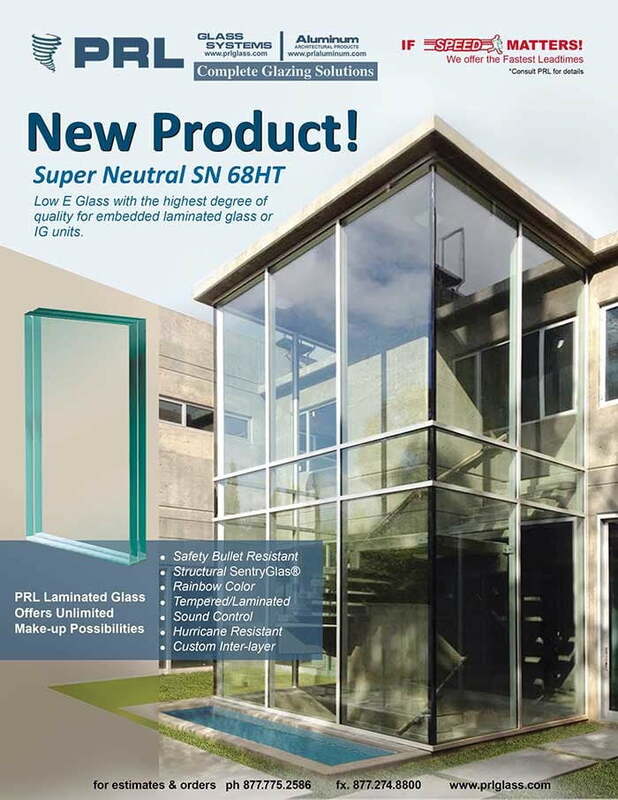 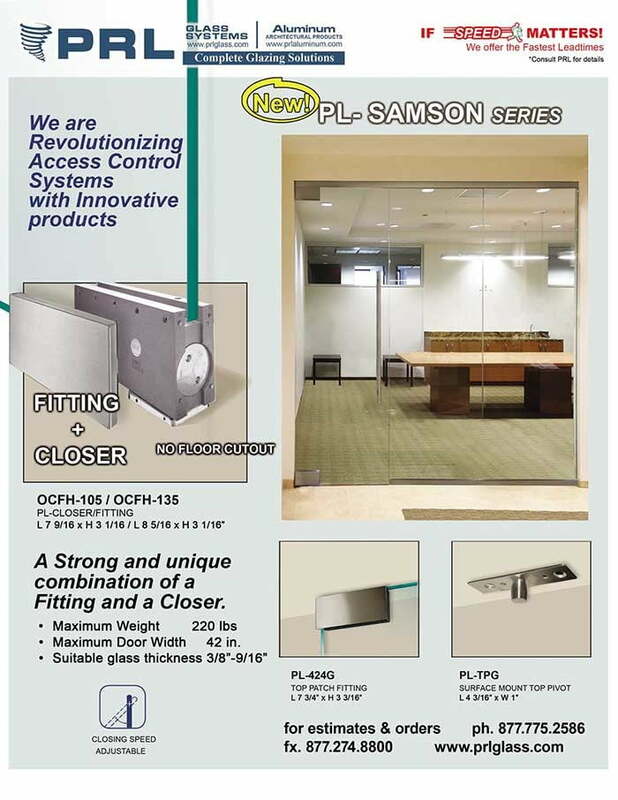 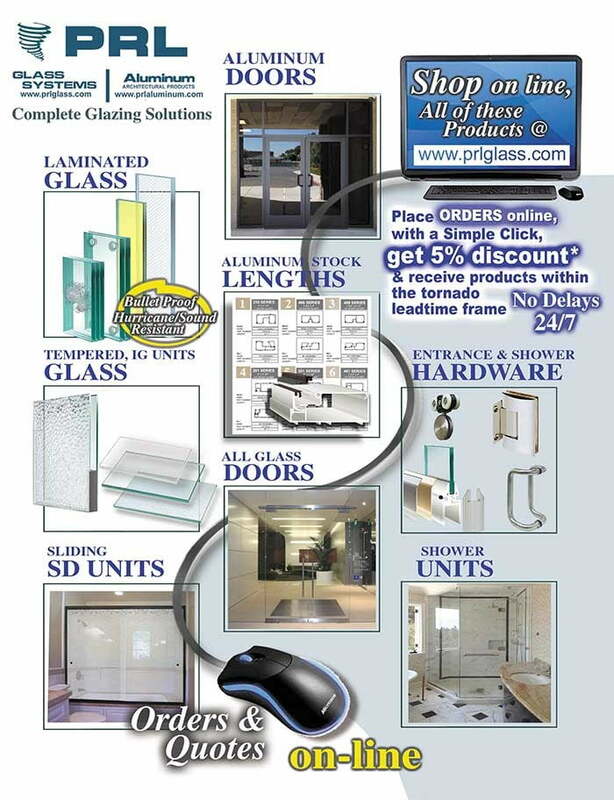 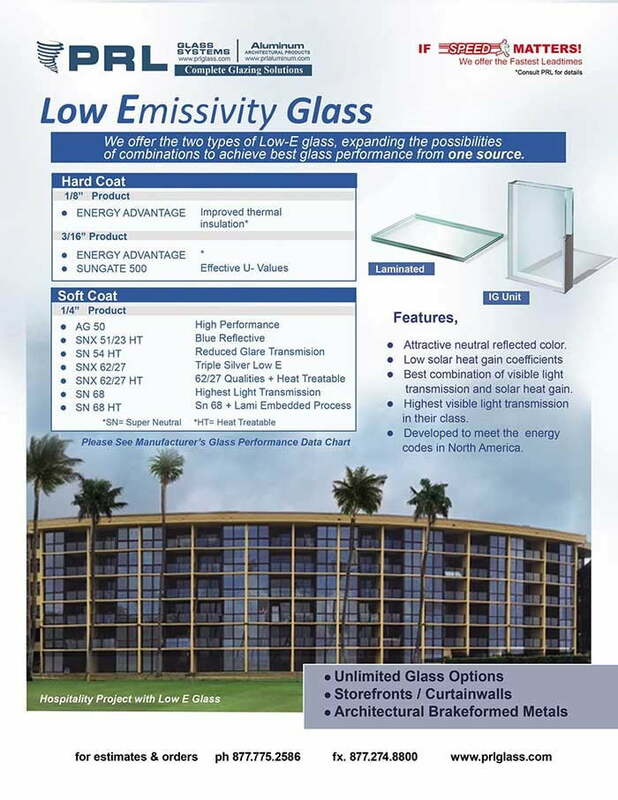 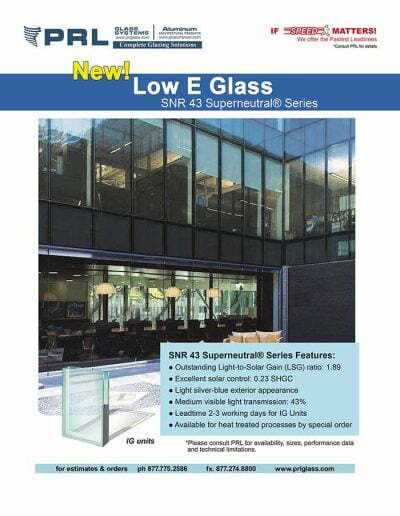 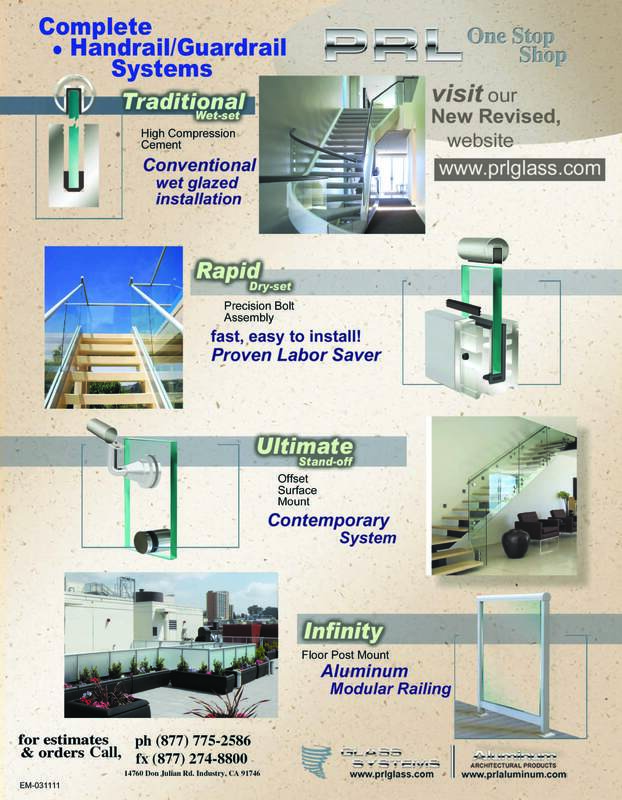 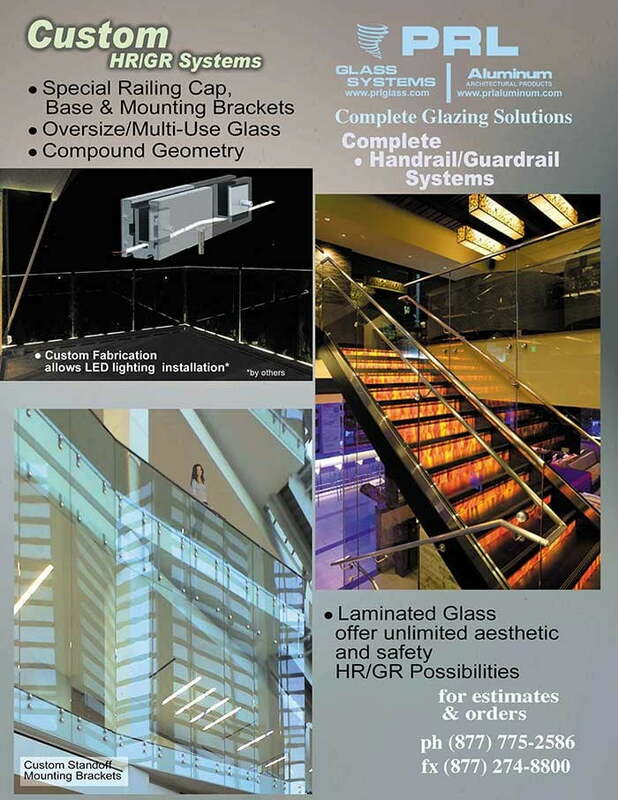 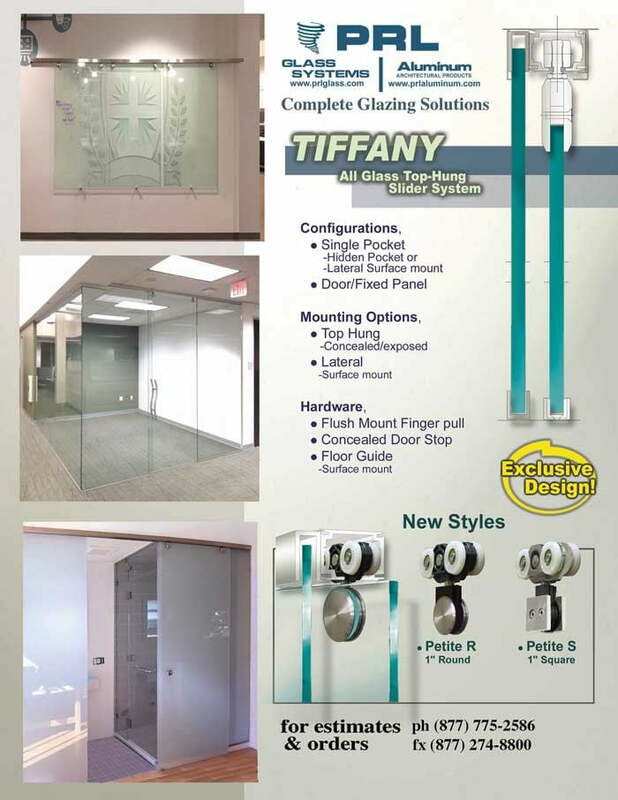 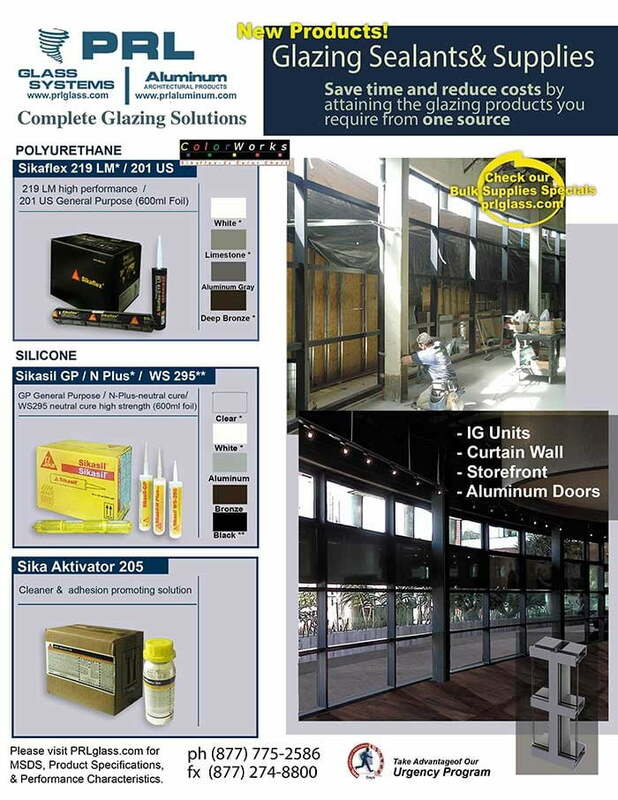 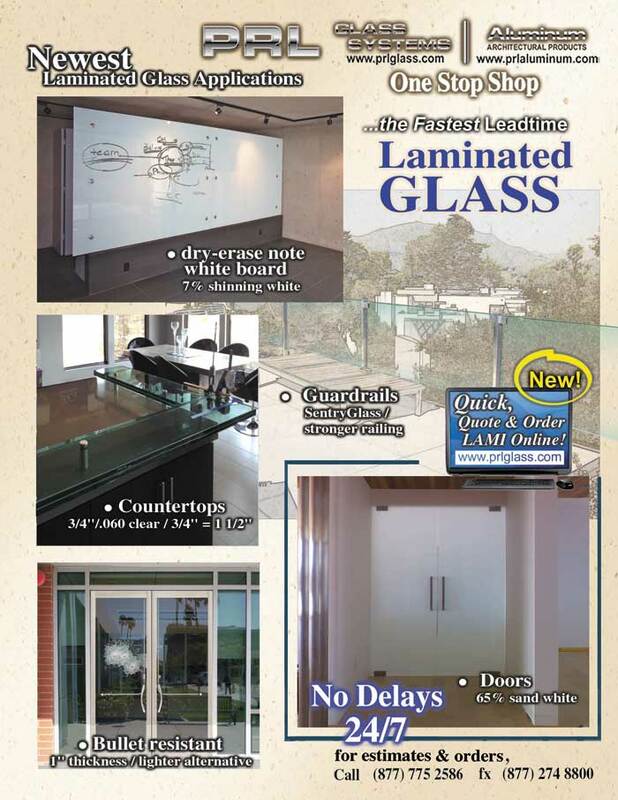 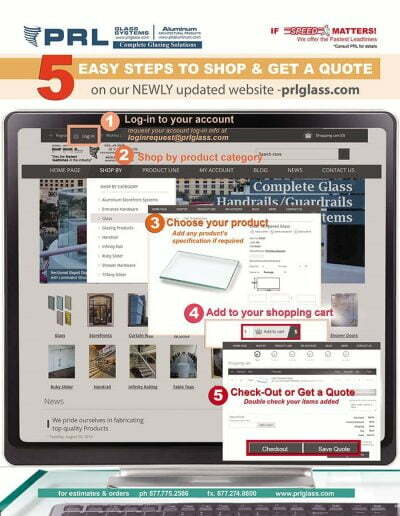 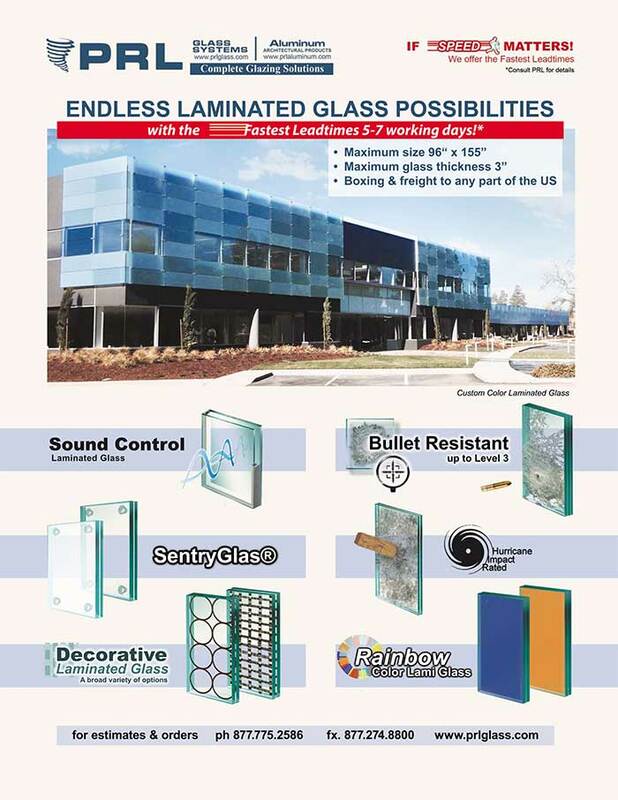 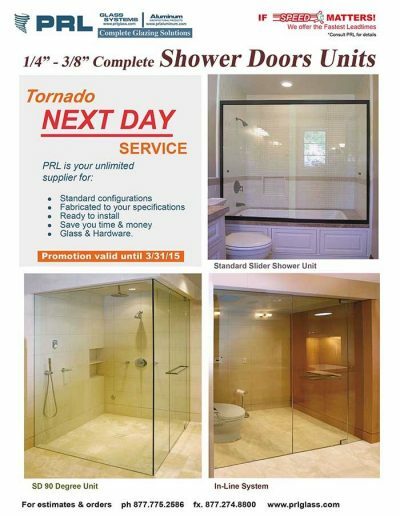 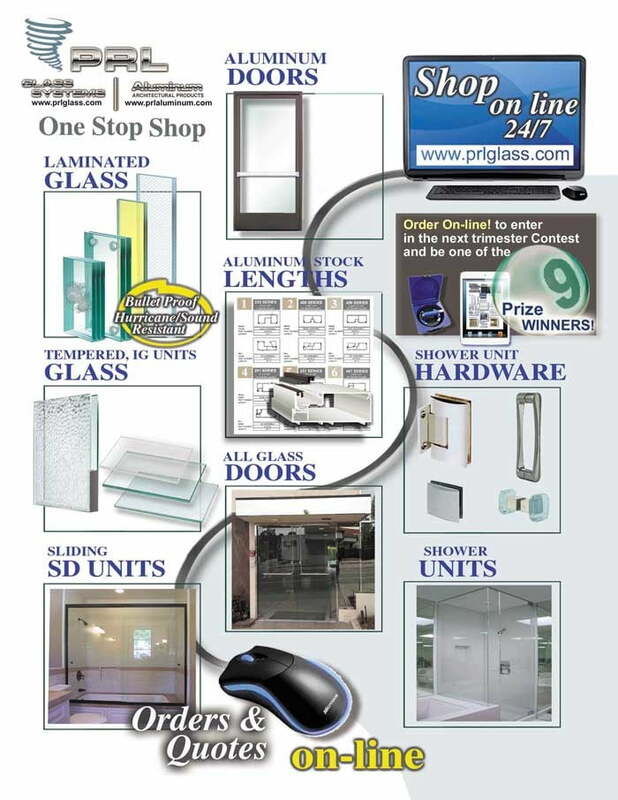 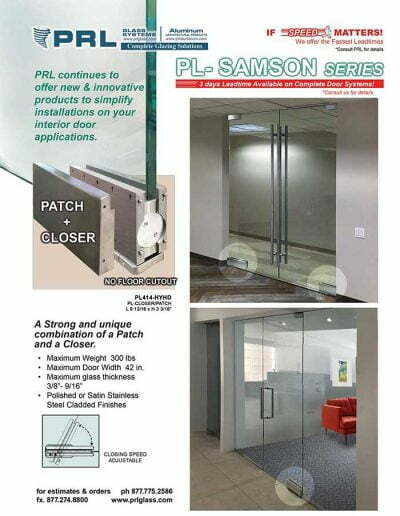 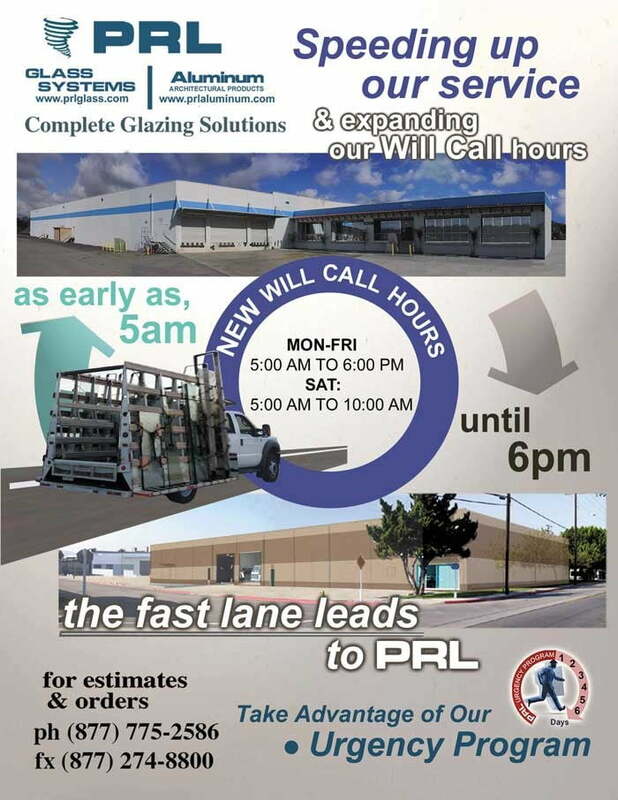 PRL’s Bottom Rolling Glass Door System is designed for residential and commercial interior applications has been a traditional favorite for years and now PRL offers a variety of sliding door options. 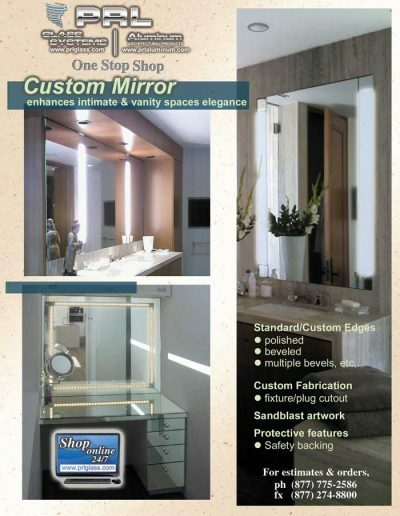 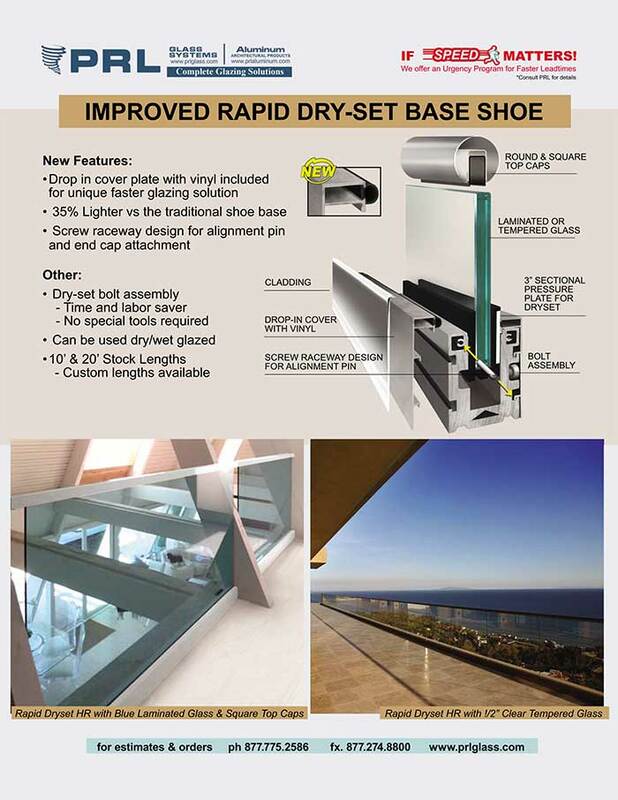 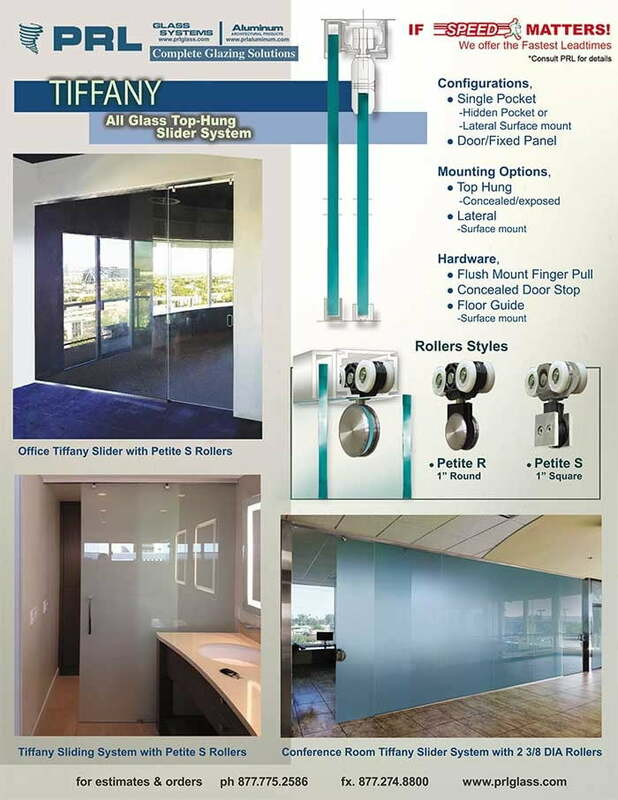 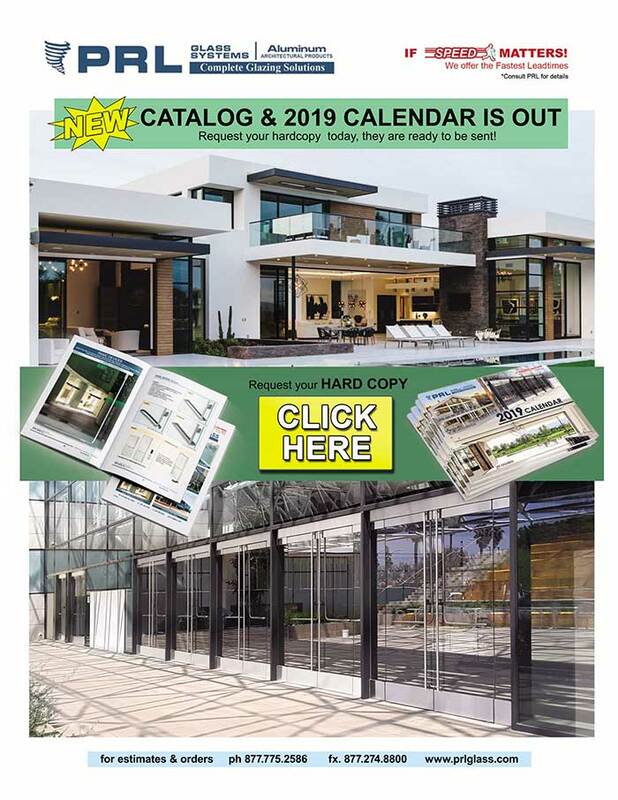 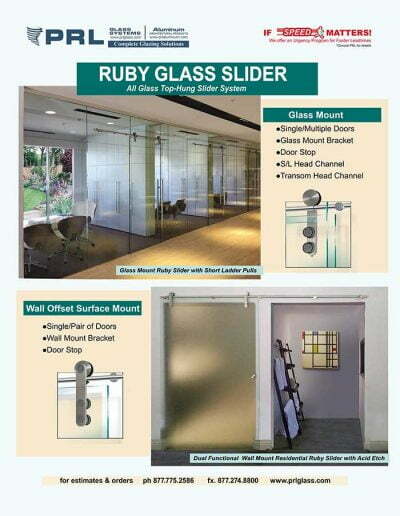 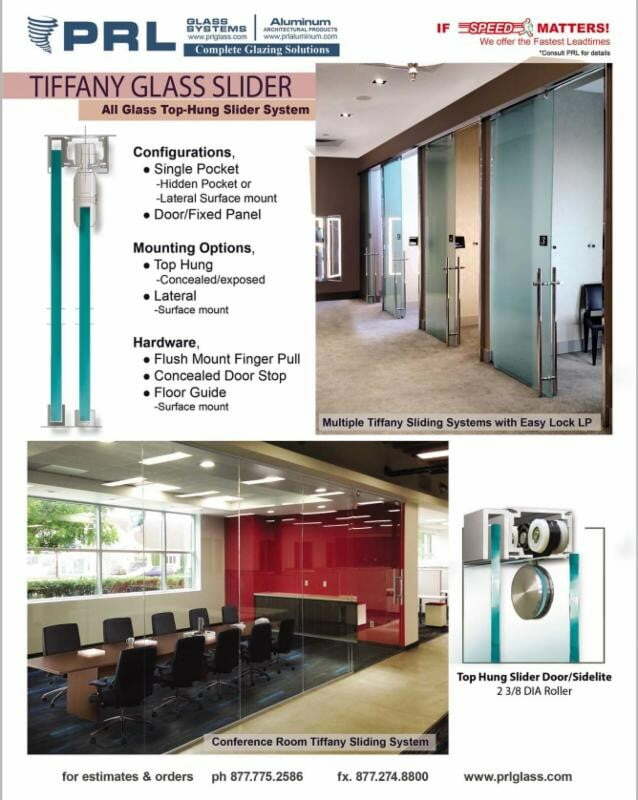 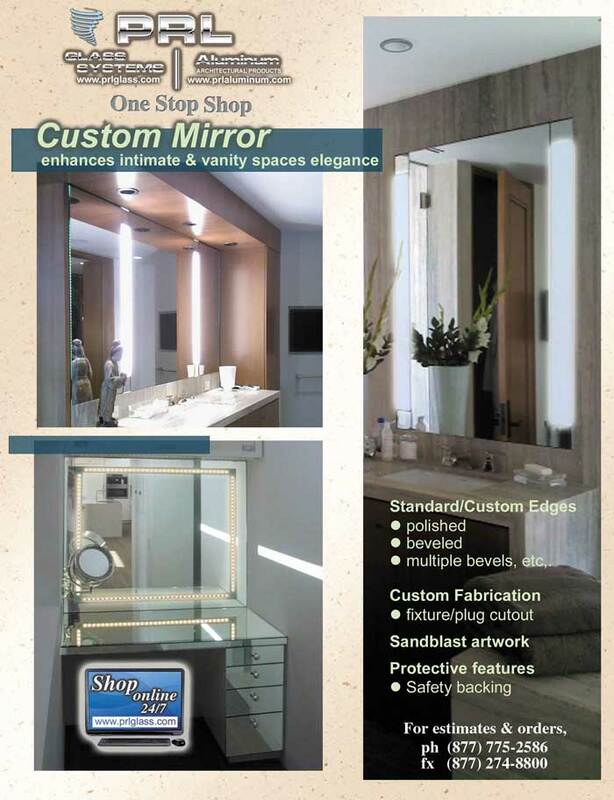 Our high-tech Ruby and minimal style Tiffany top hung sliding doors have become very popular. 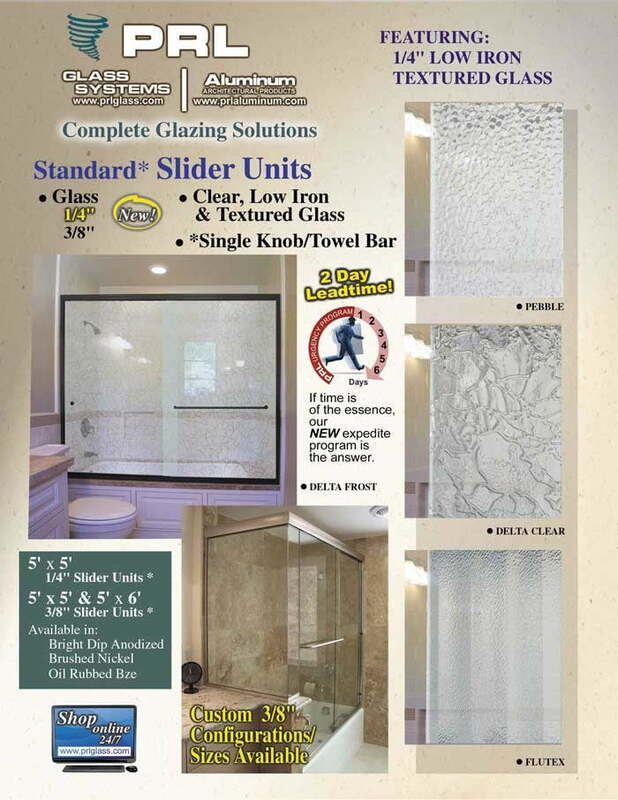 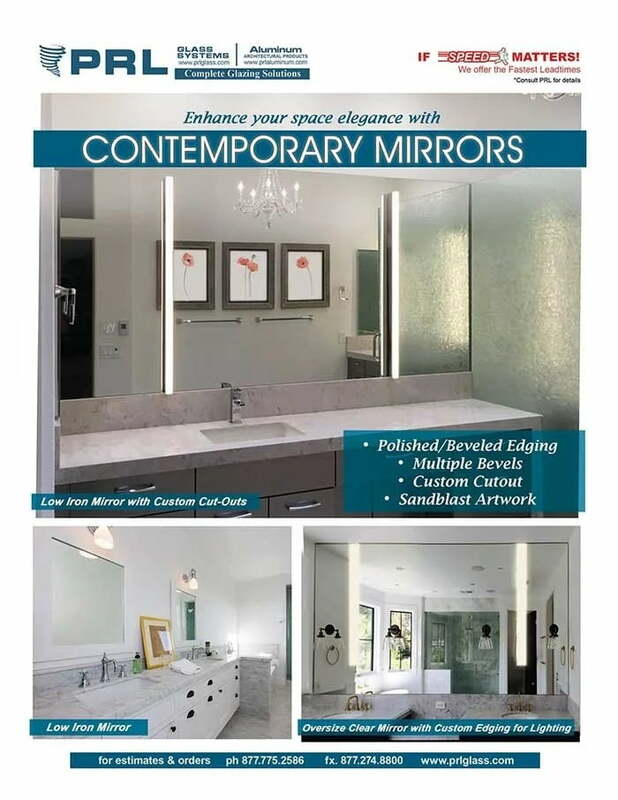 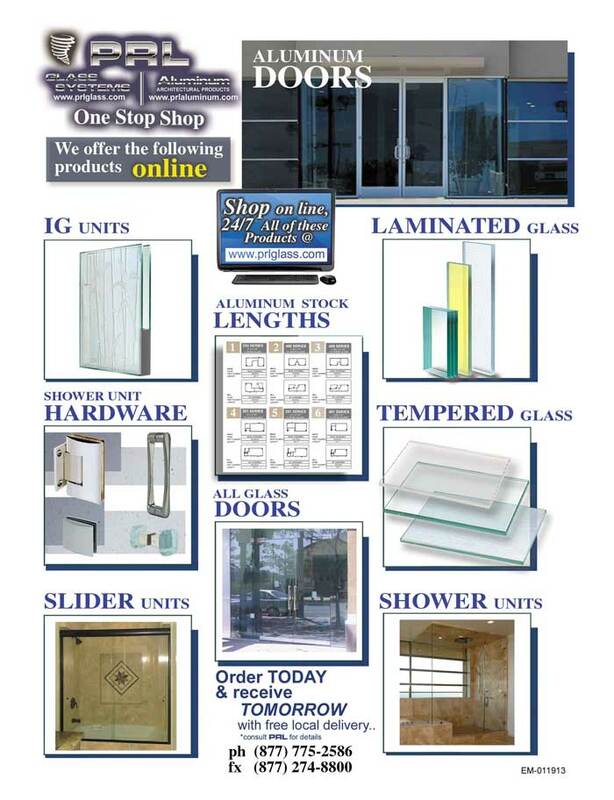 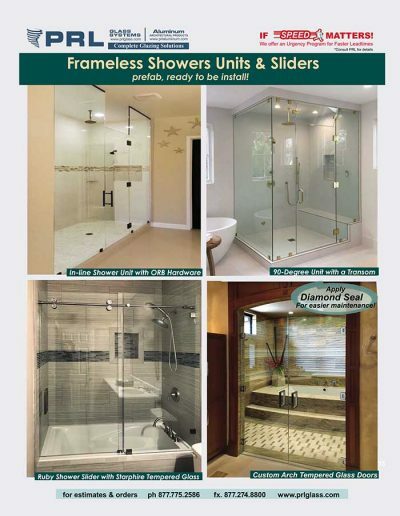 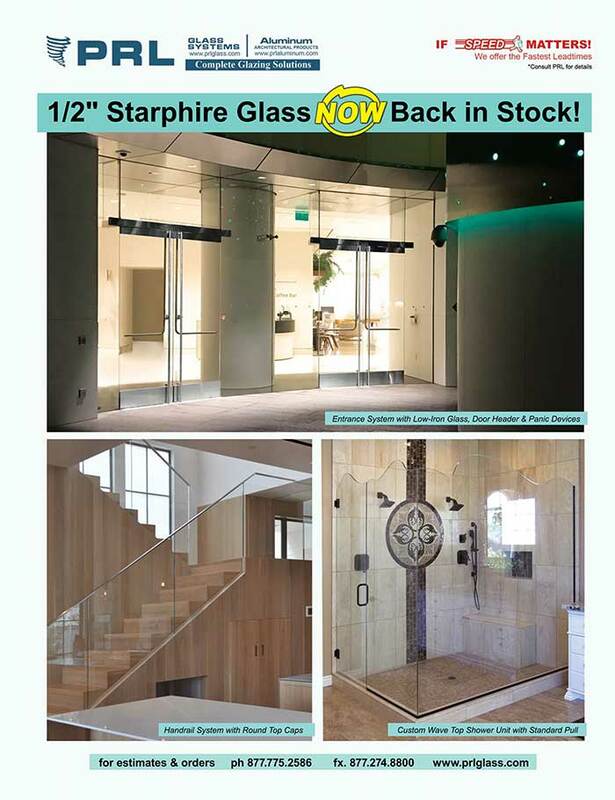 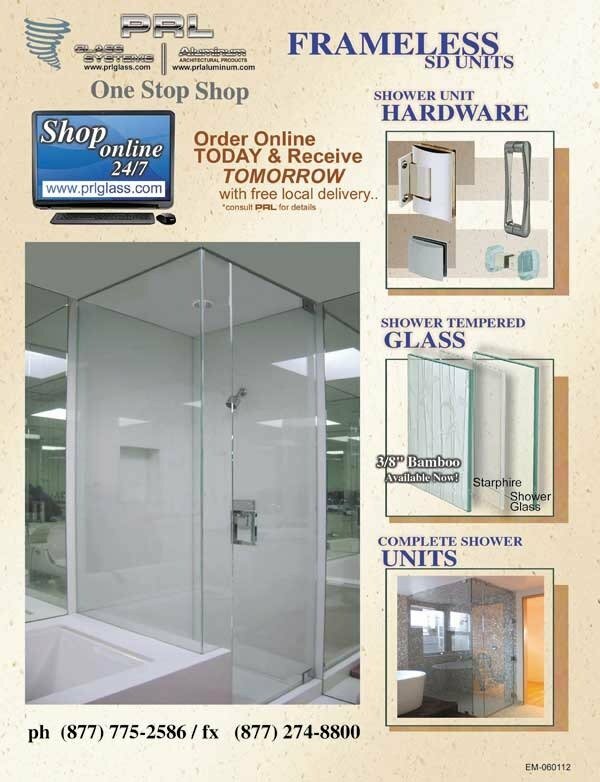 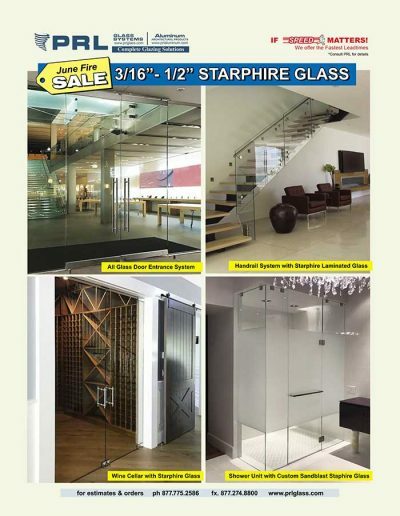 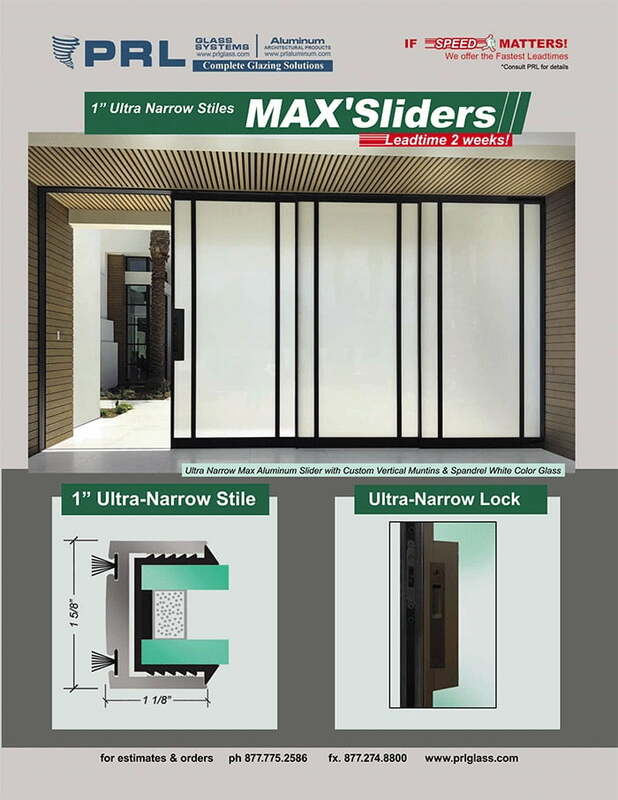 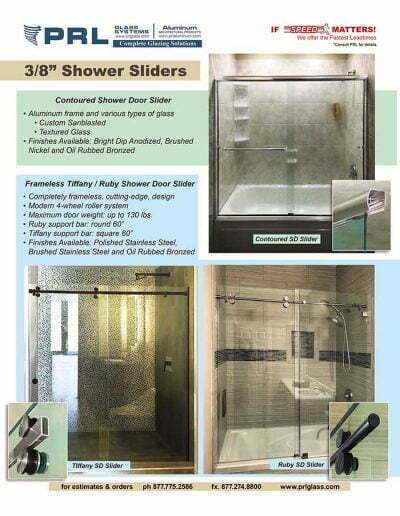 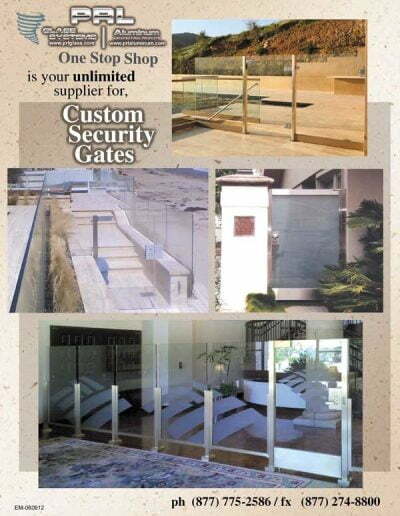 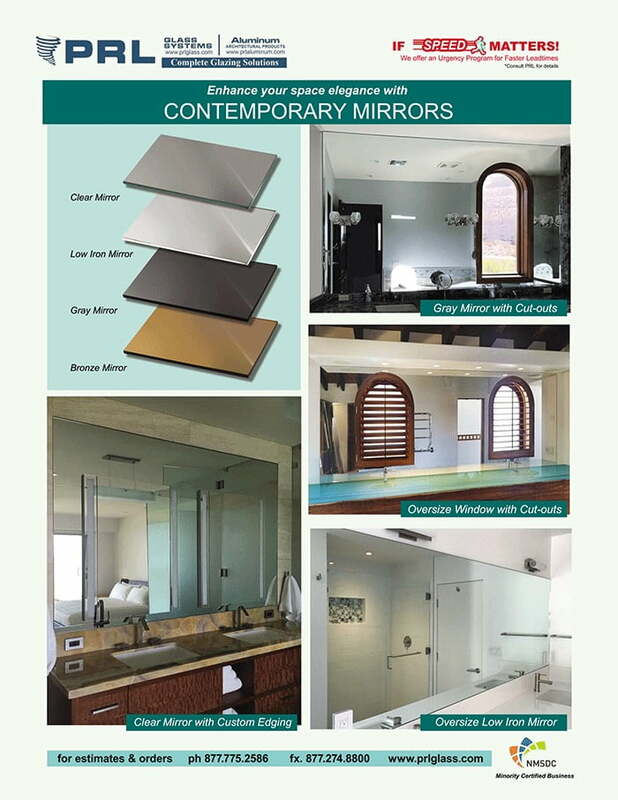 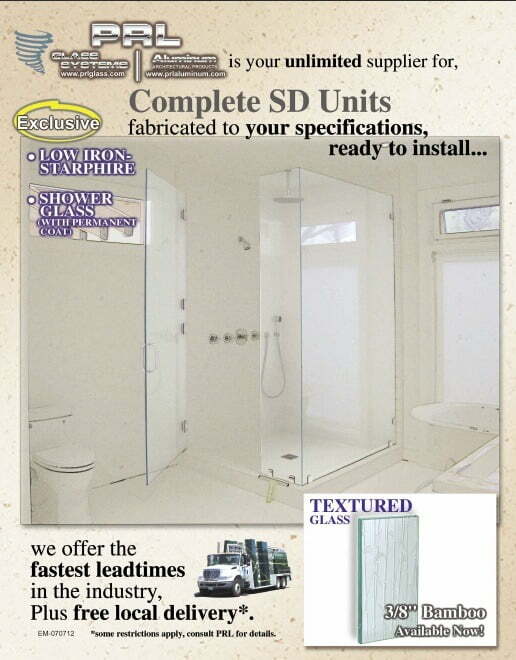 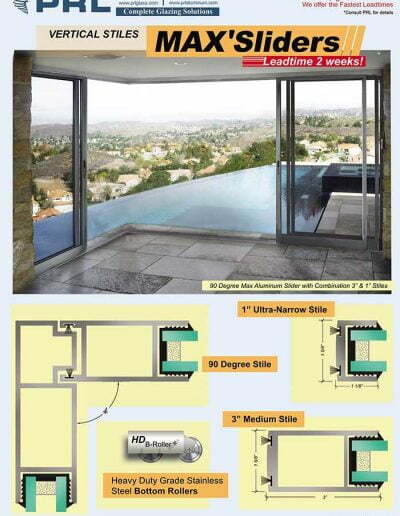 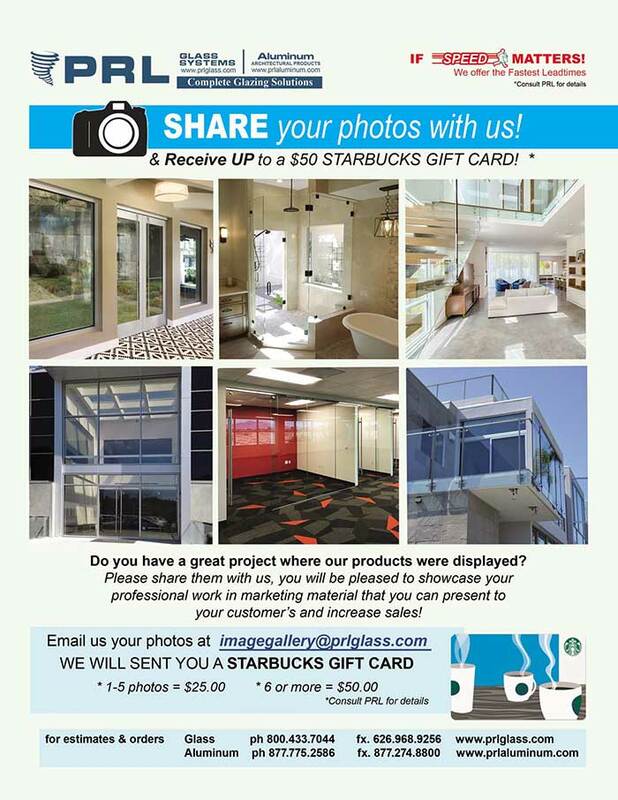 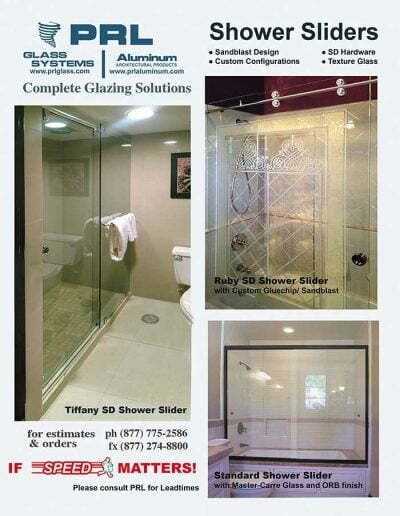 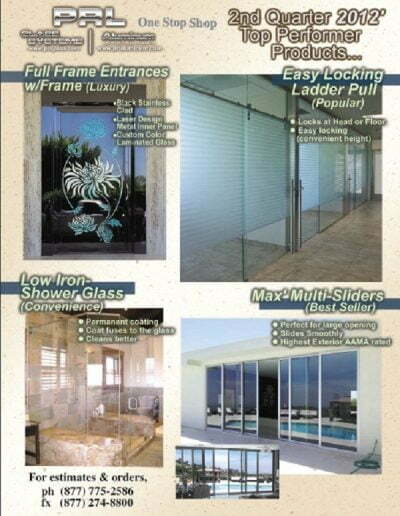 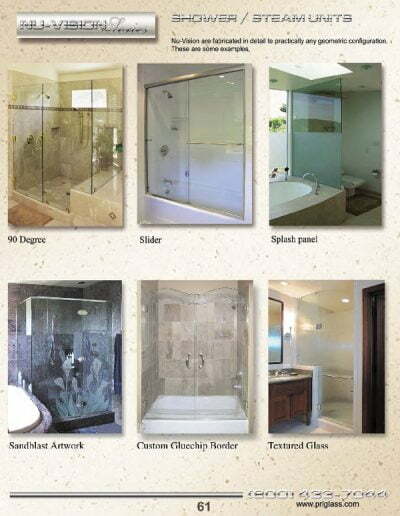 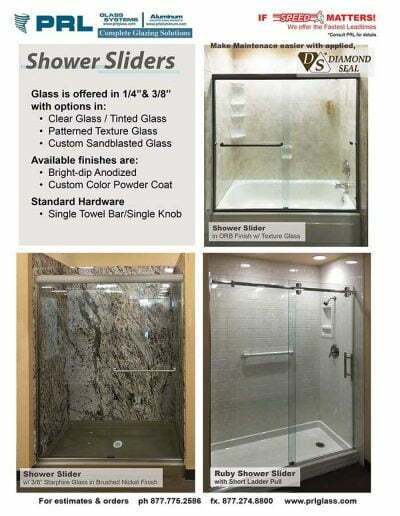 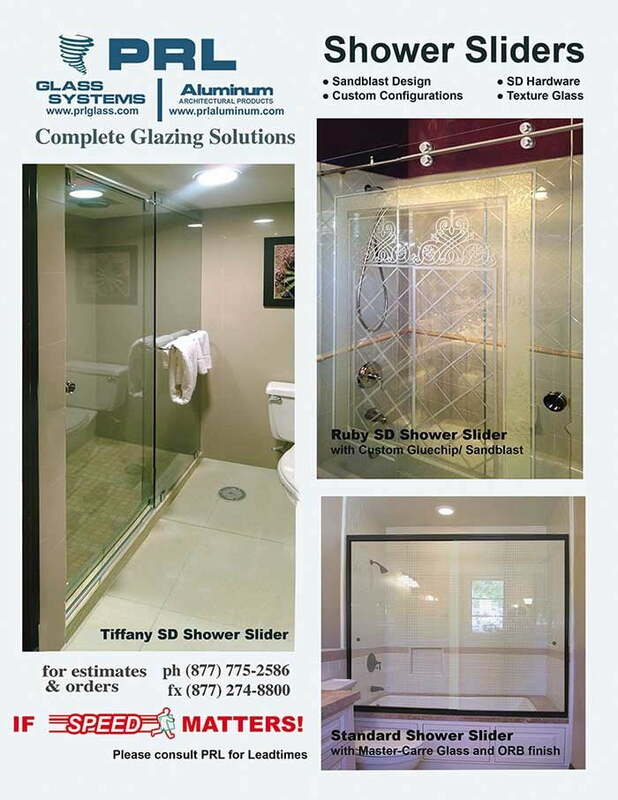 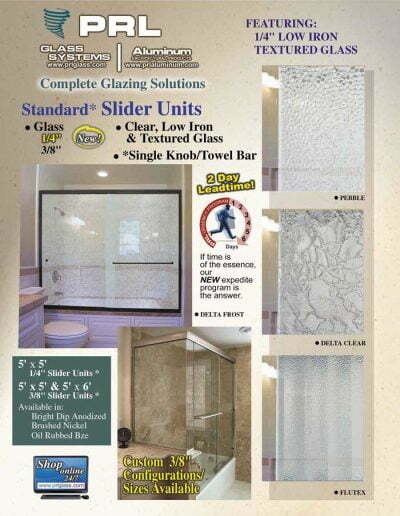 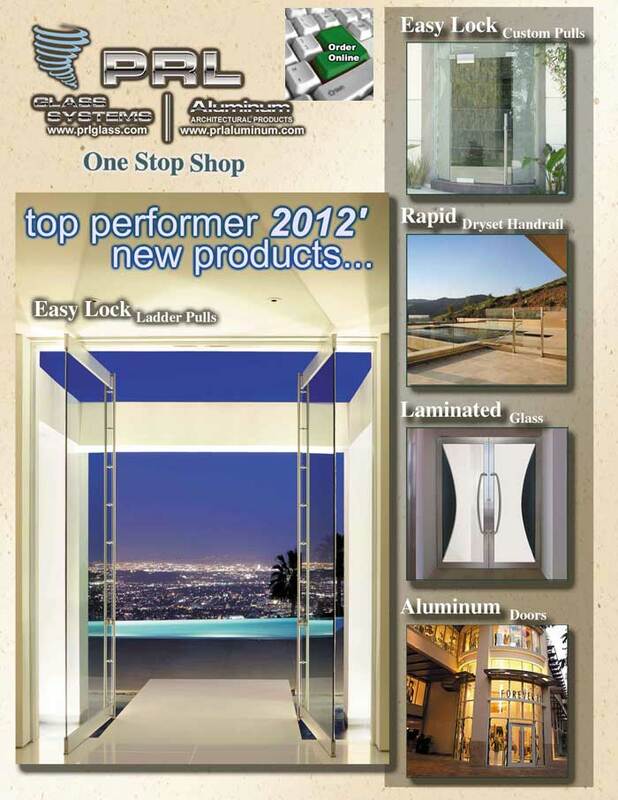 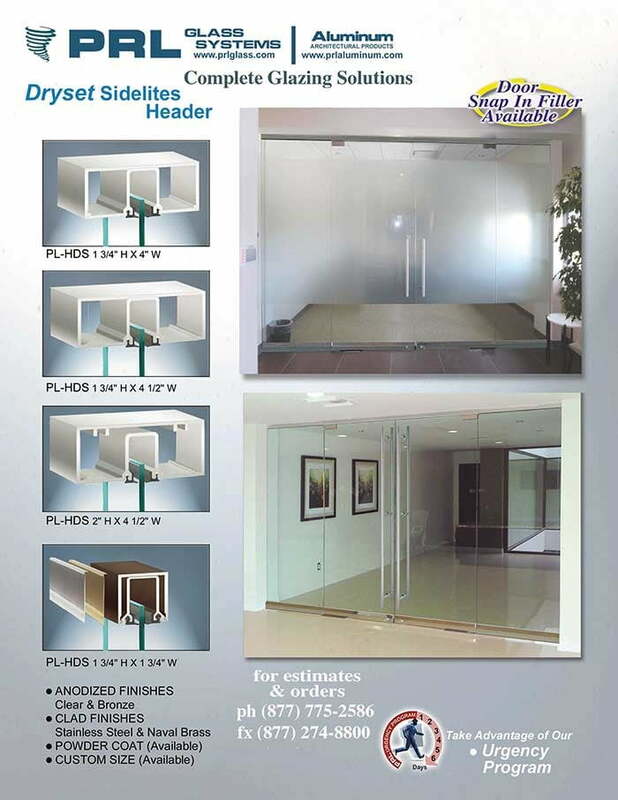 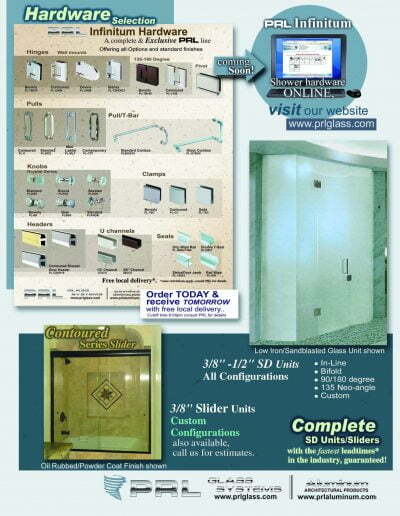 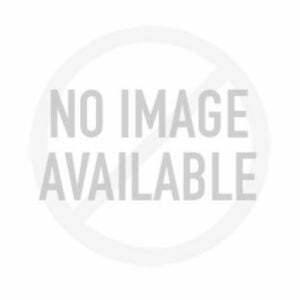 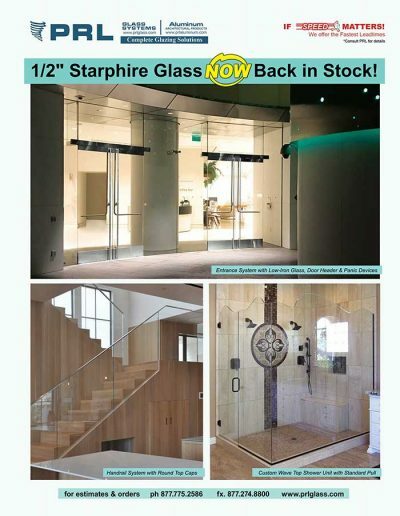 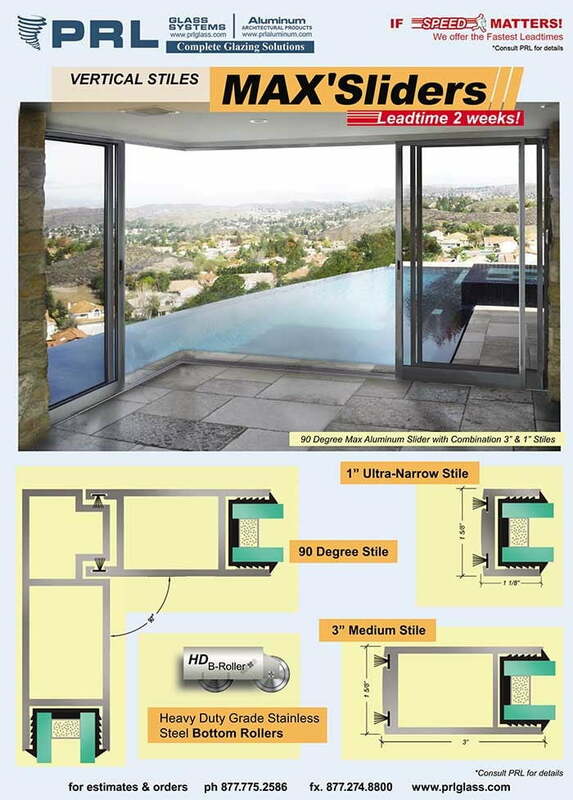 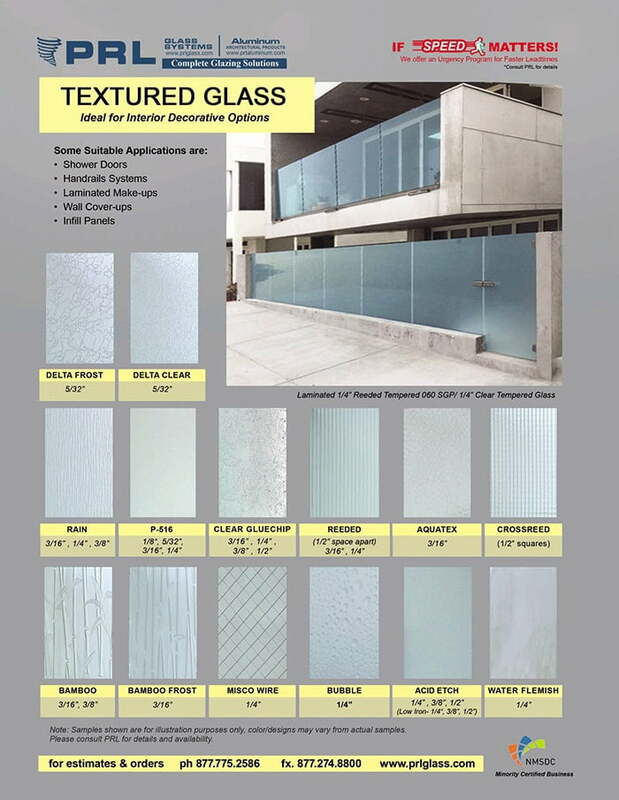 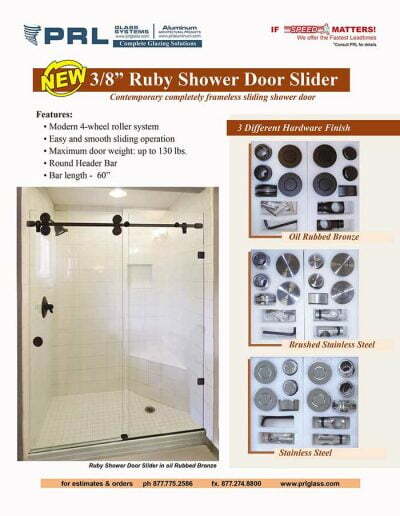 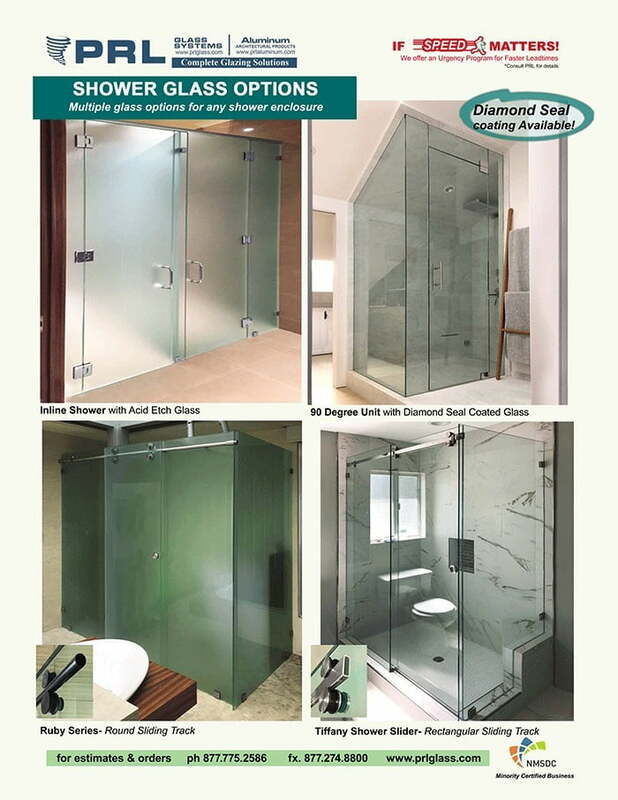 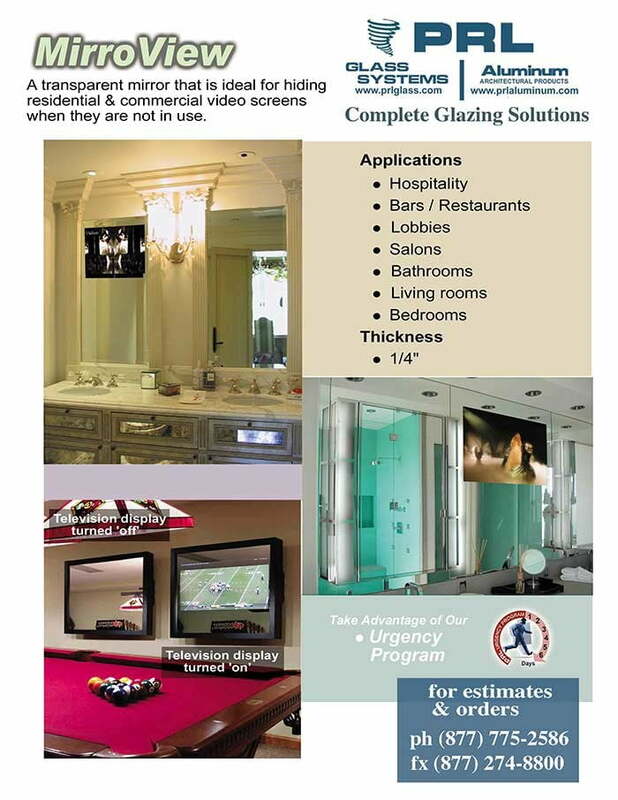 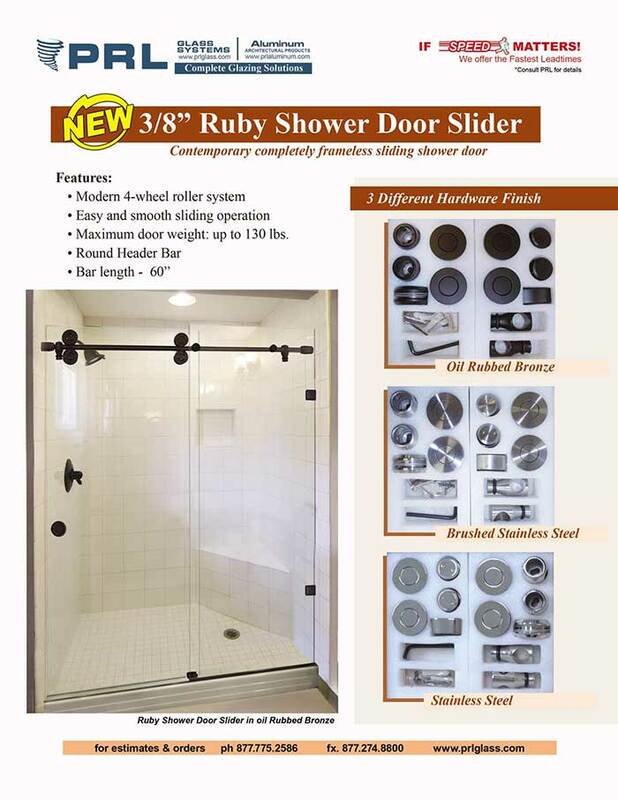 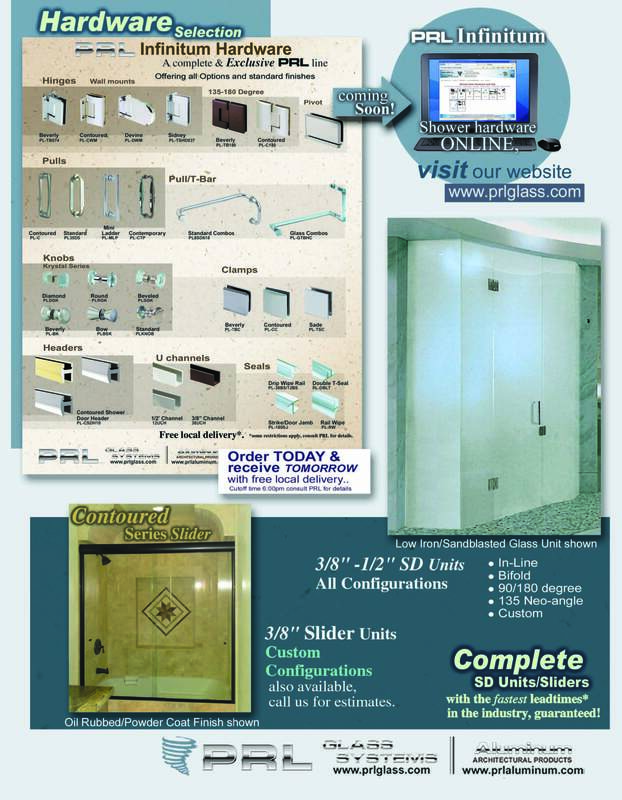 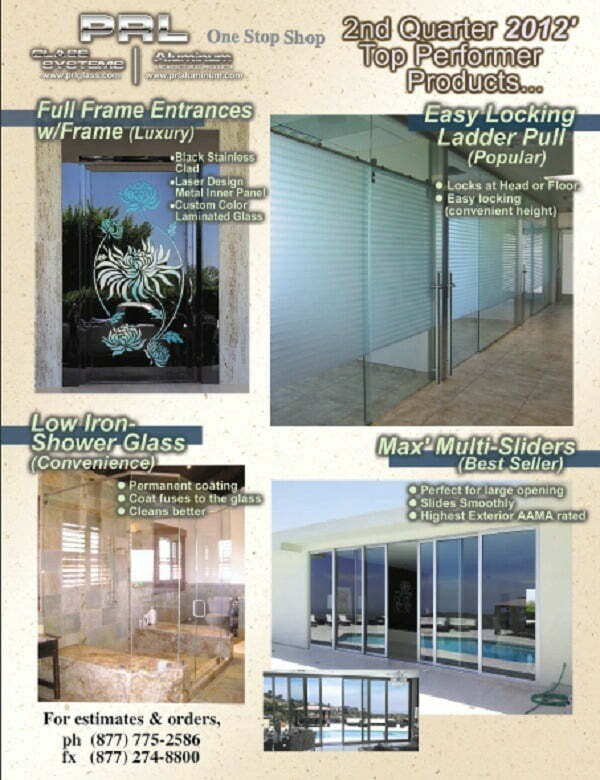 These frameless sliding glass doors are ideal where space and budgets are limited. 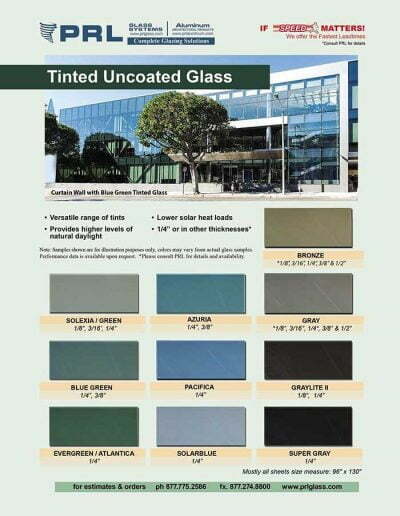 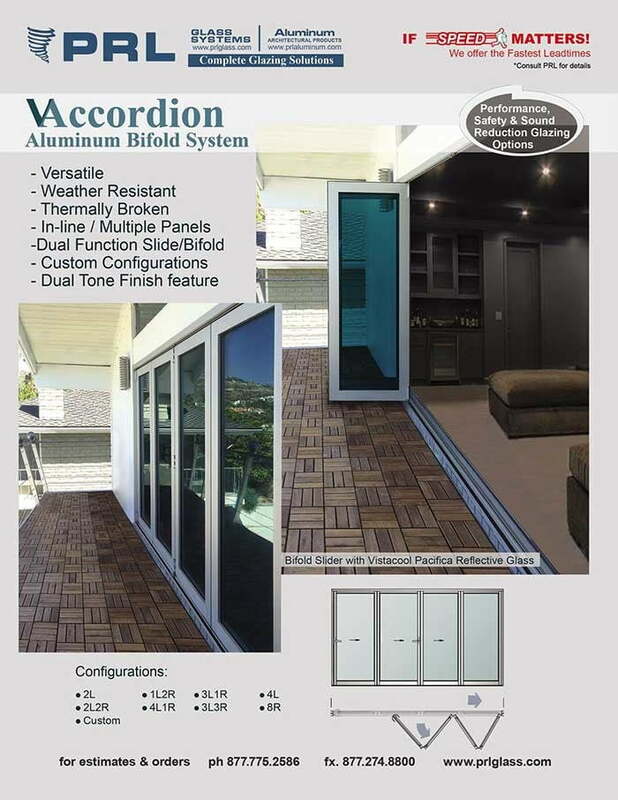 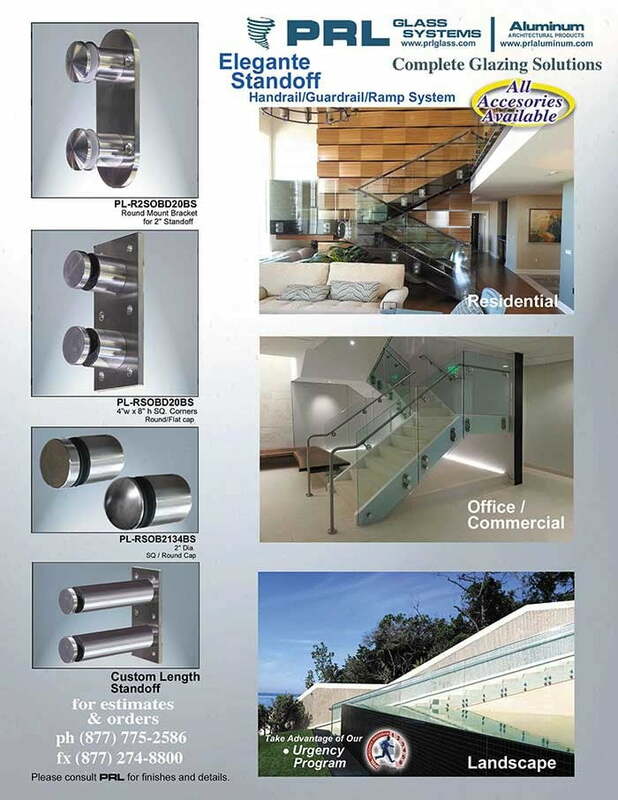 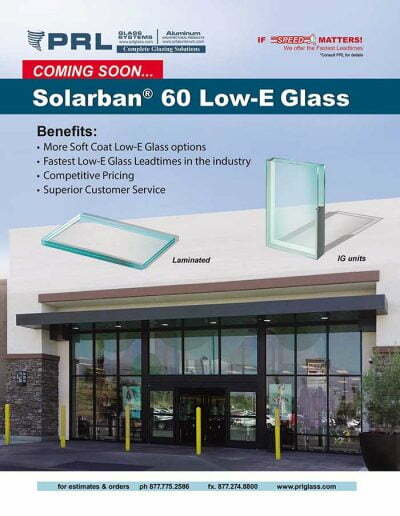 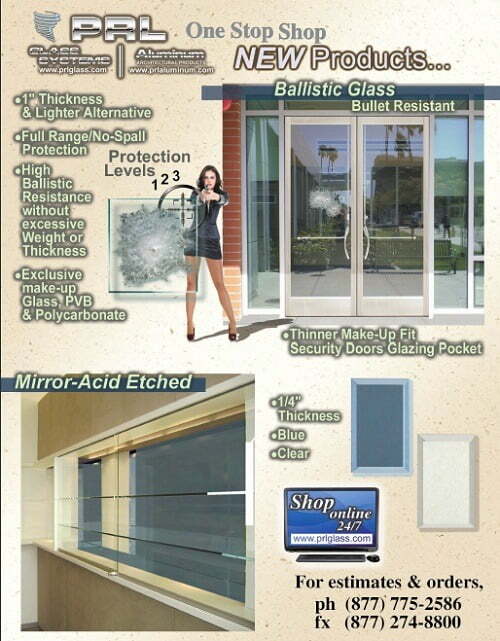 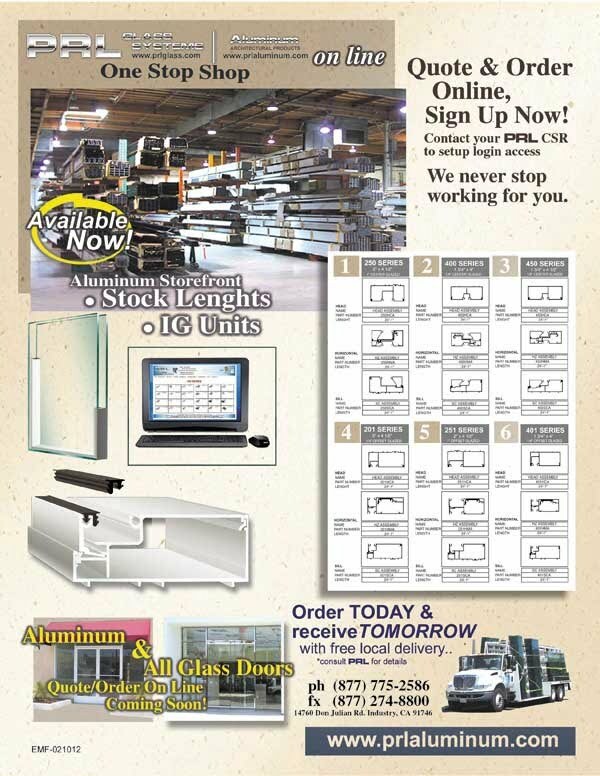 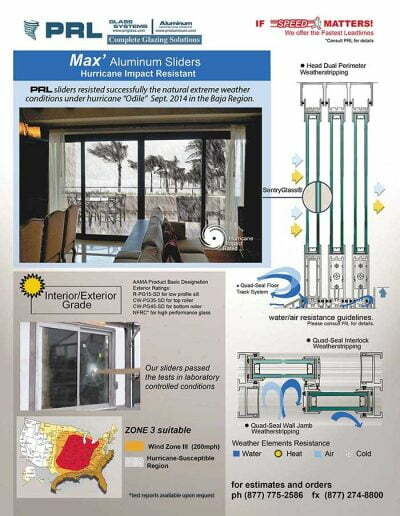 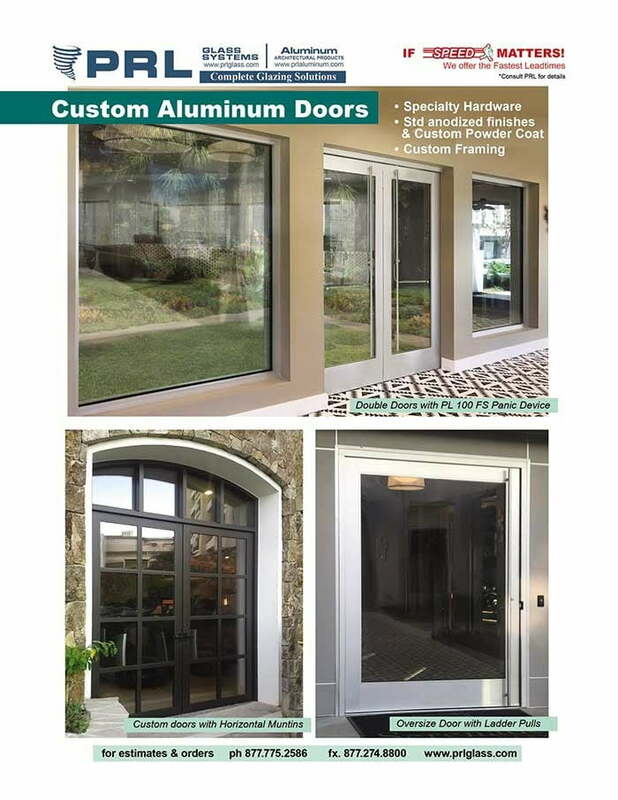 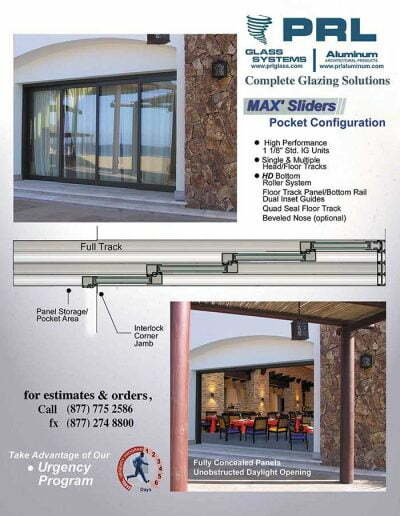 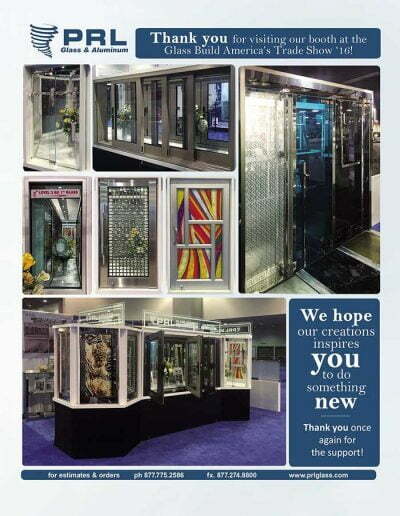 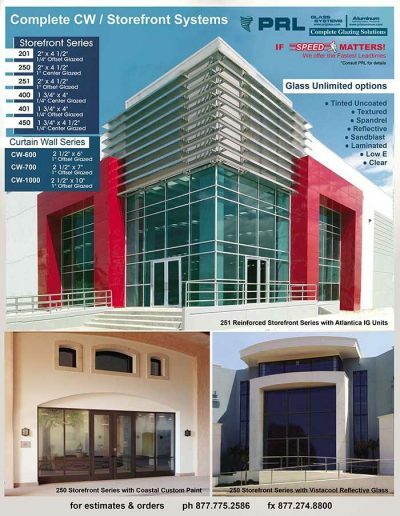 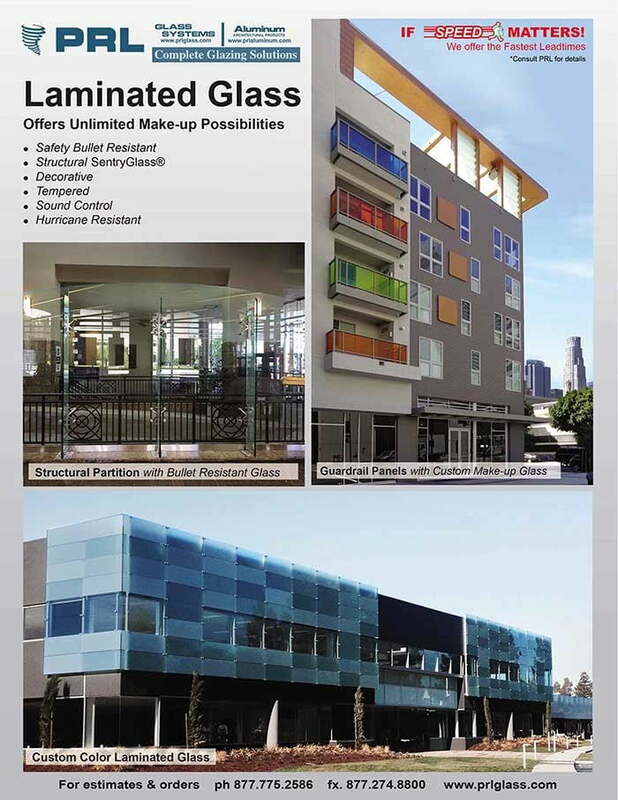 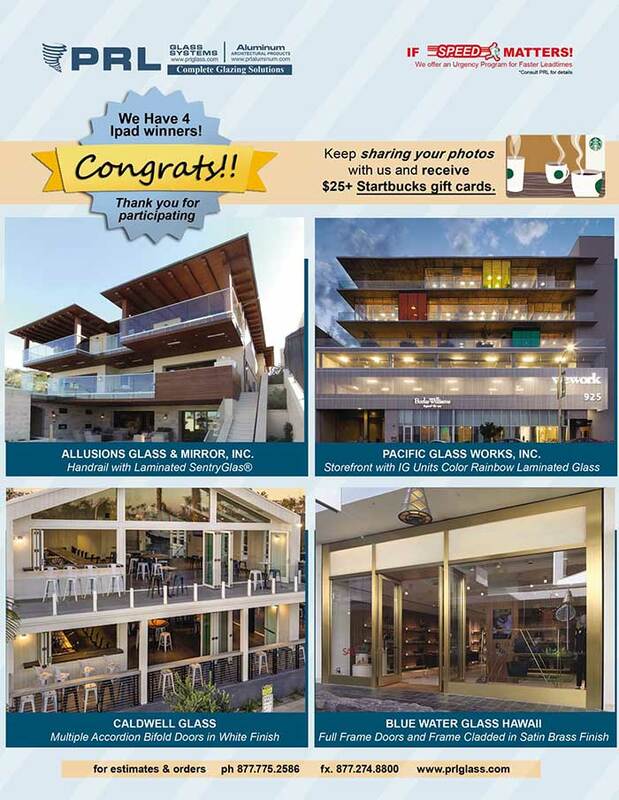 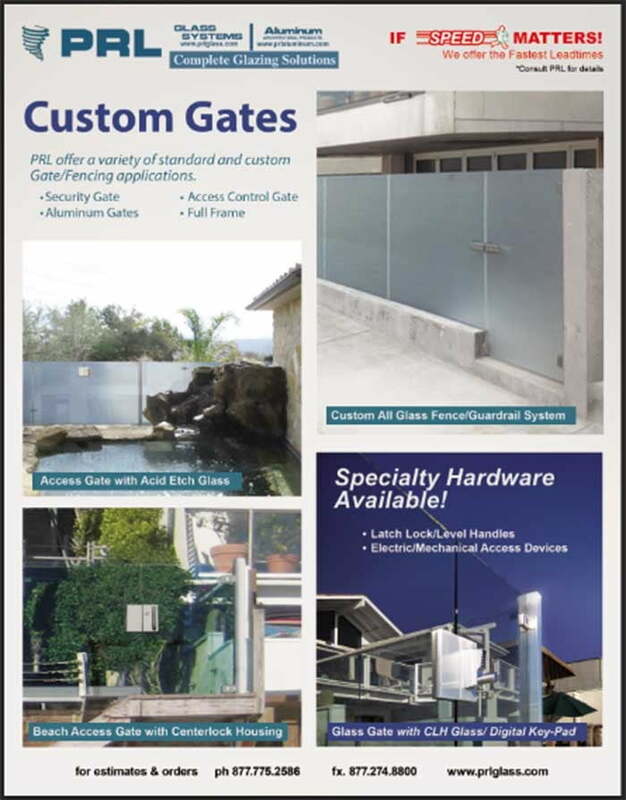 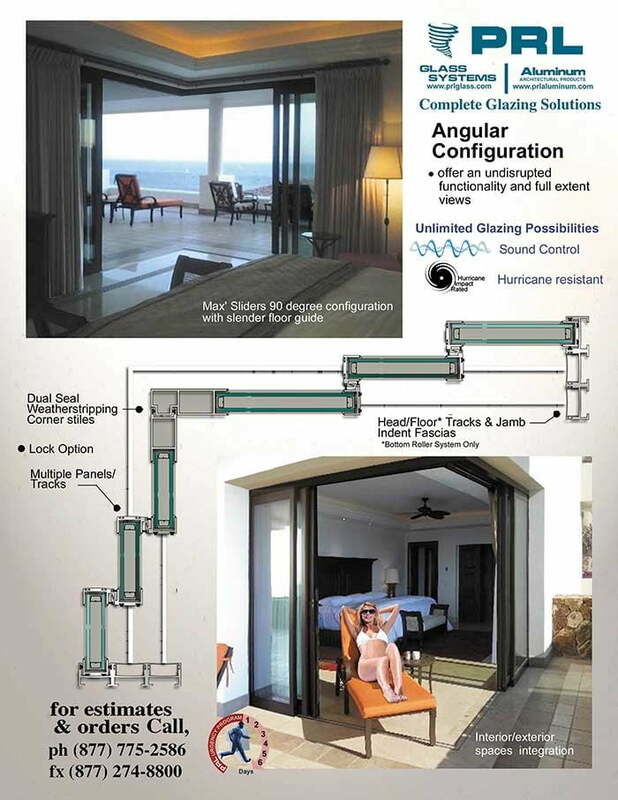 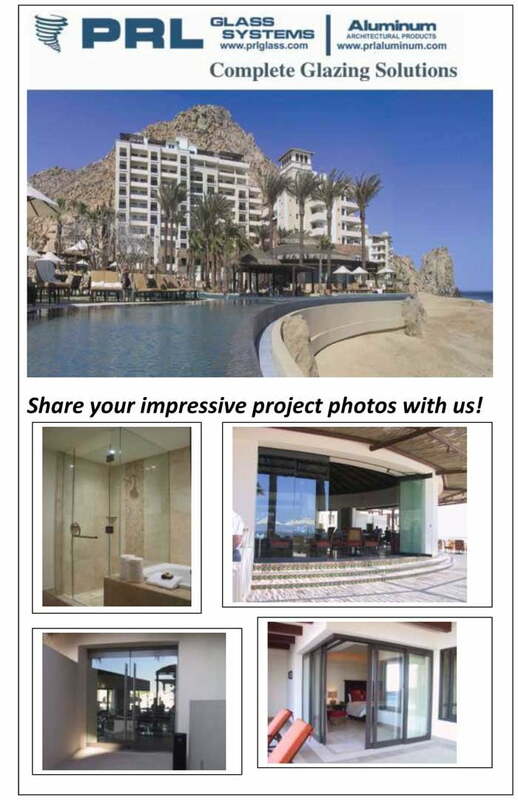 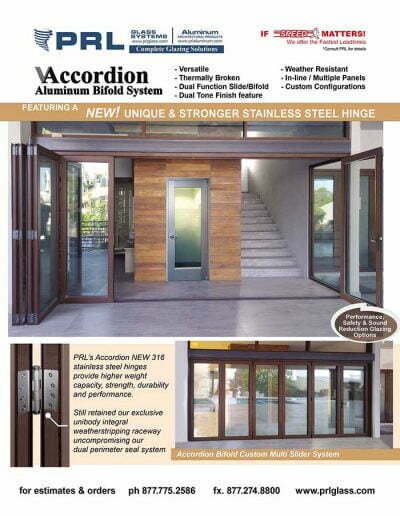 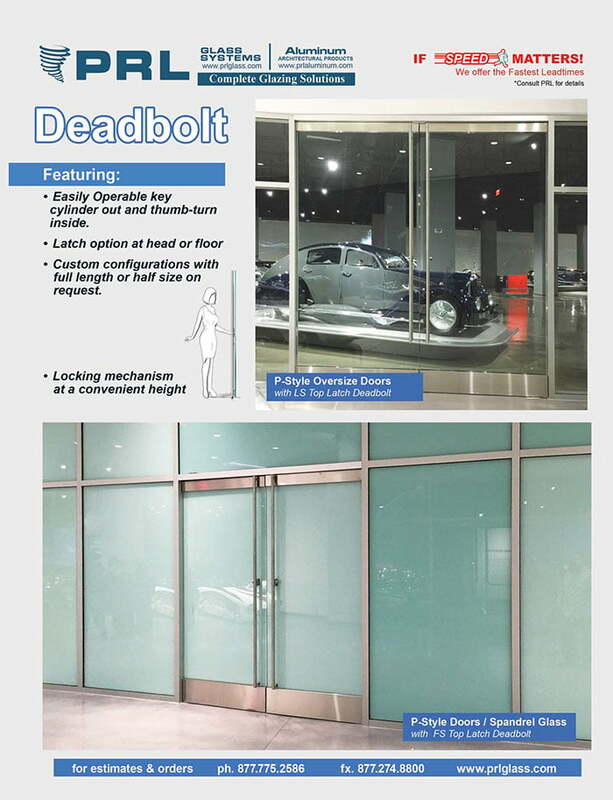 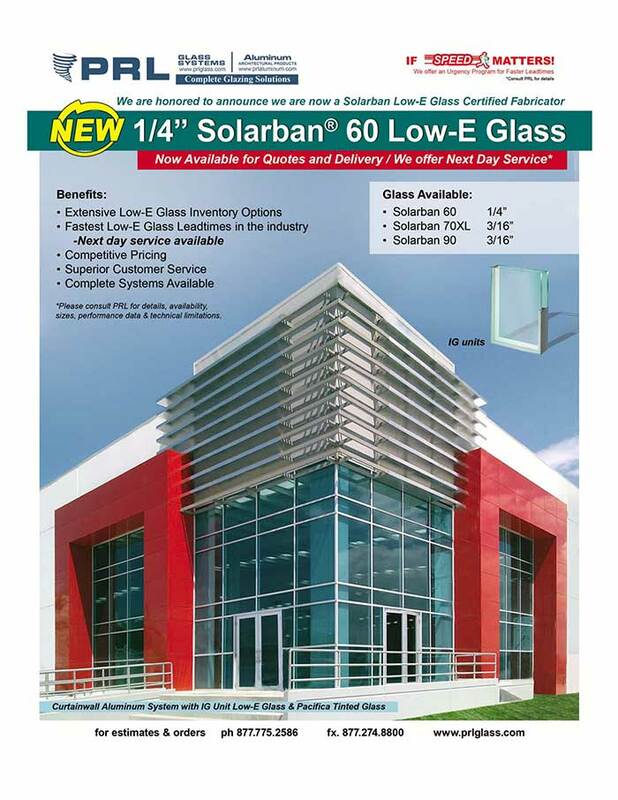 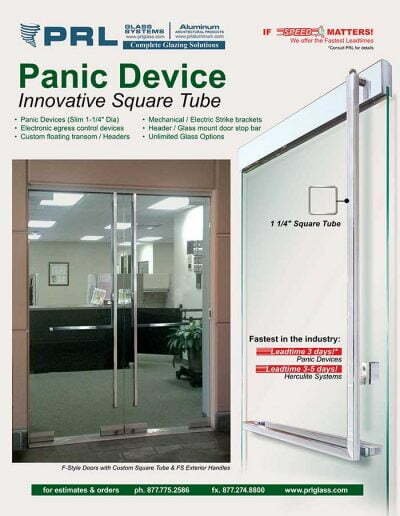 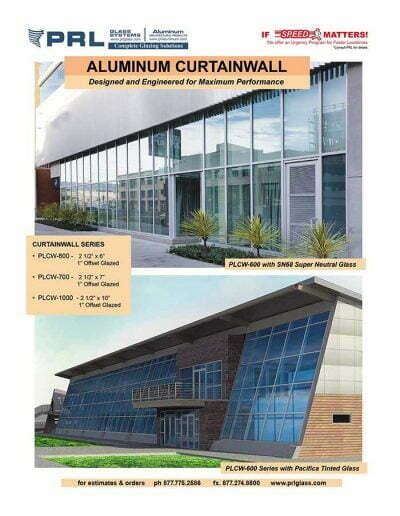 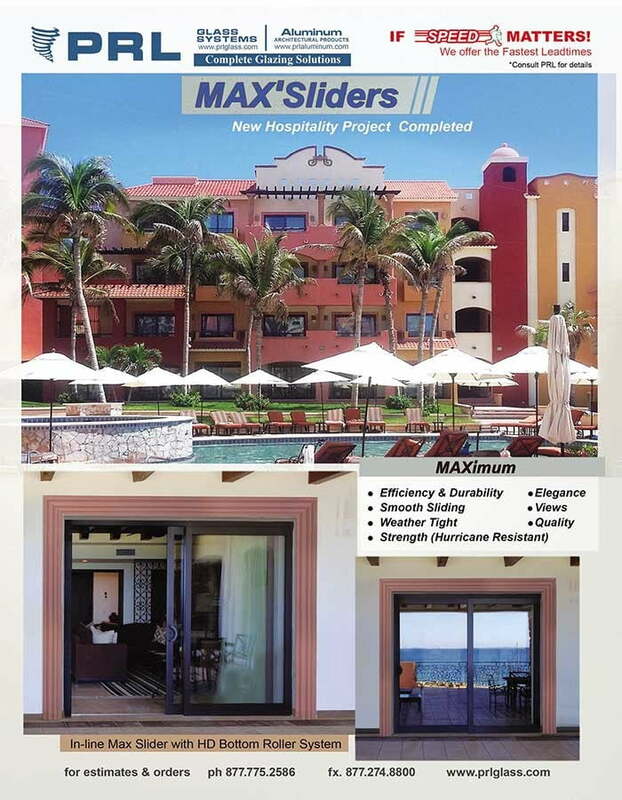 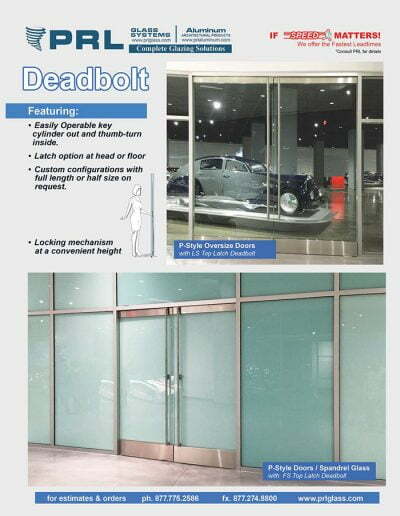 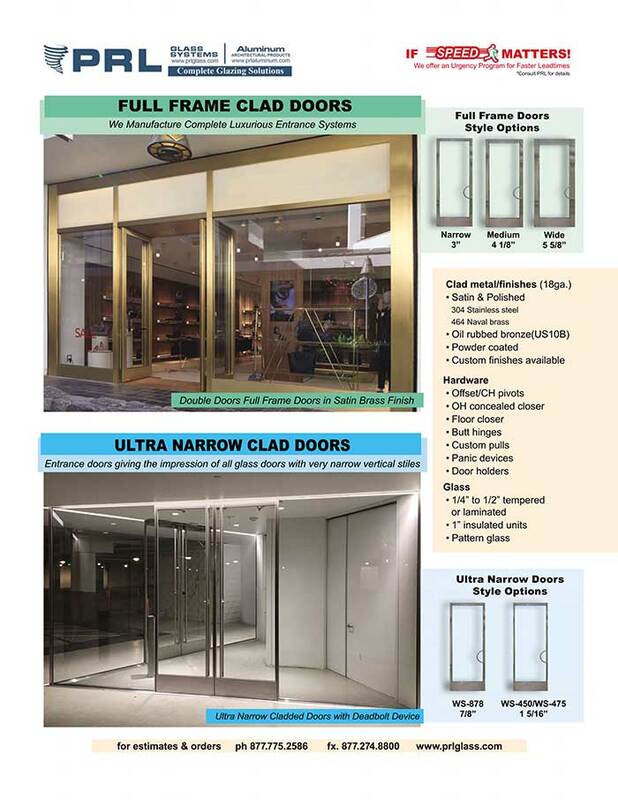 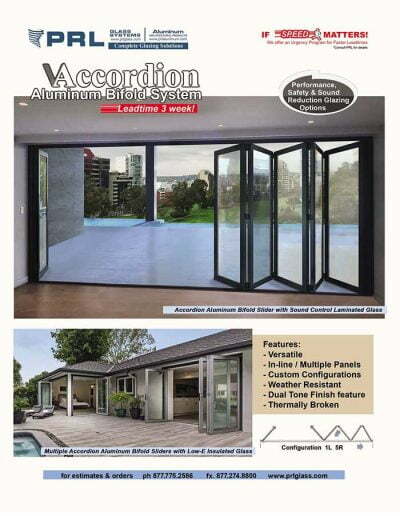 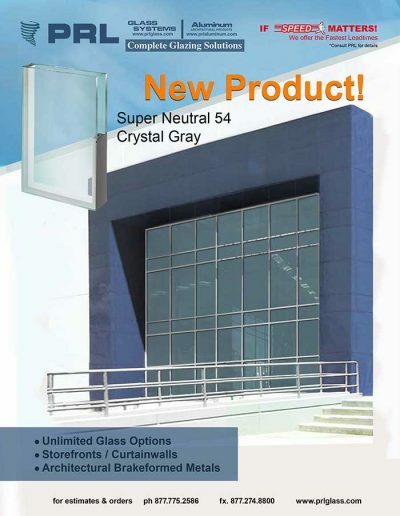 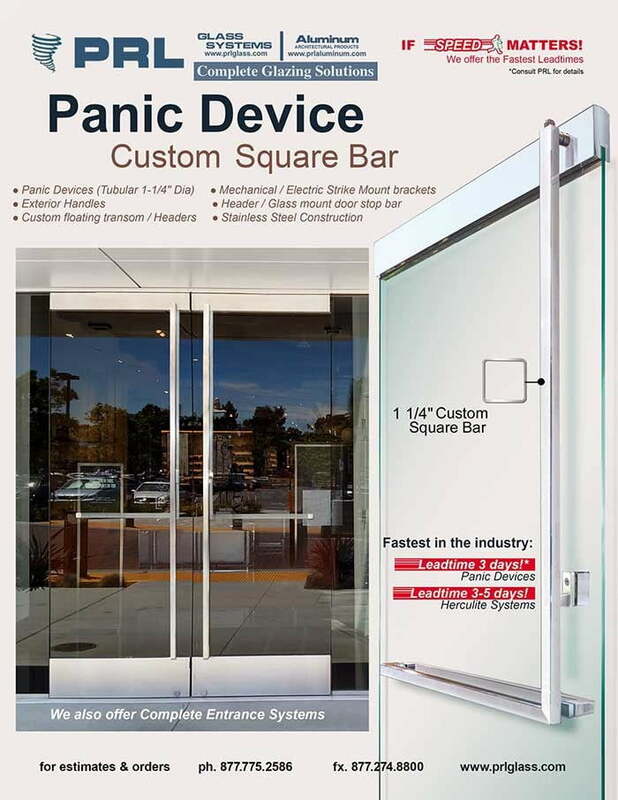 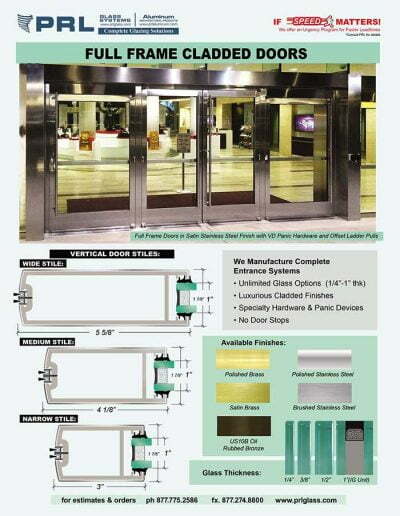 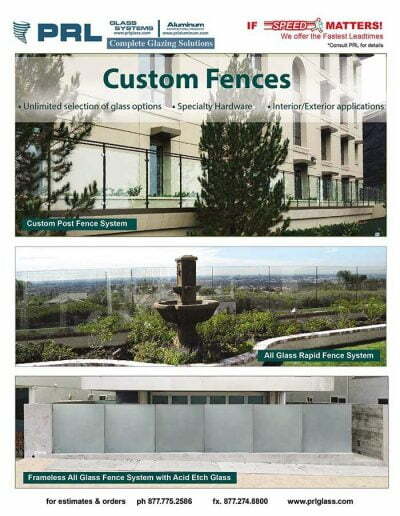 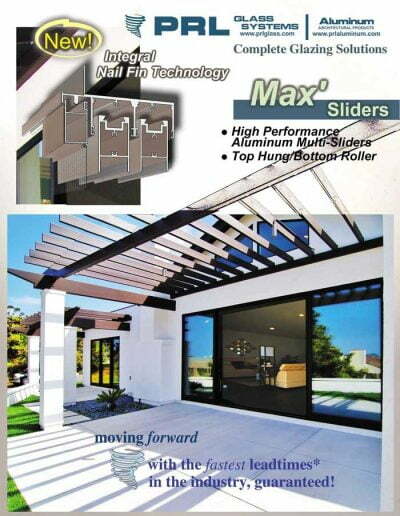 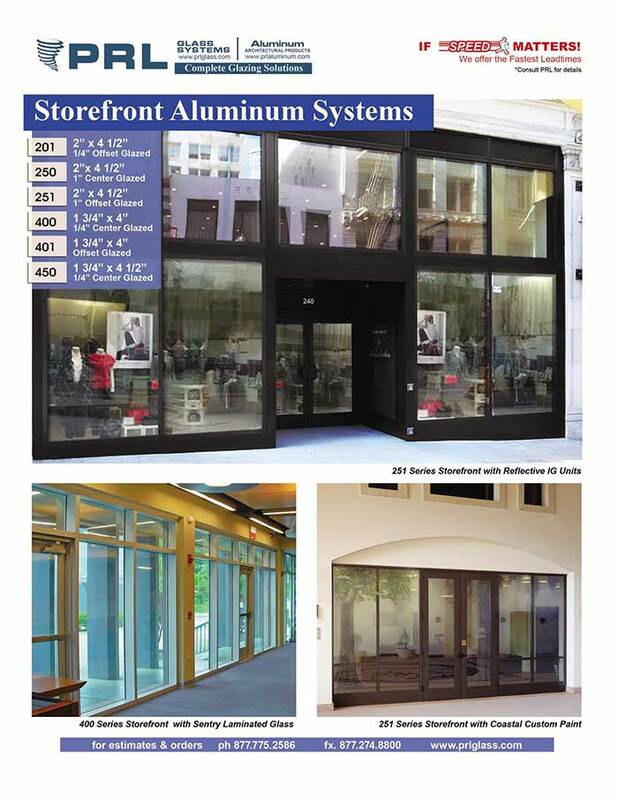 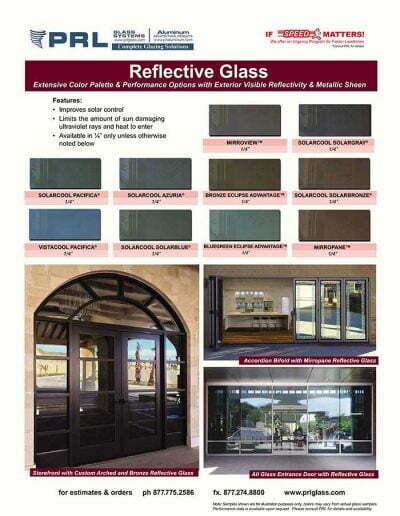 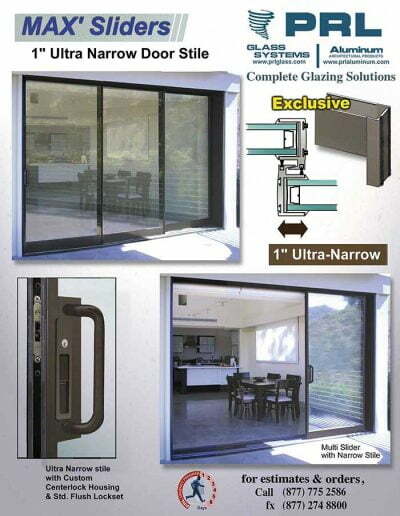 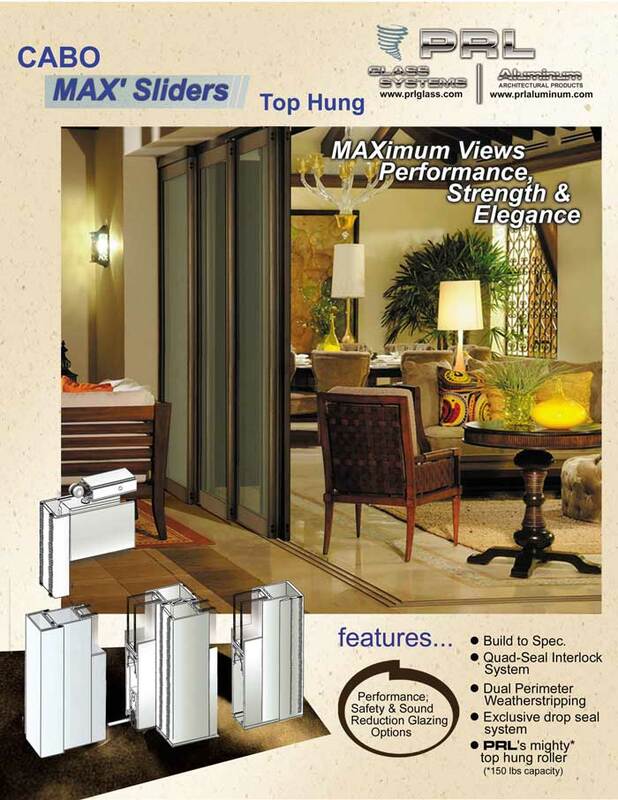 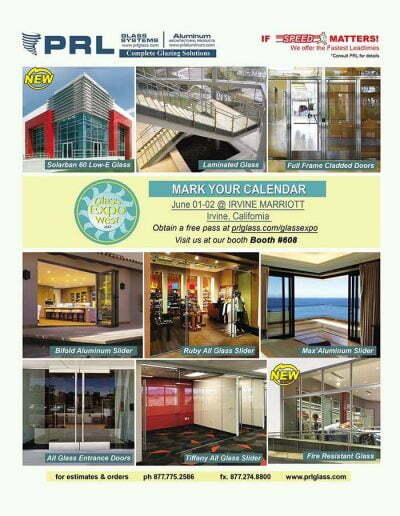 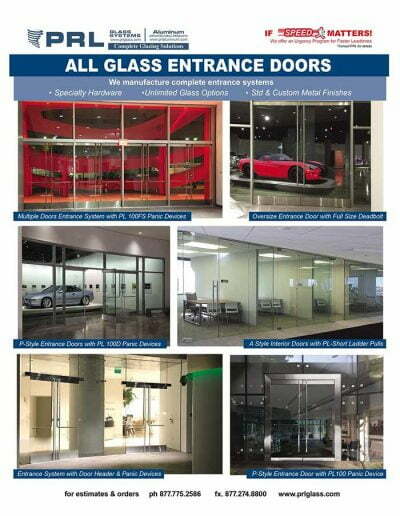 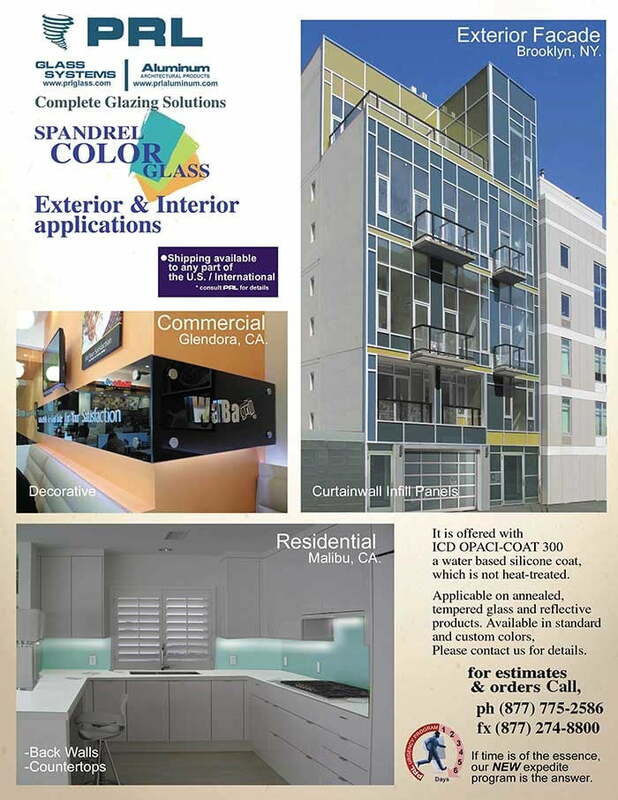 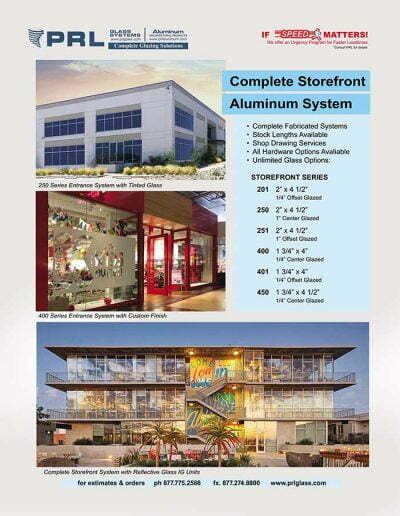 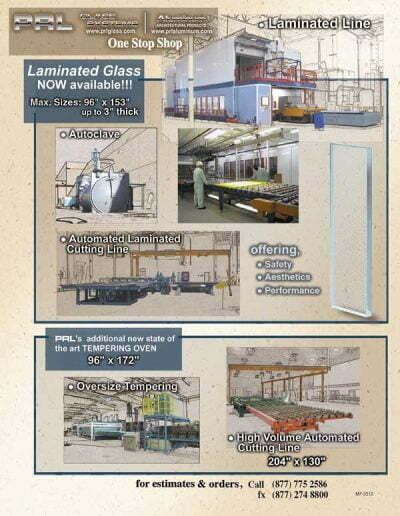 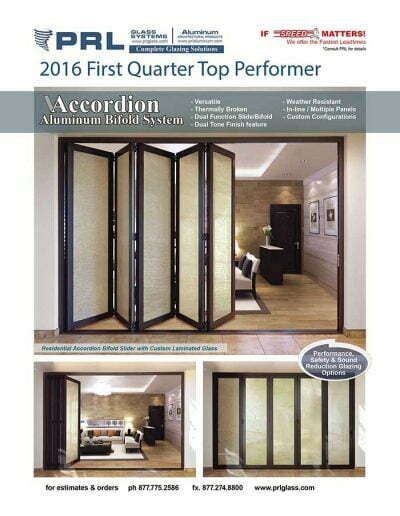 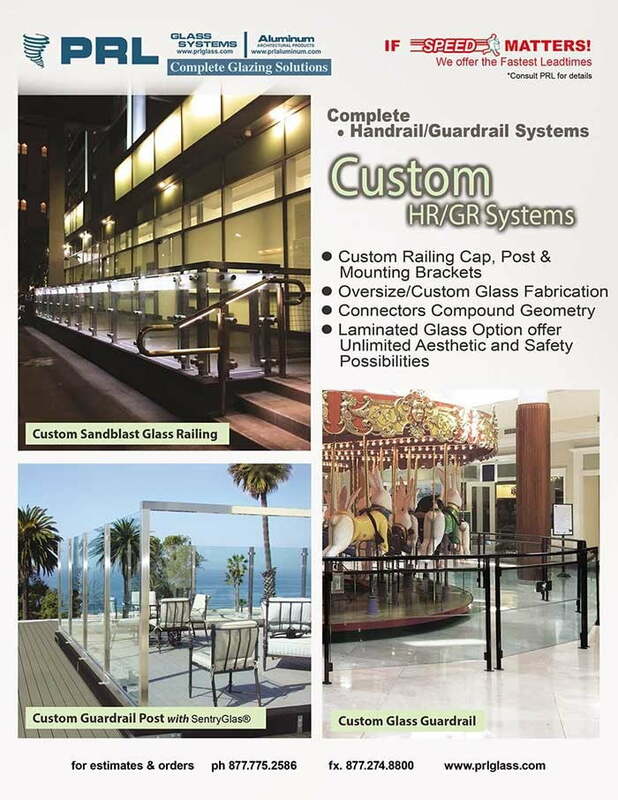 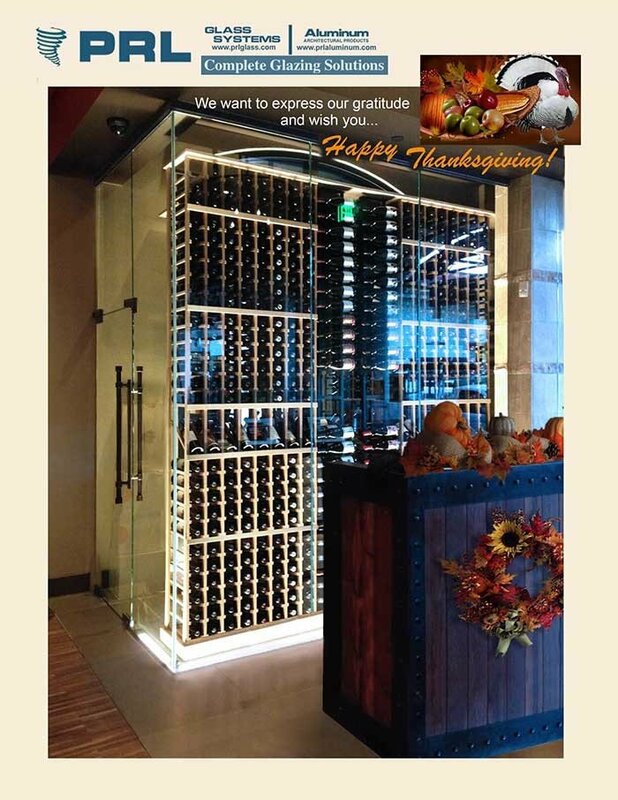 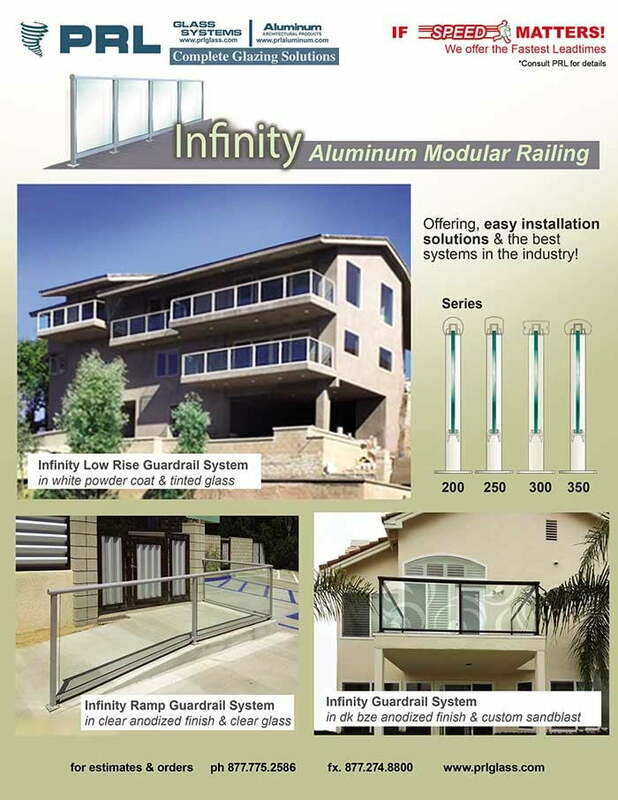 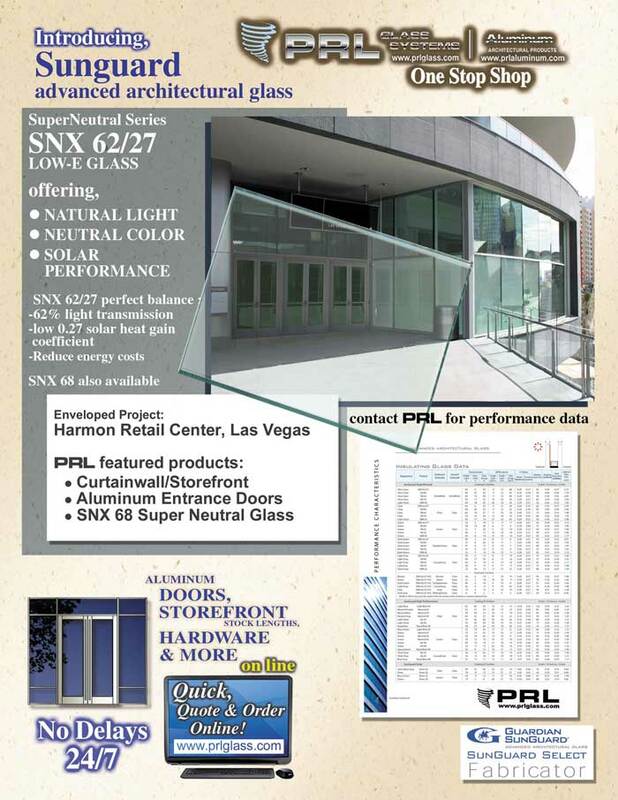 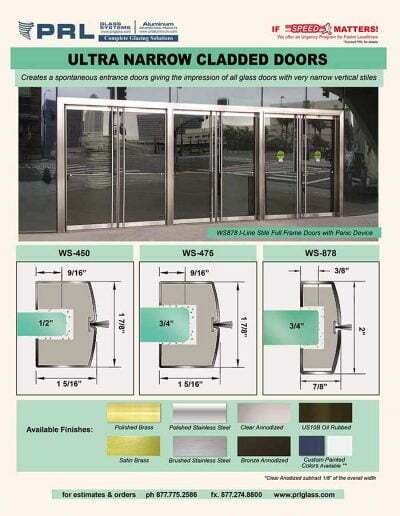 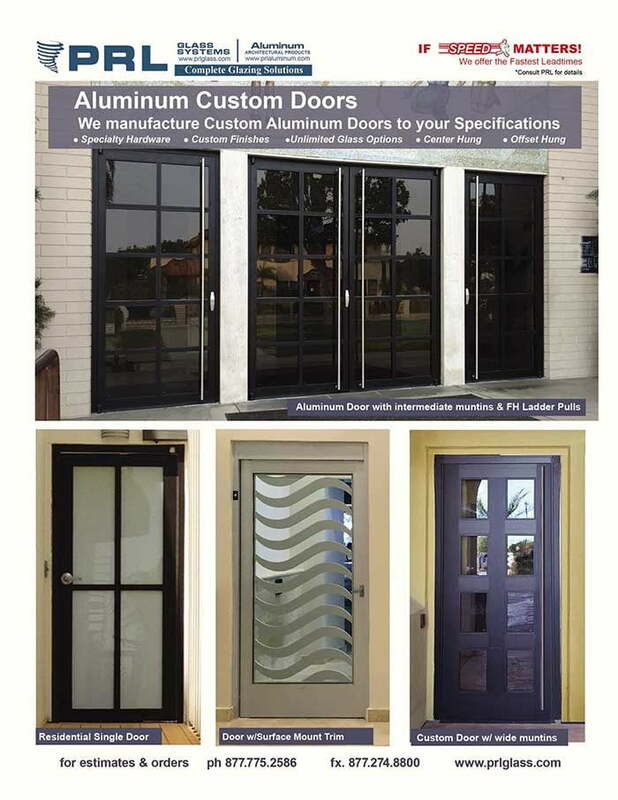 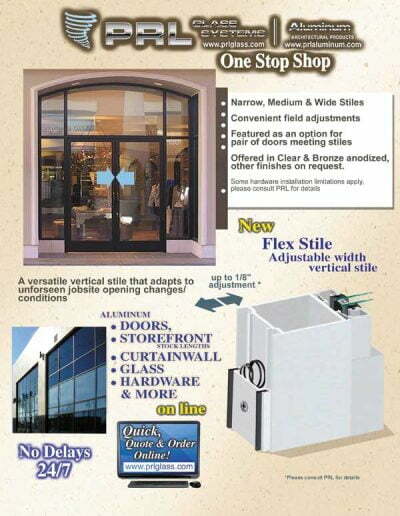 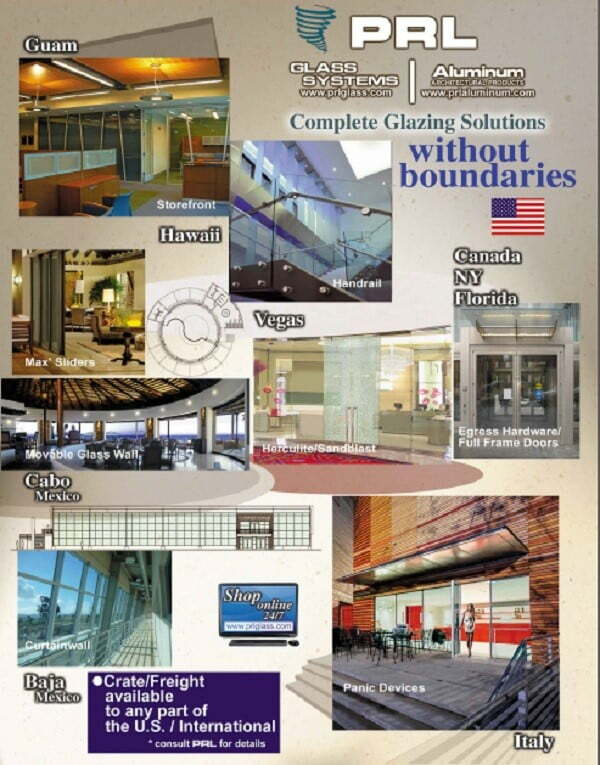 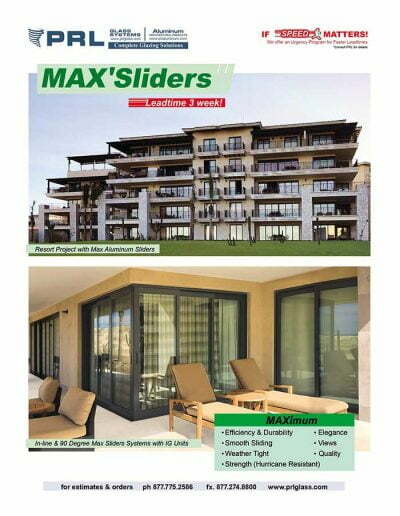 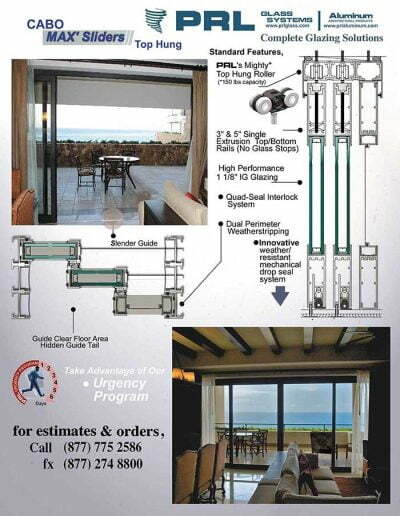 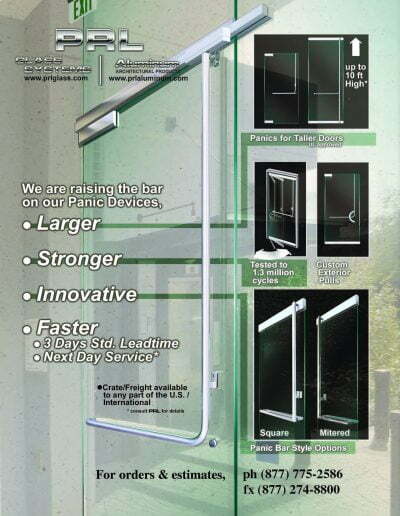 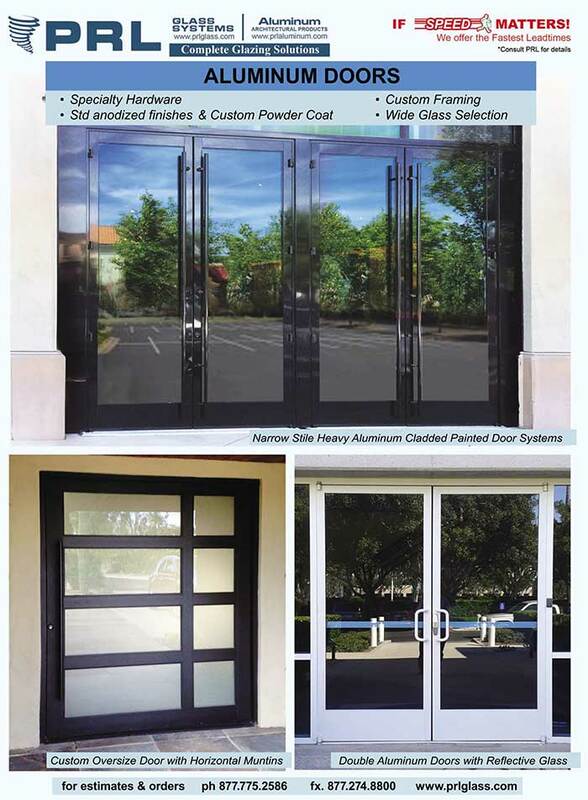 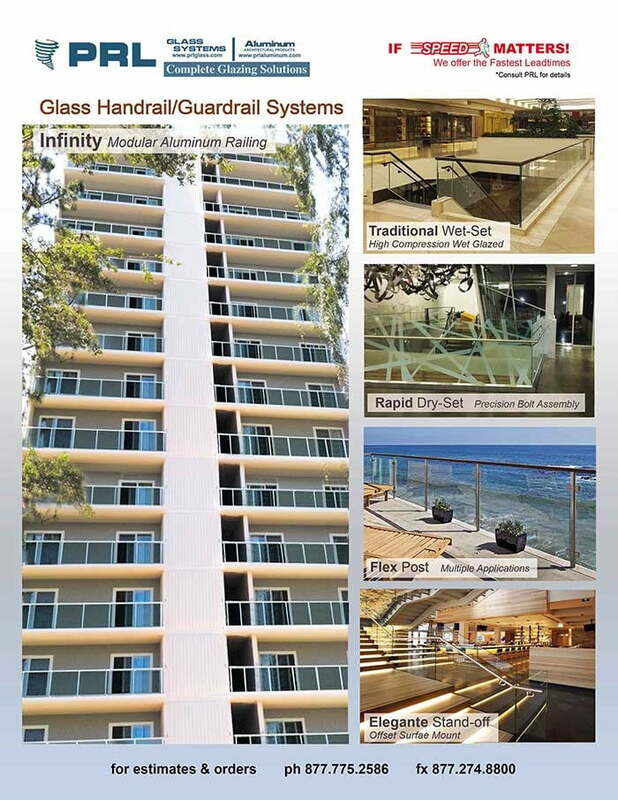 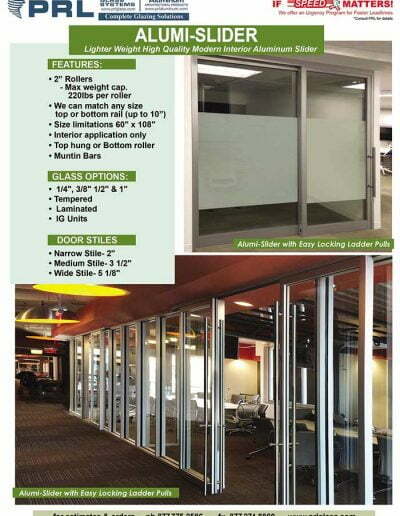 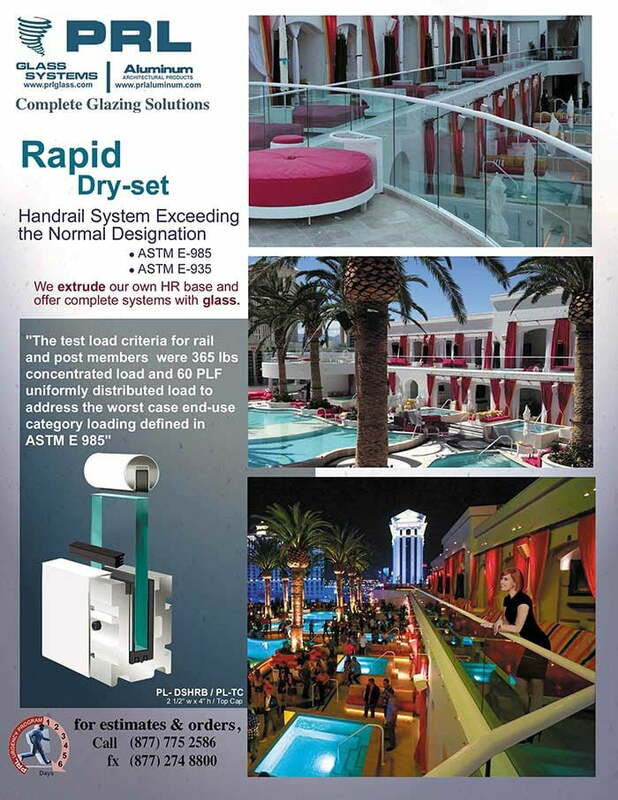 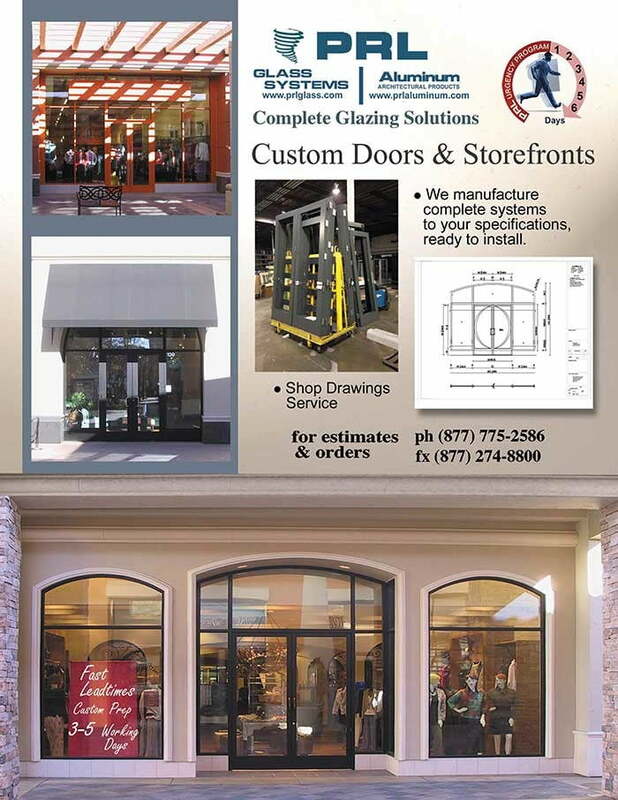 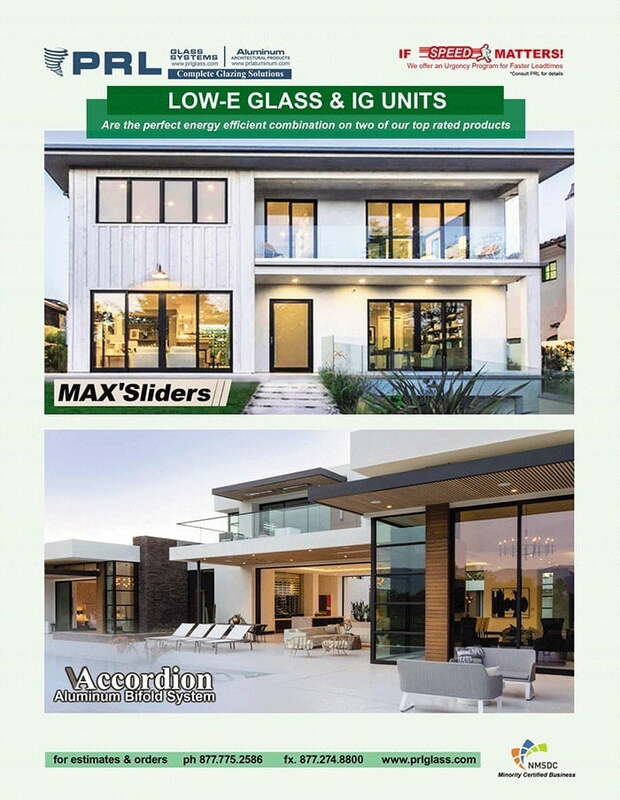 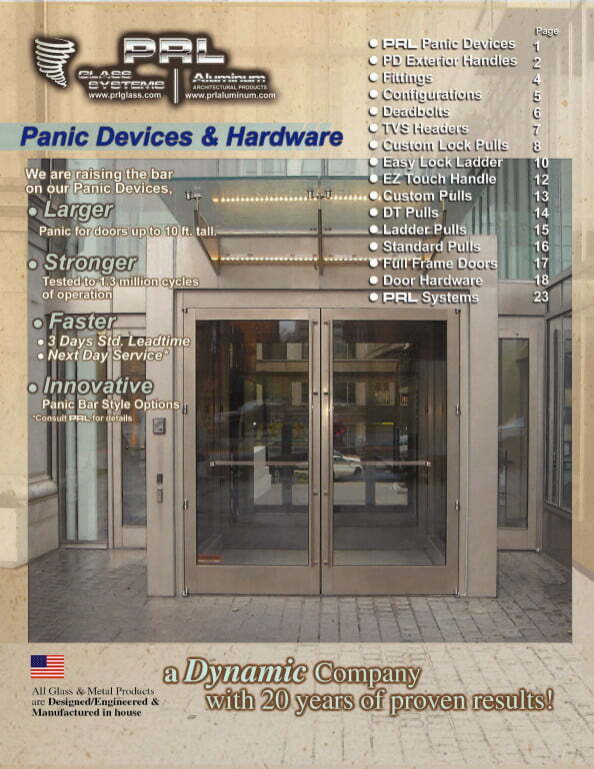 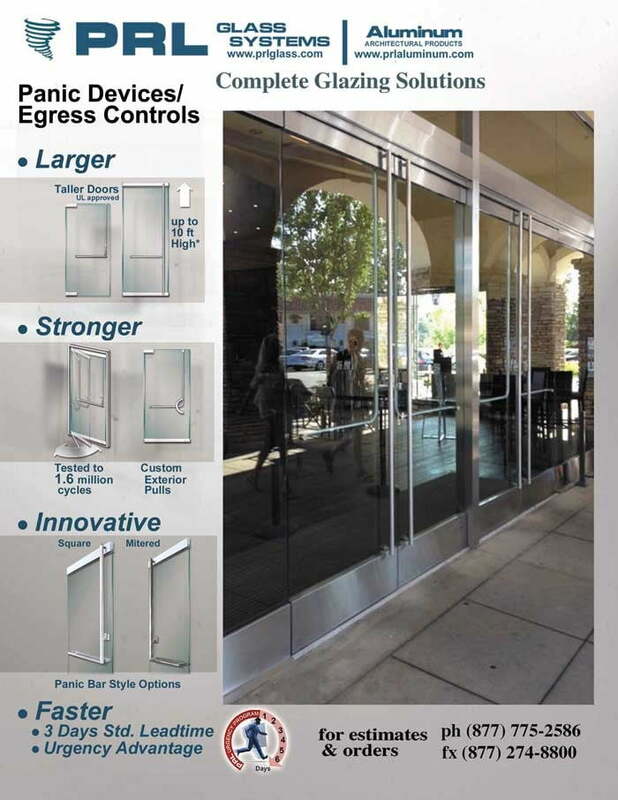 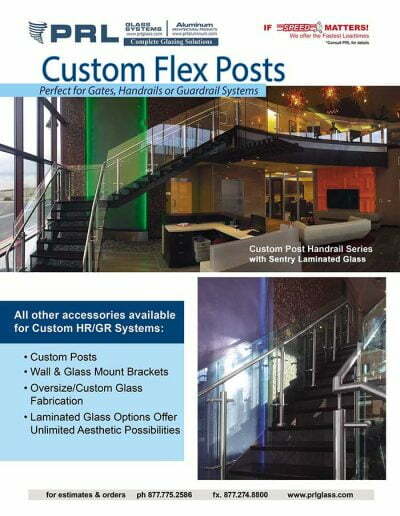 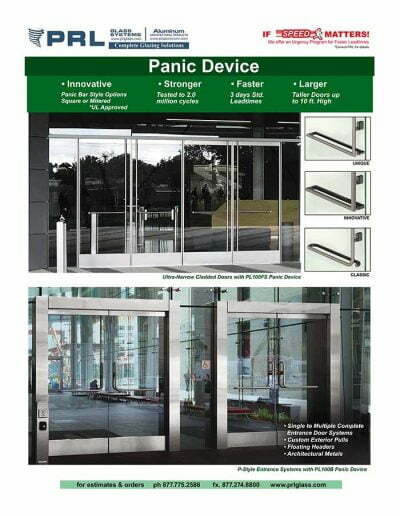 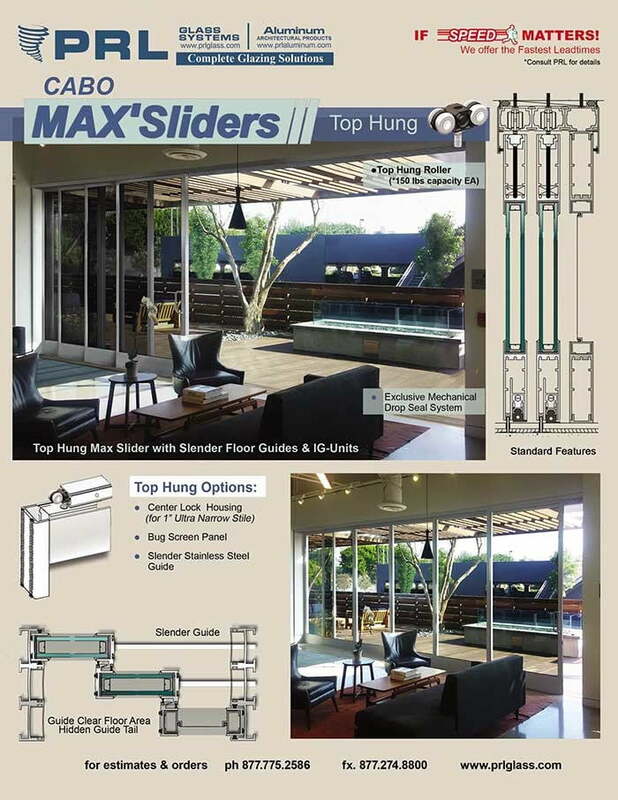 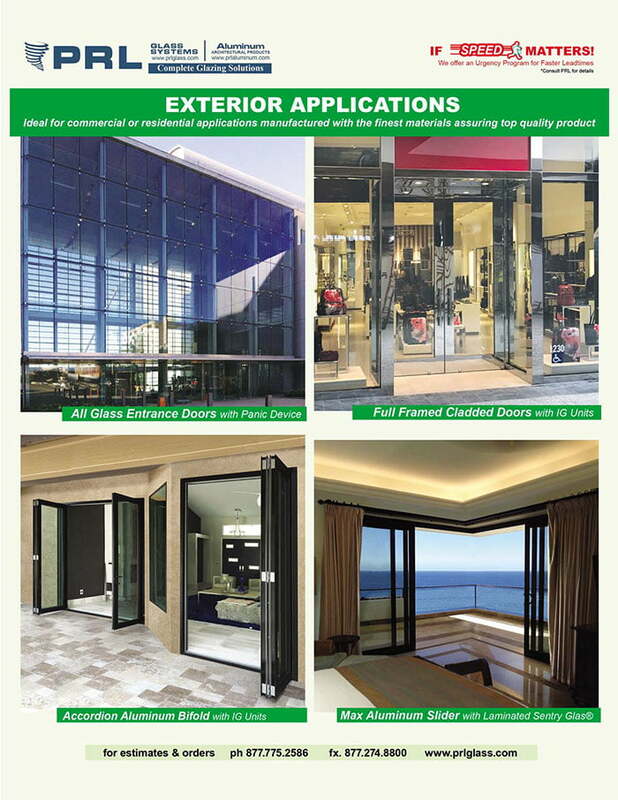 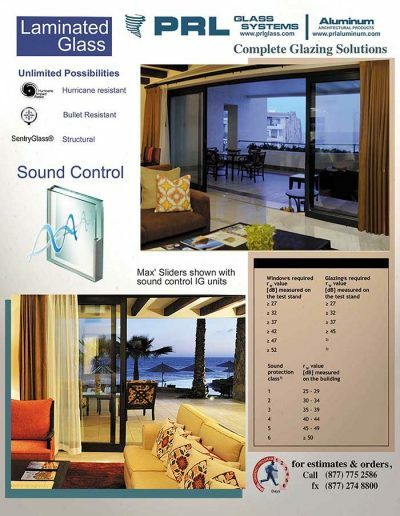 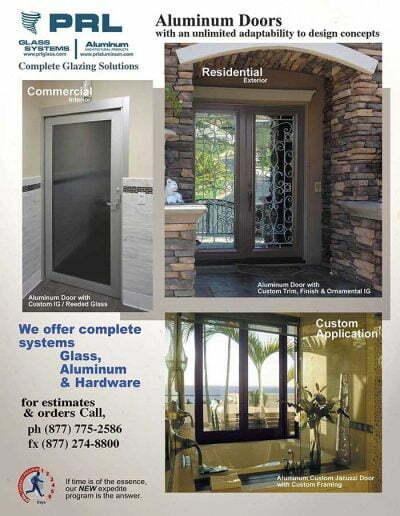 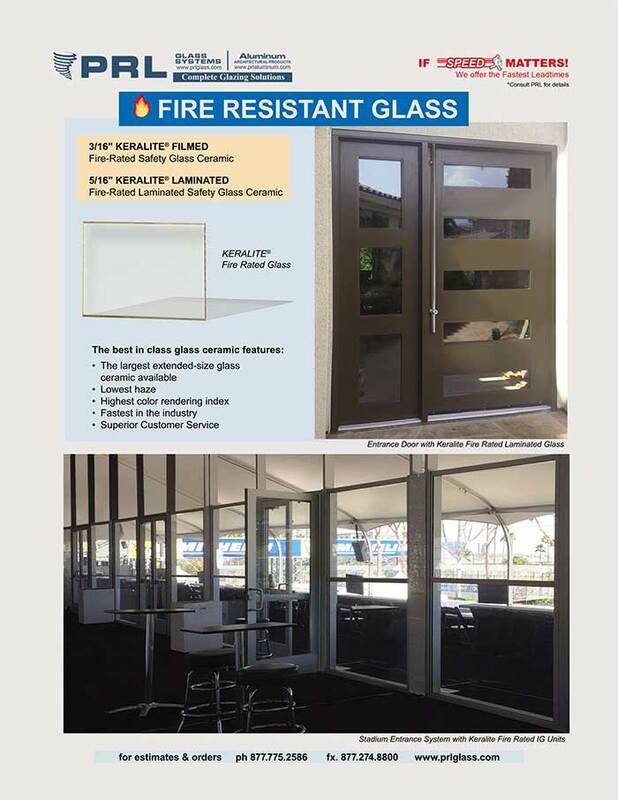 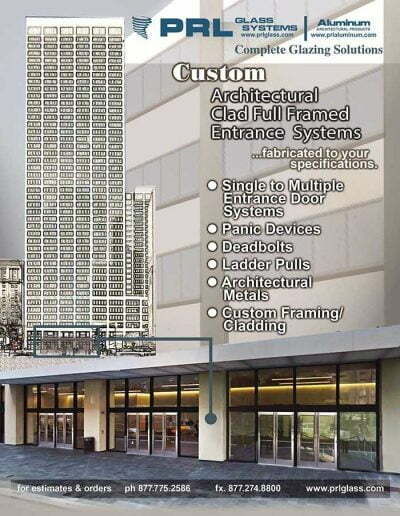 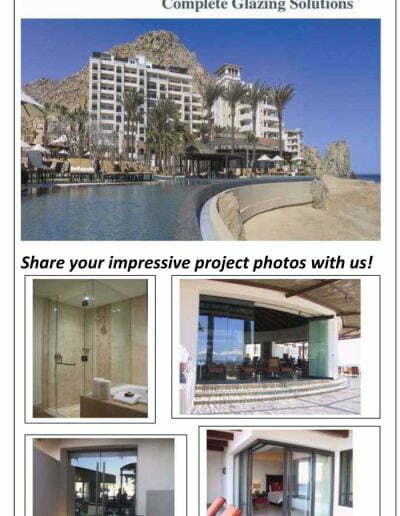 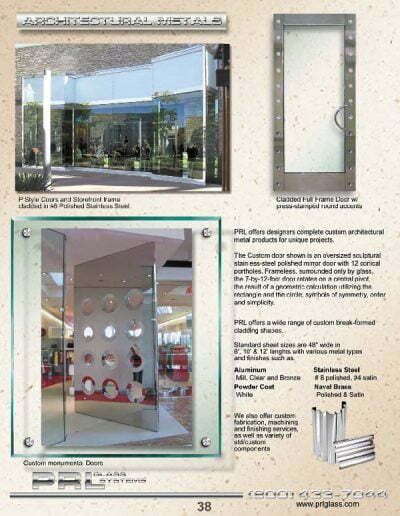 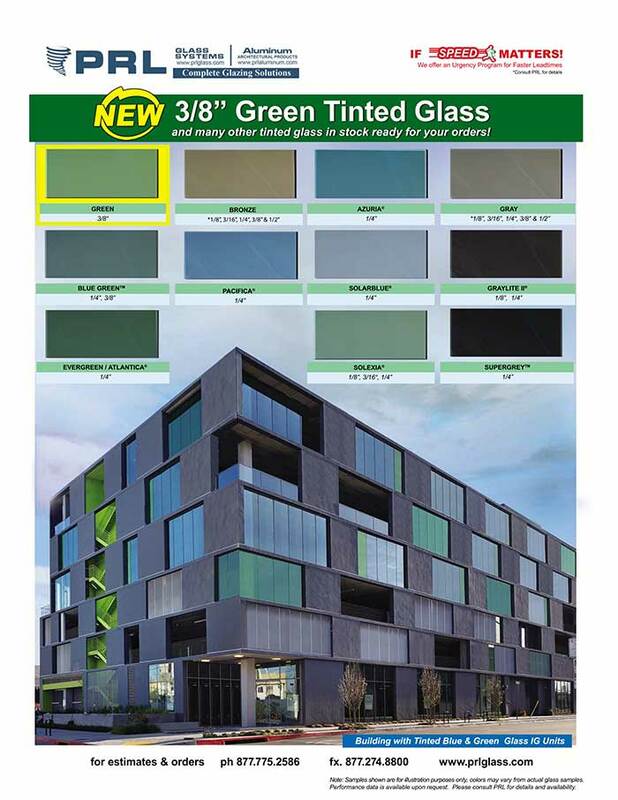 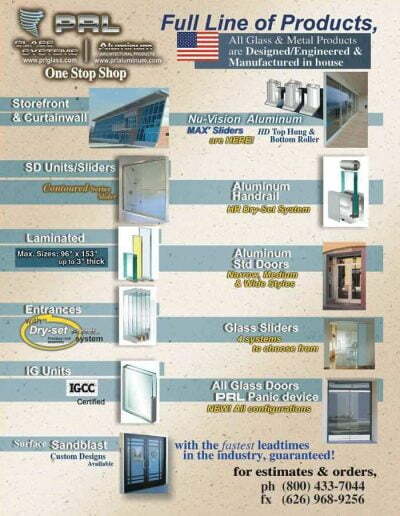 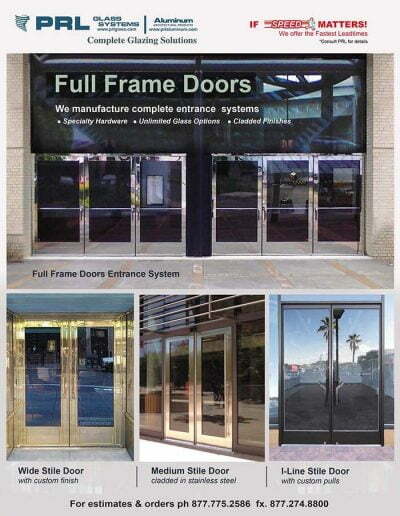 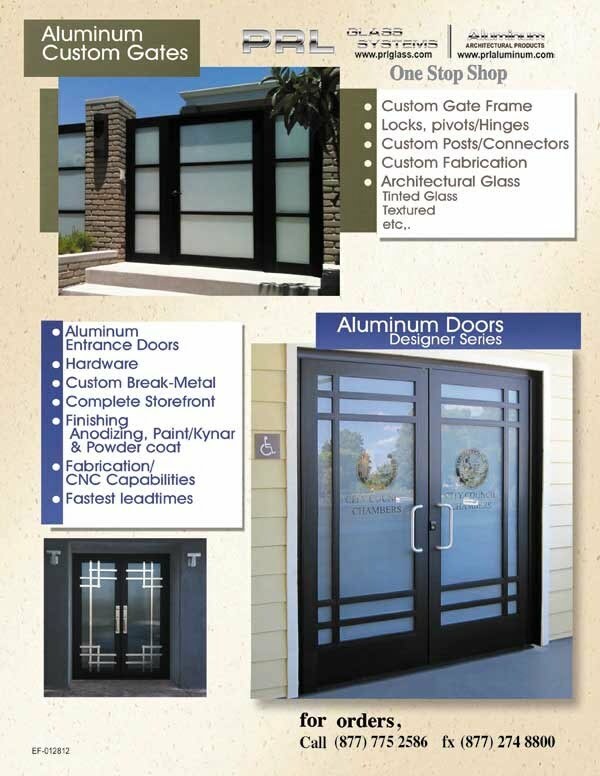 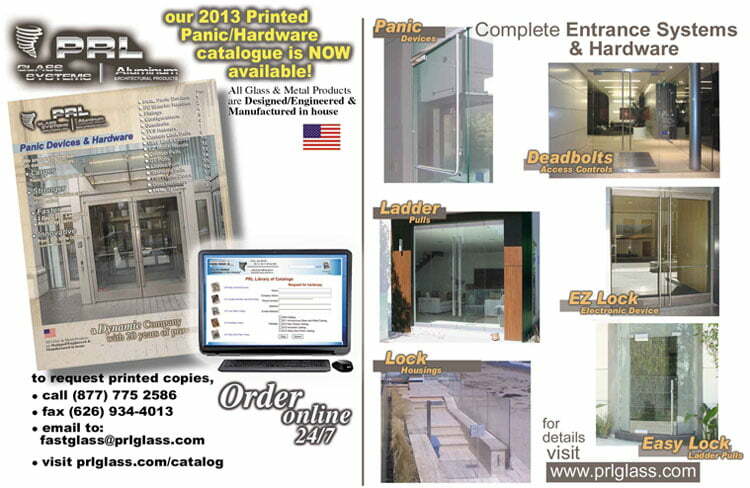 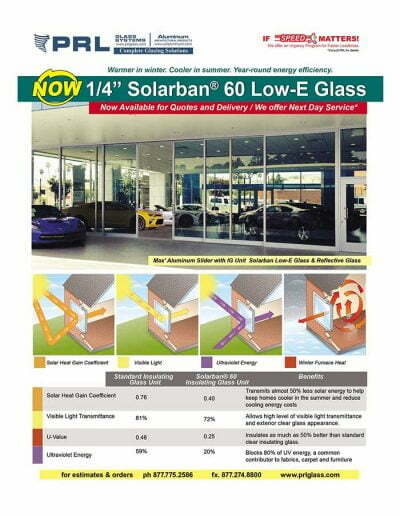 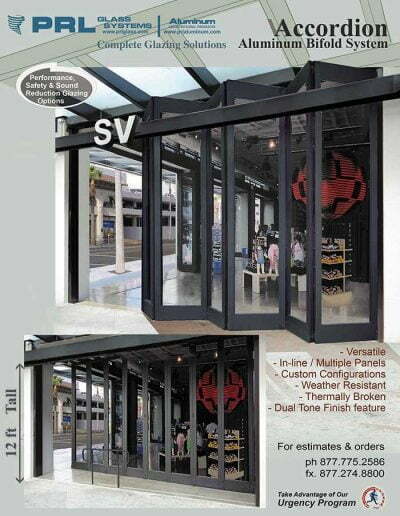 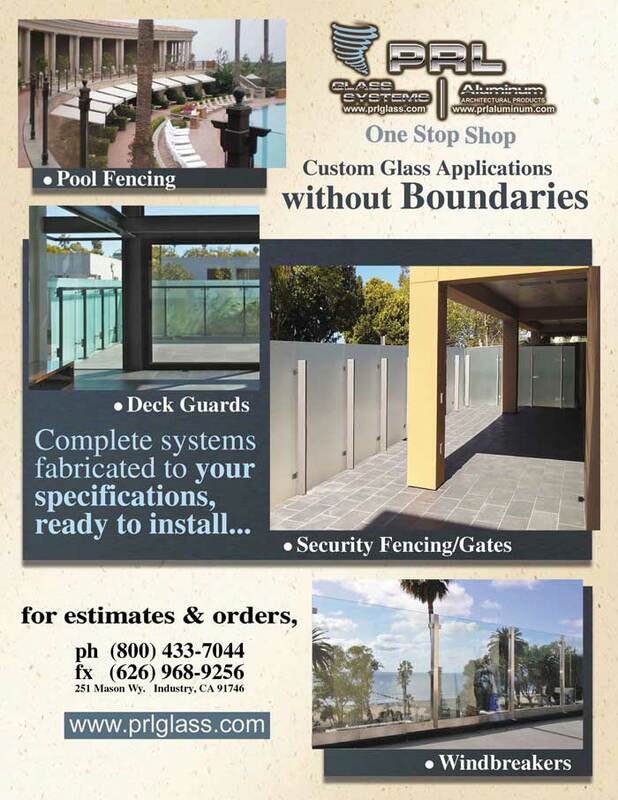 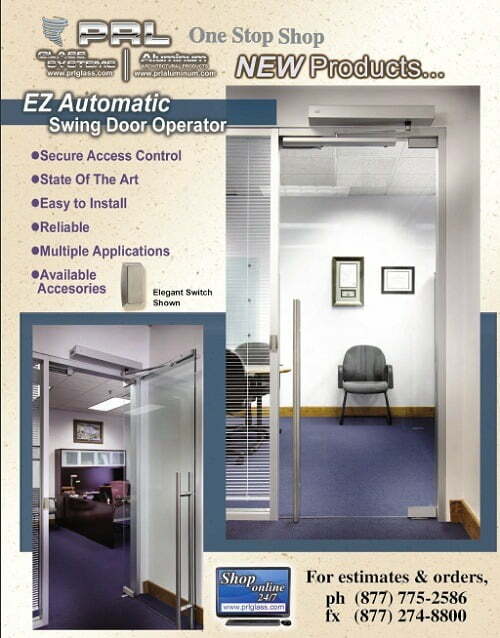 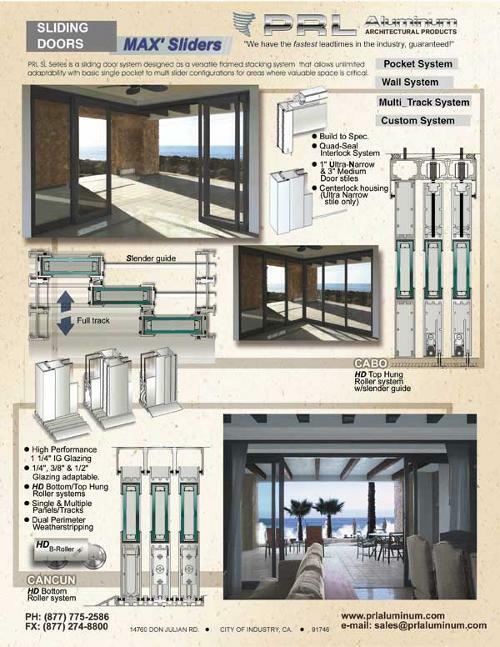 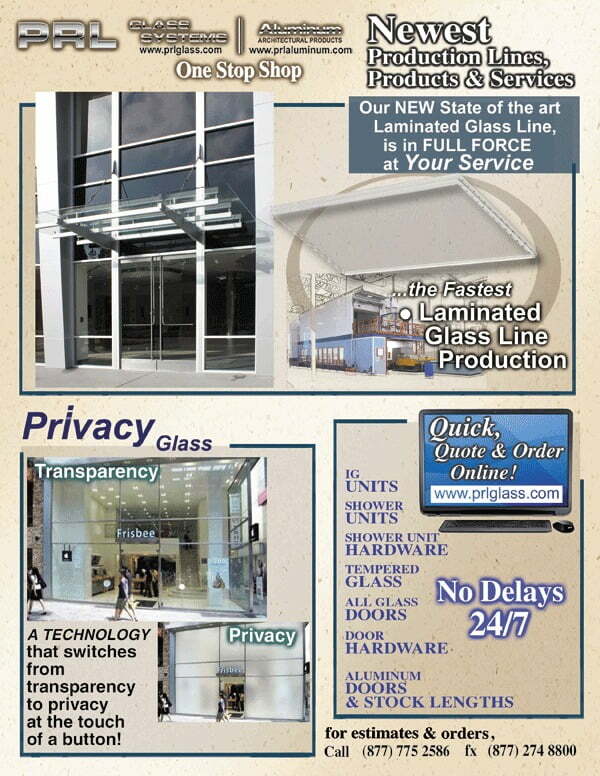 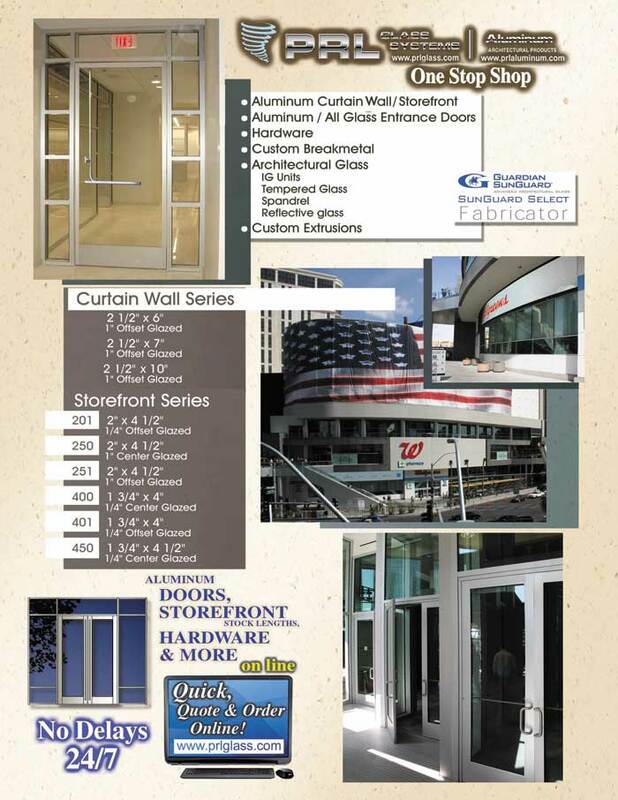 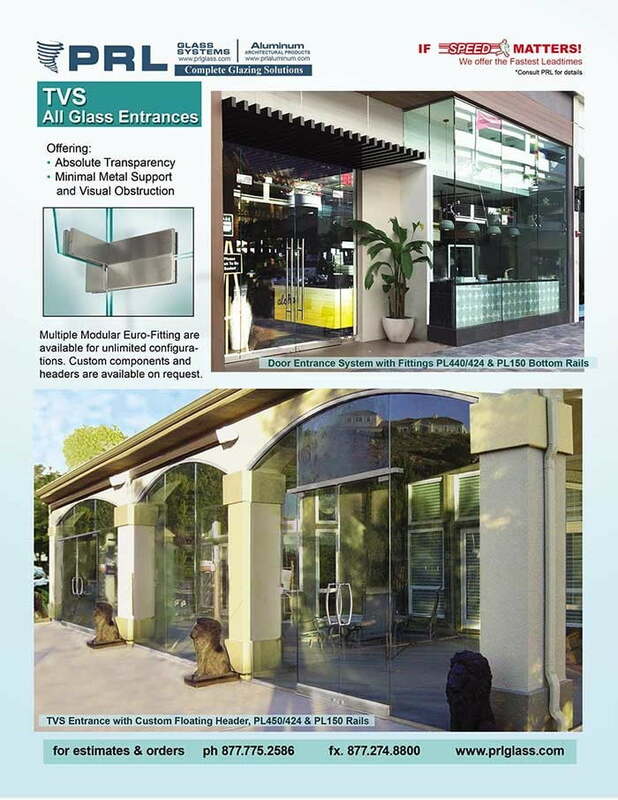 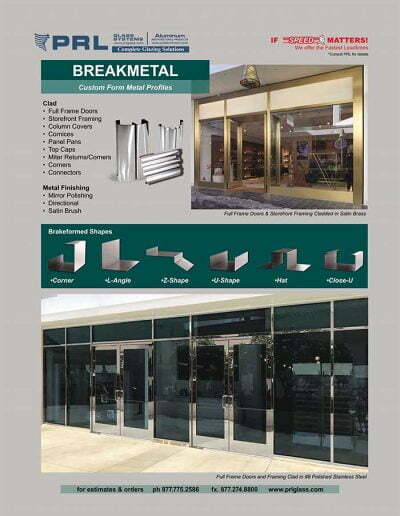 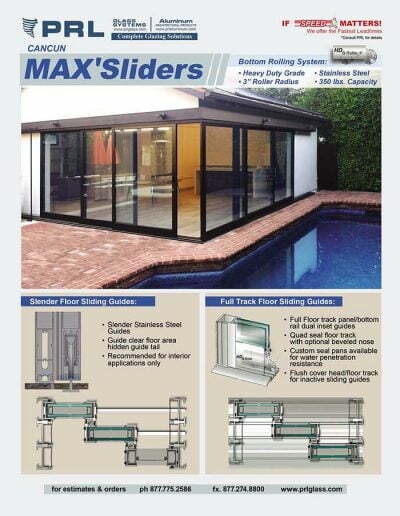 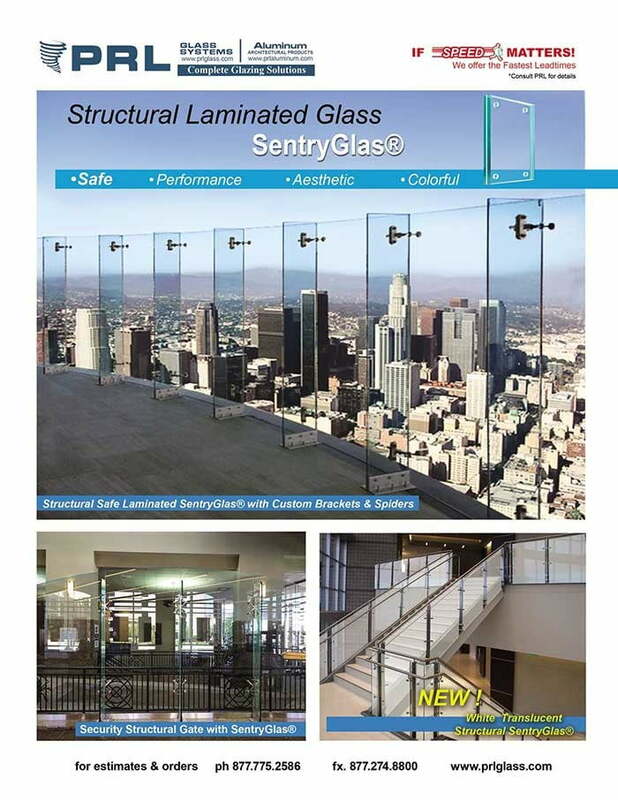 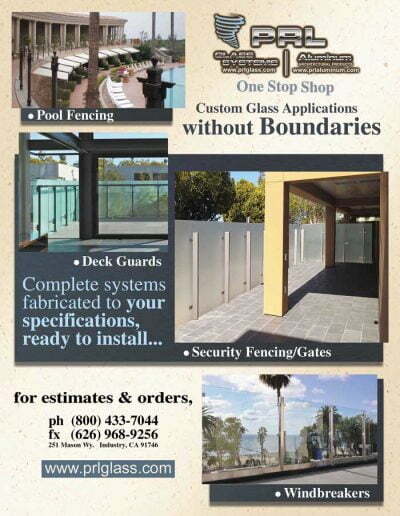 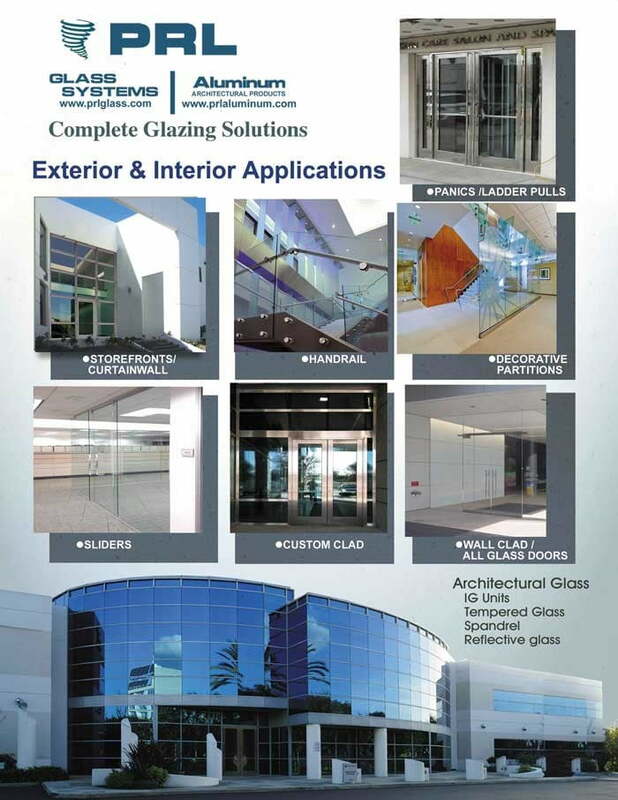 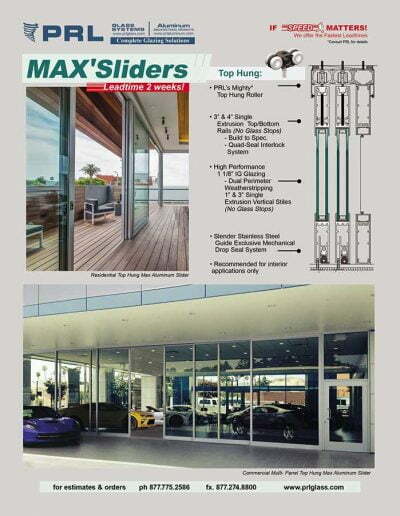 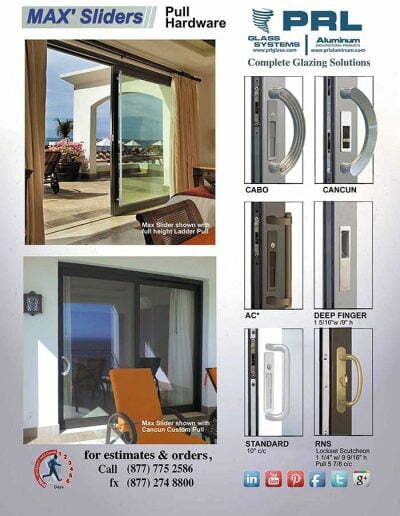 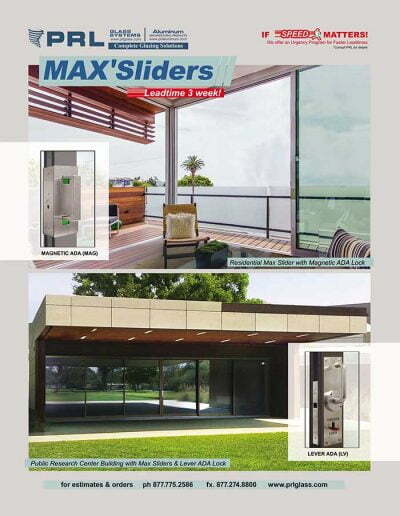 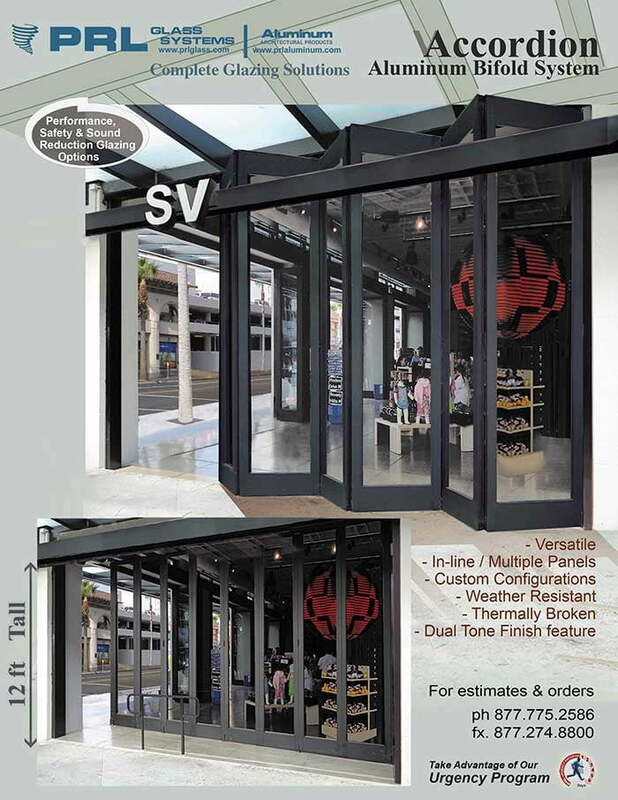 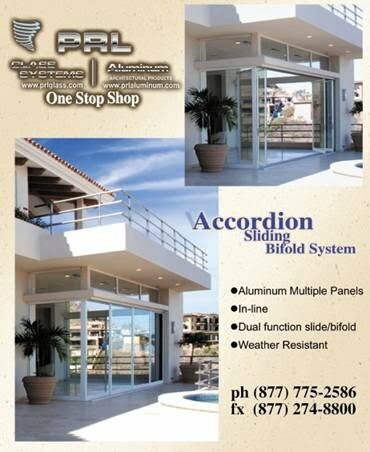 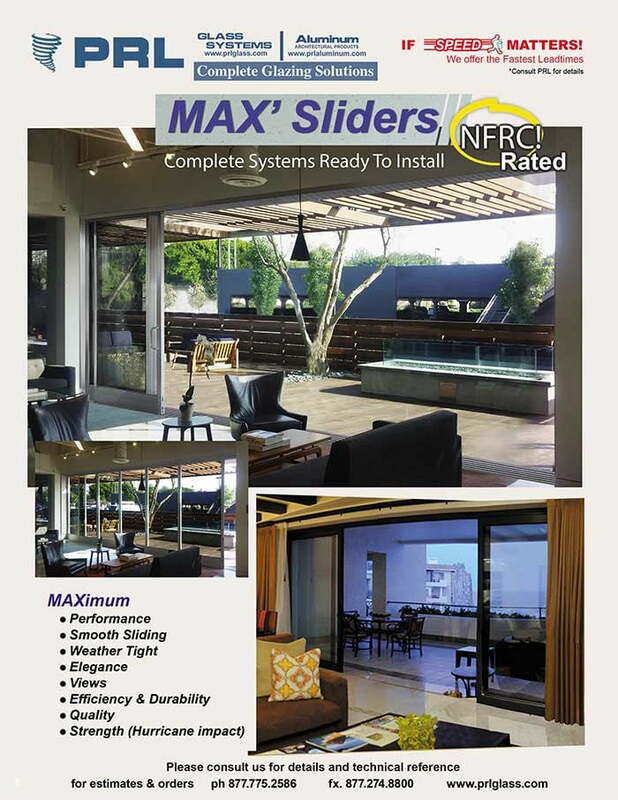 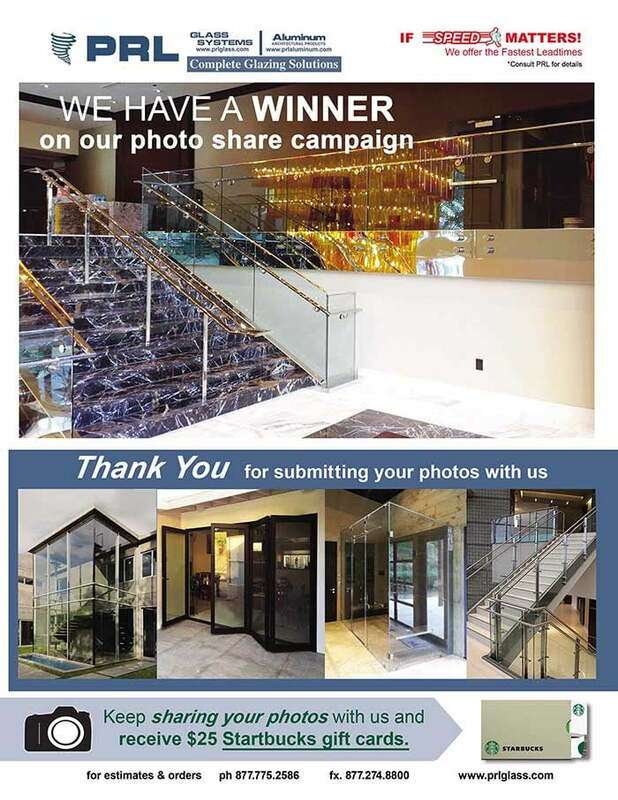 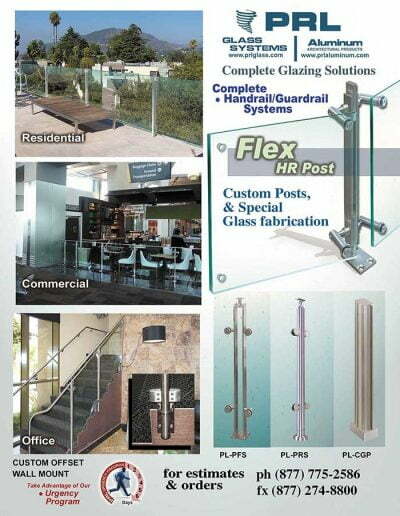 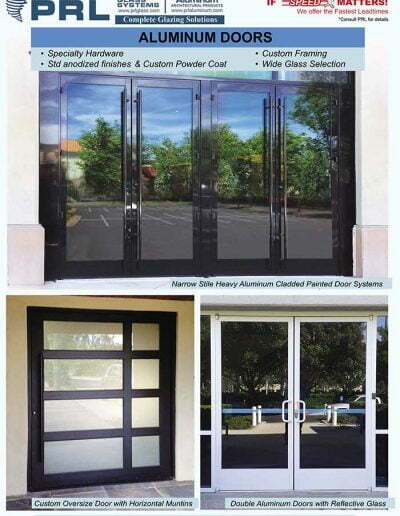 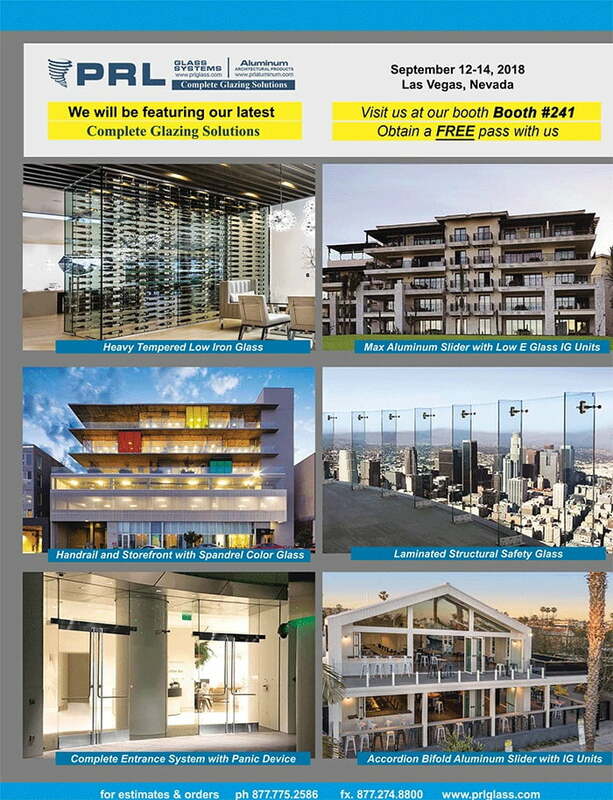 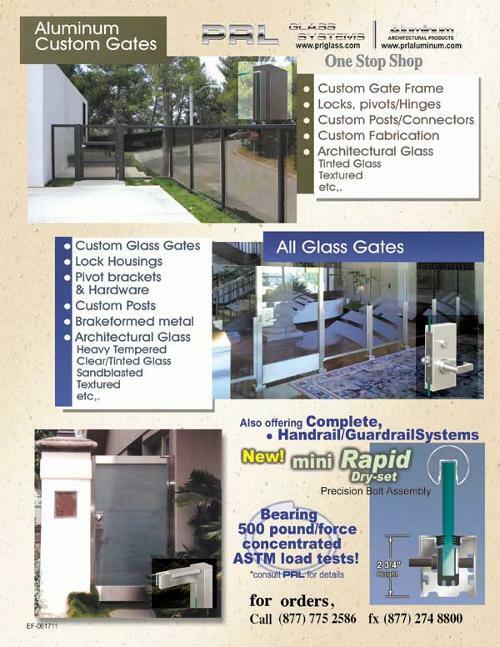 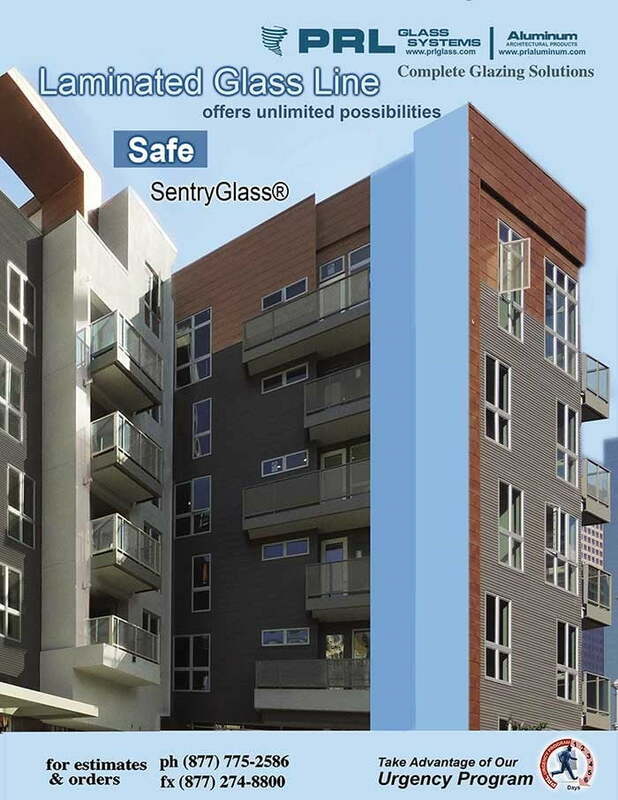 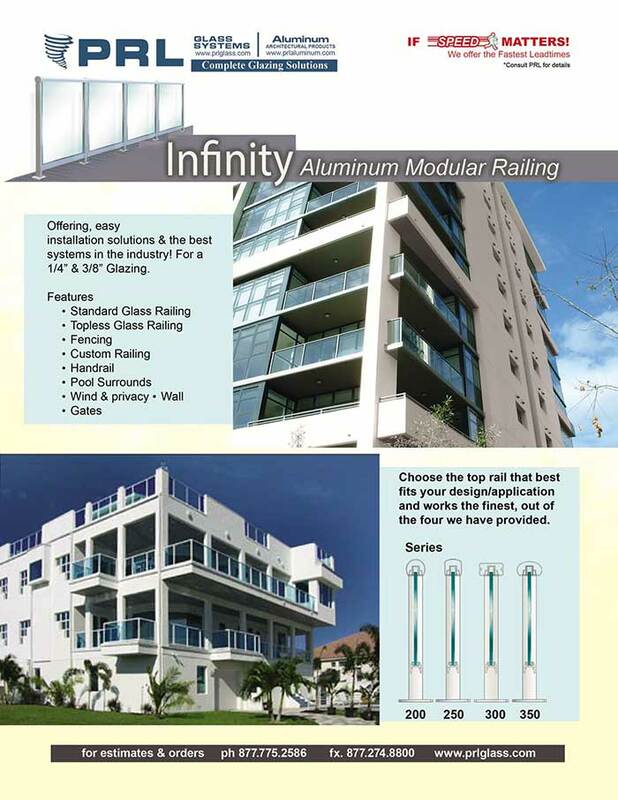 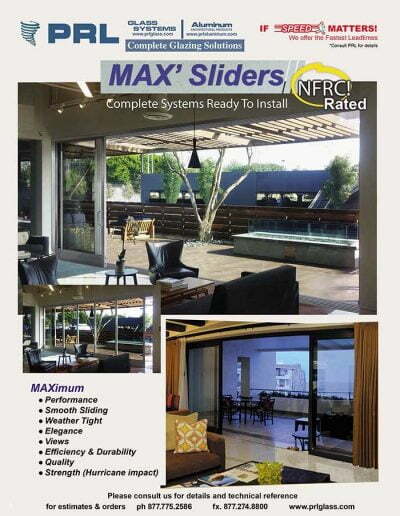 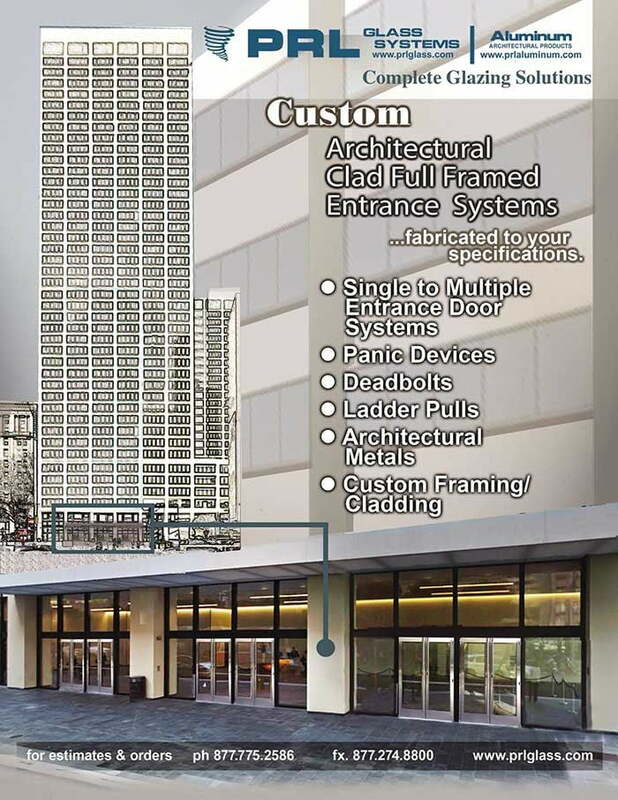 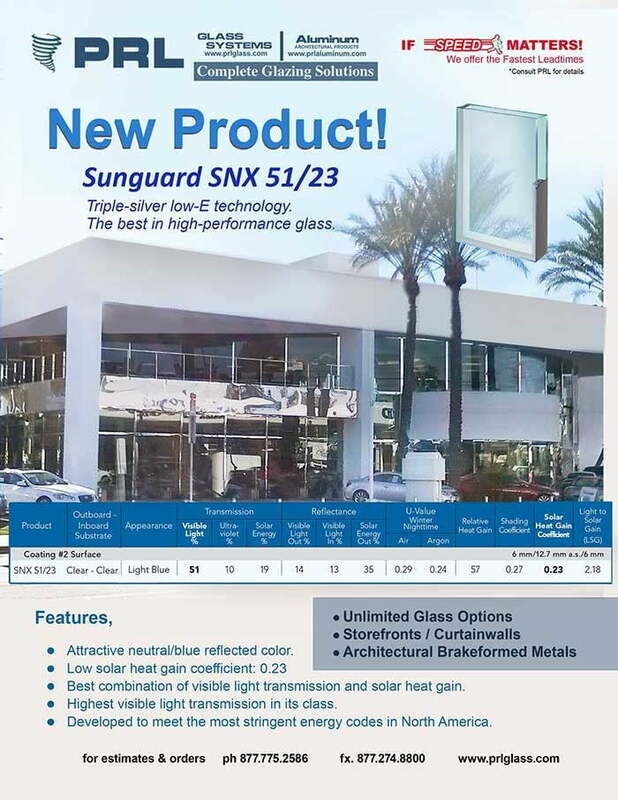 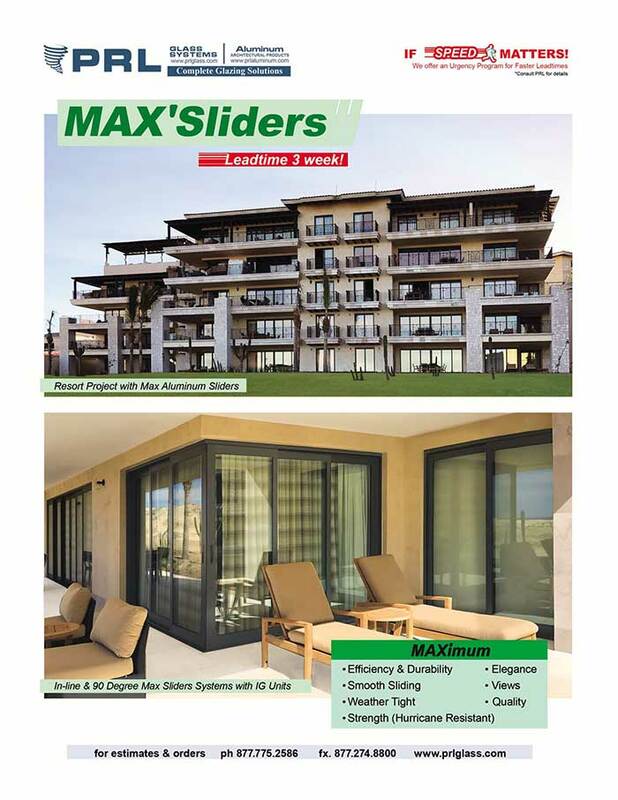 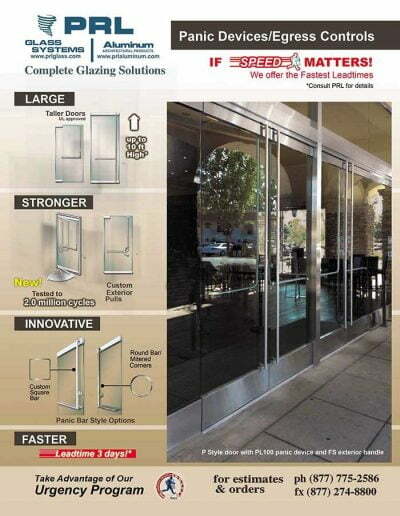 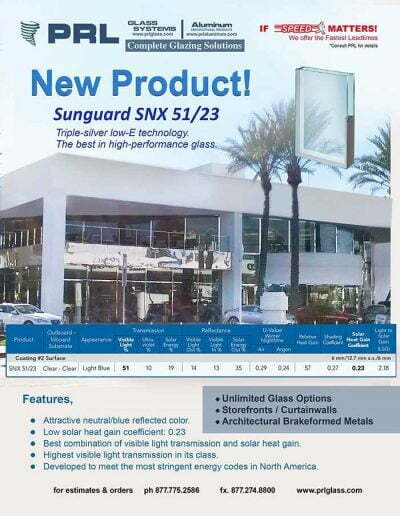 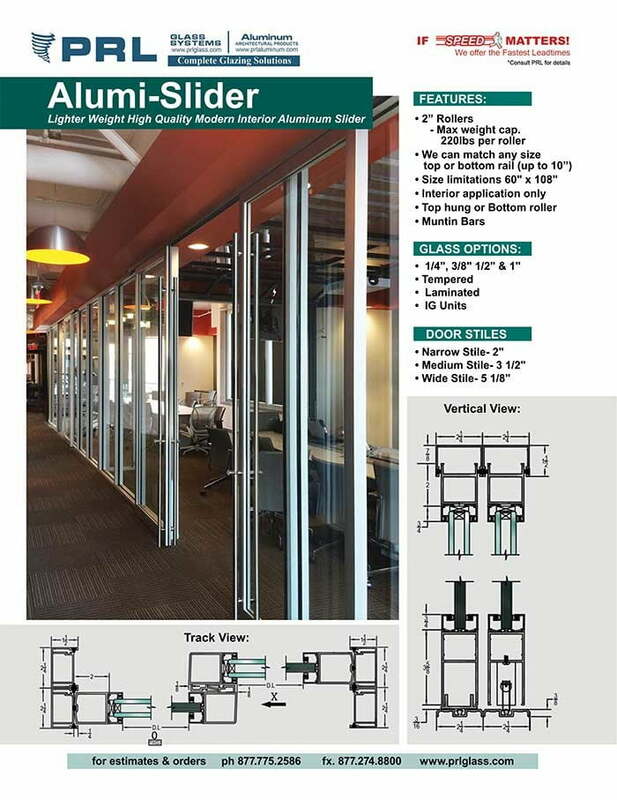 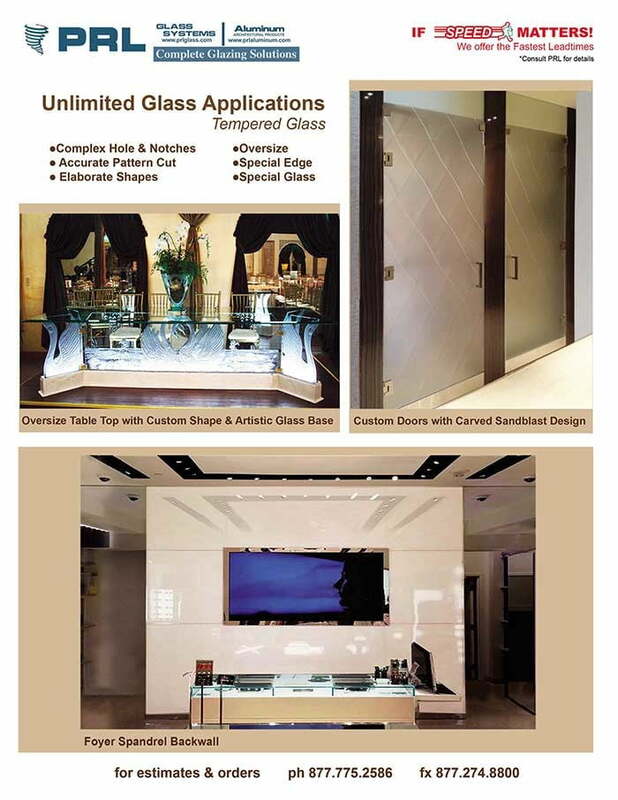 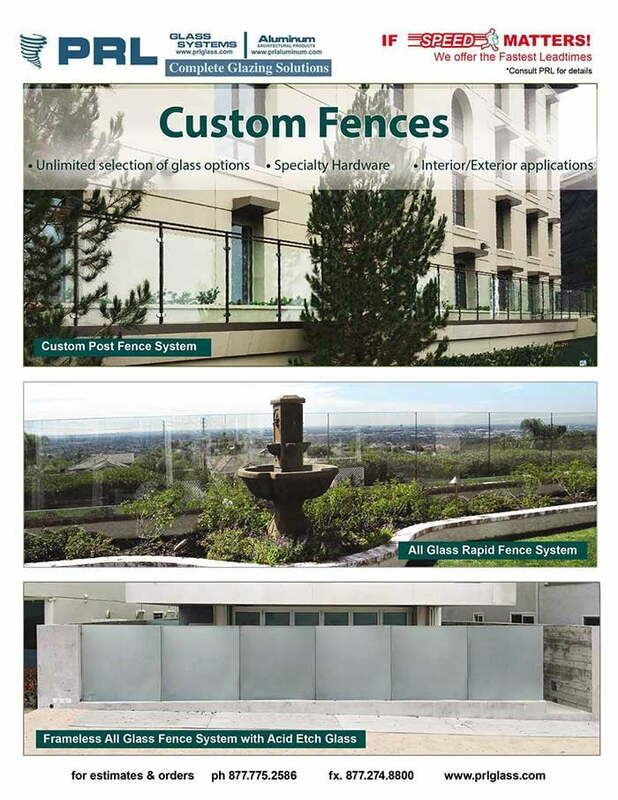 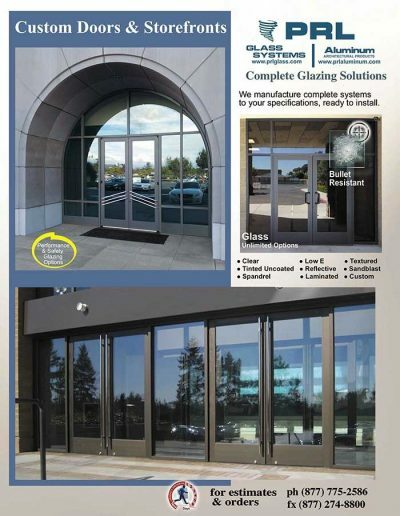 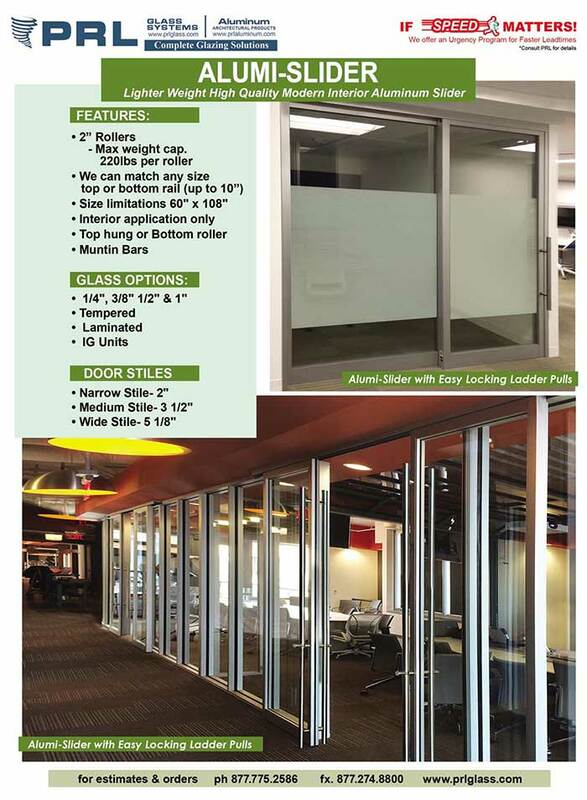 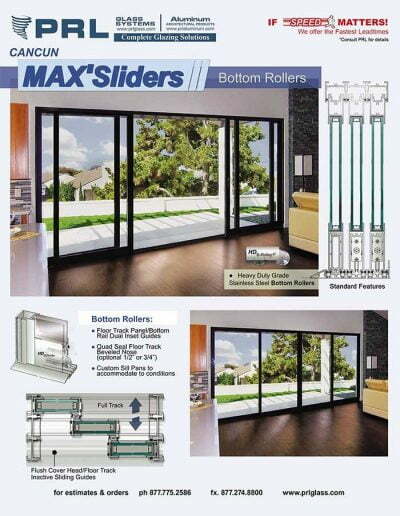 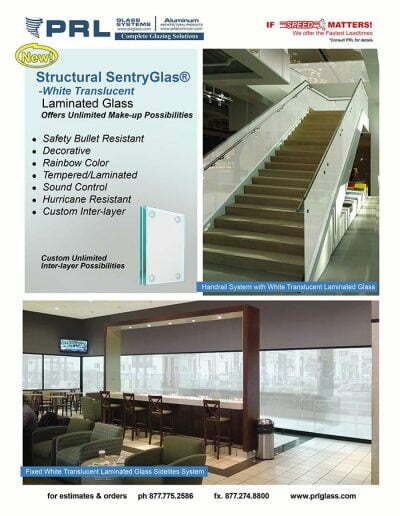 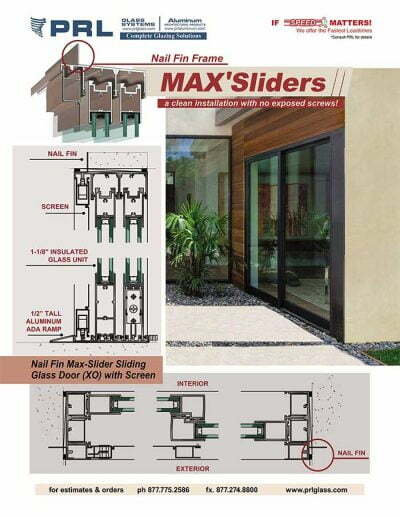 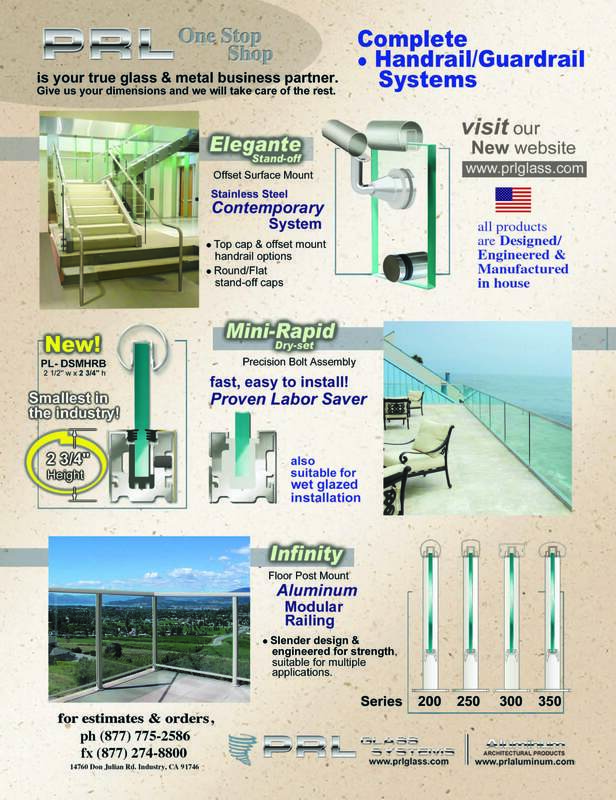 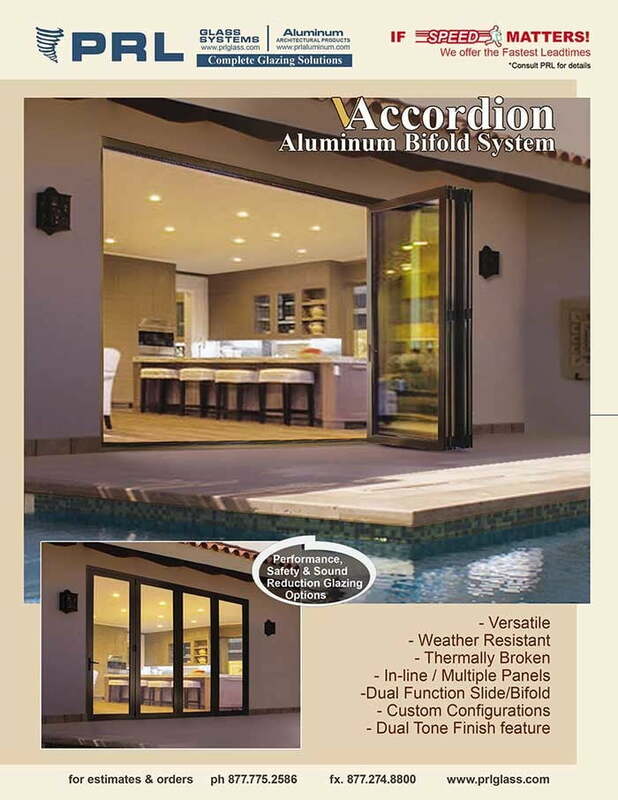 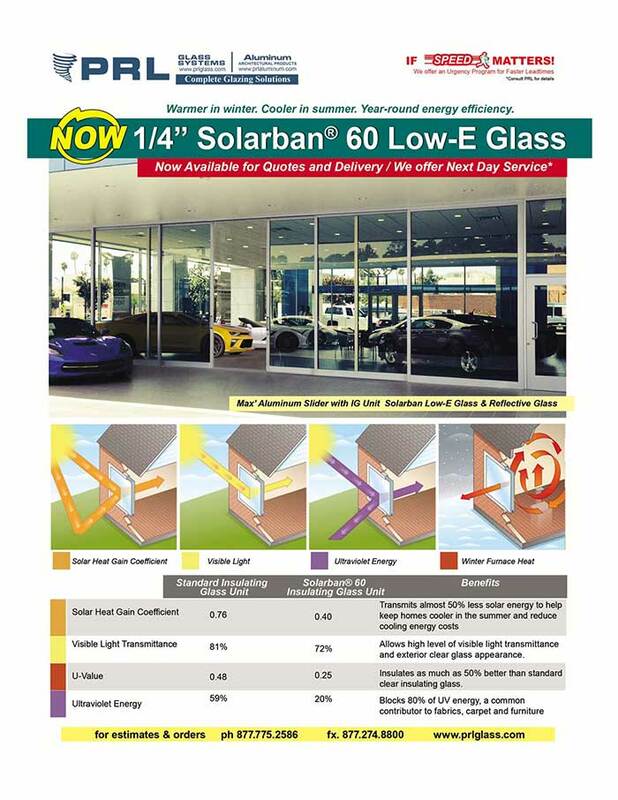 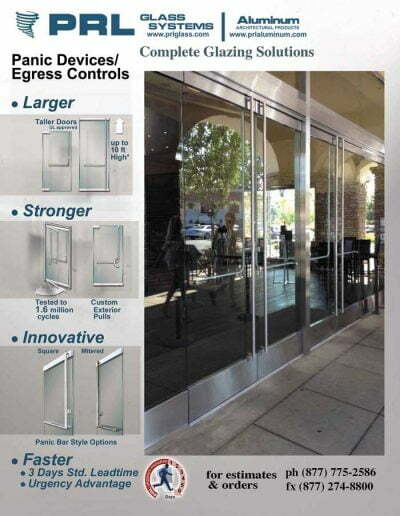 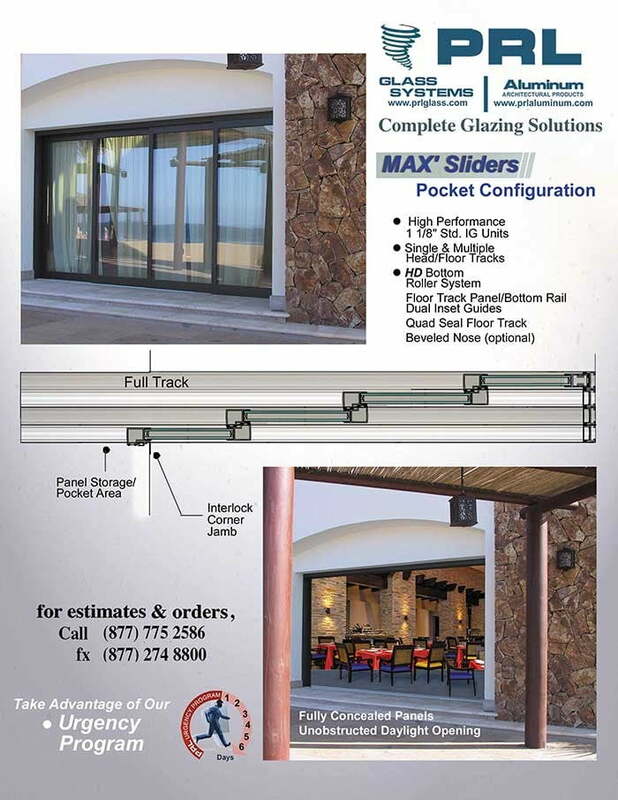 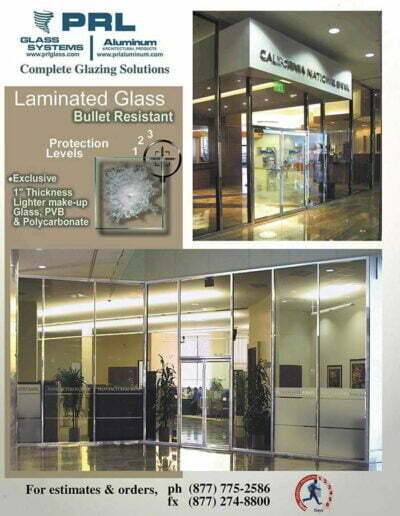 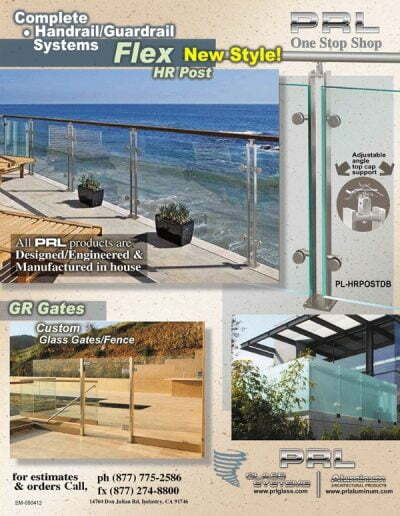 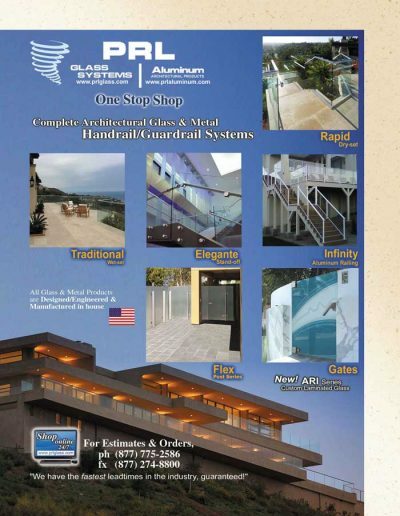 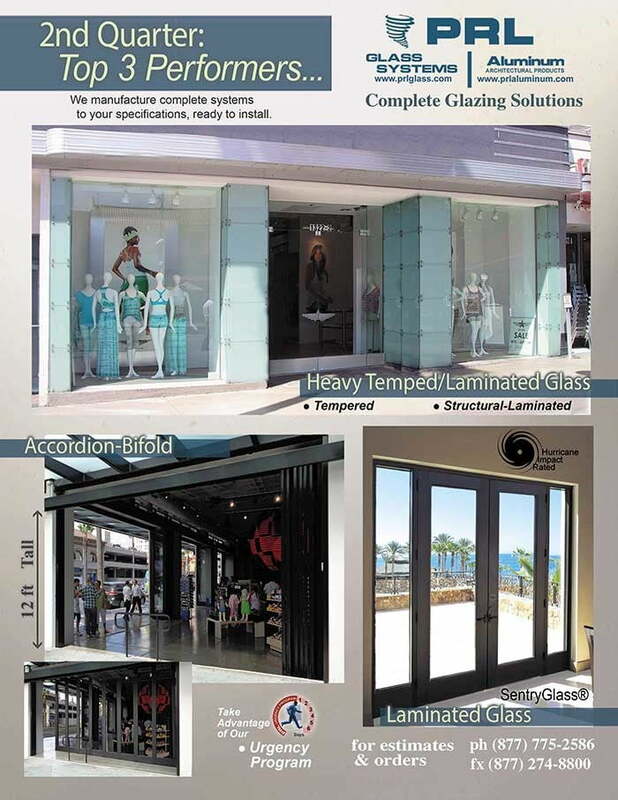 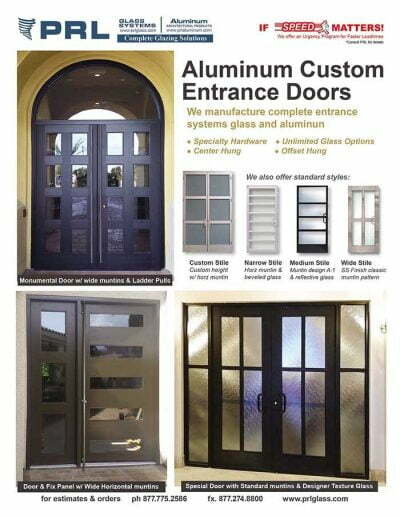 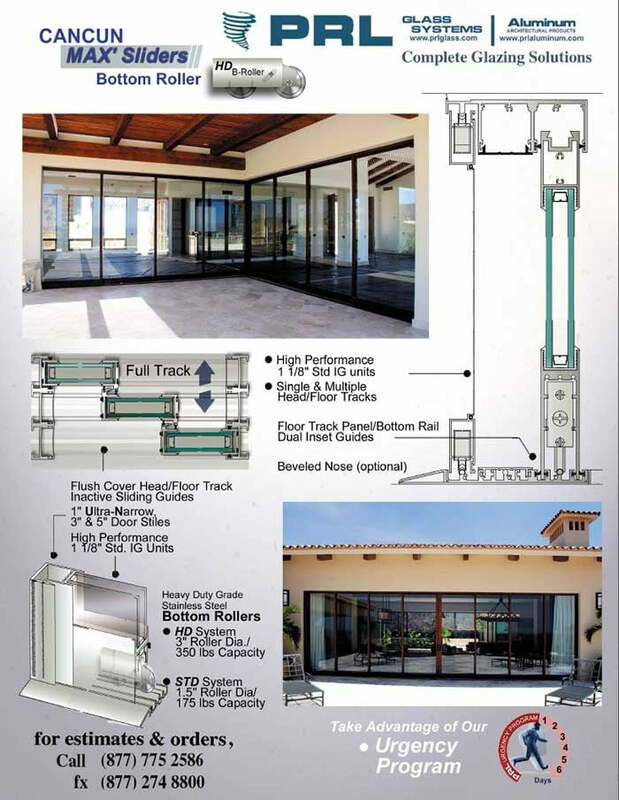 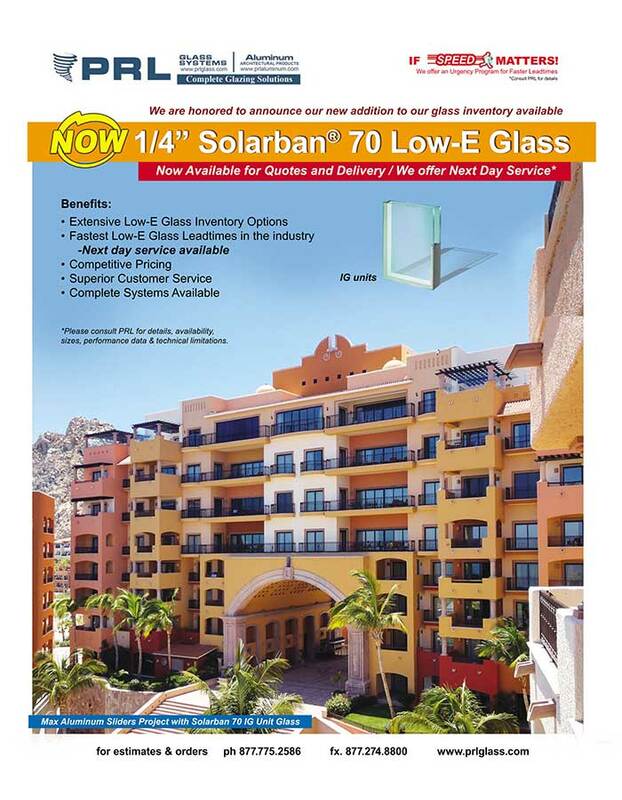 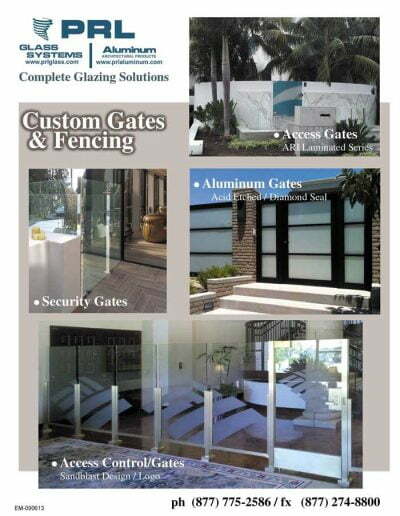 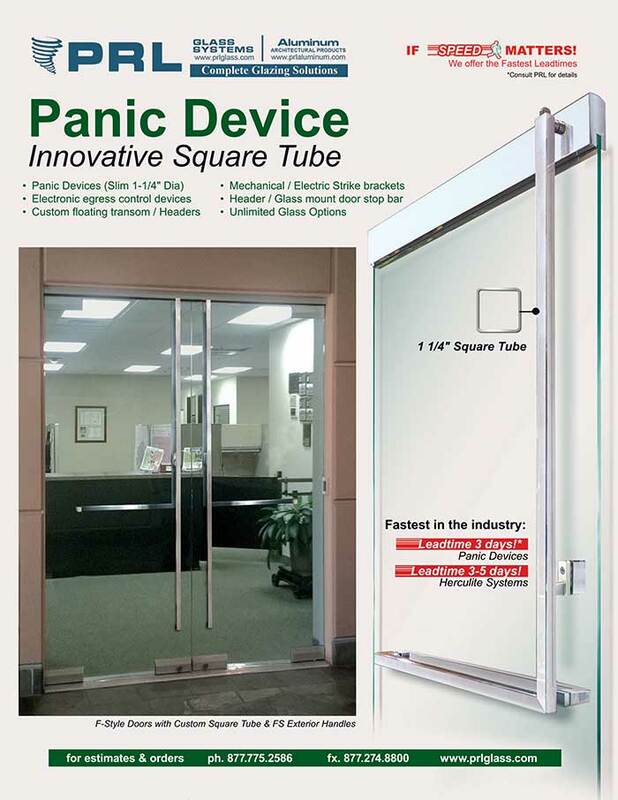 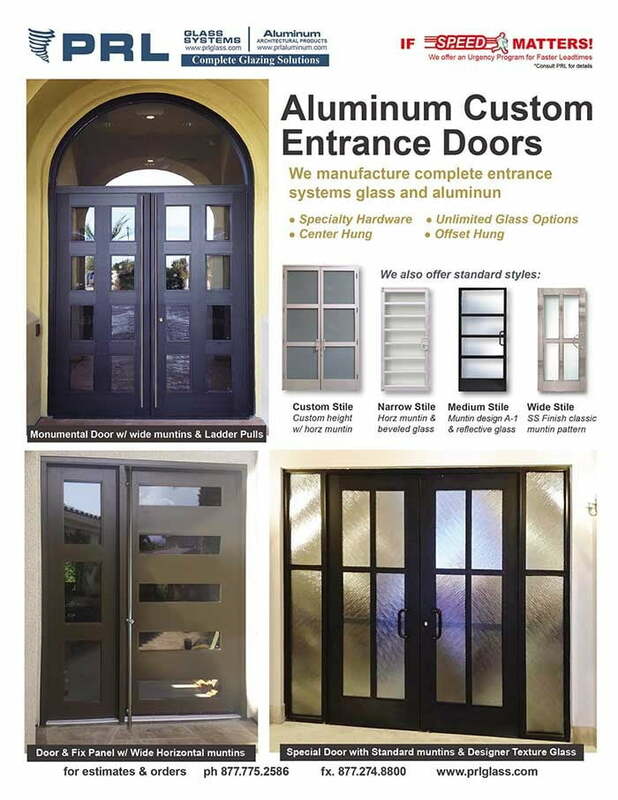 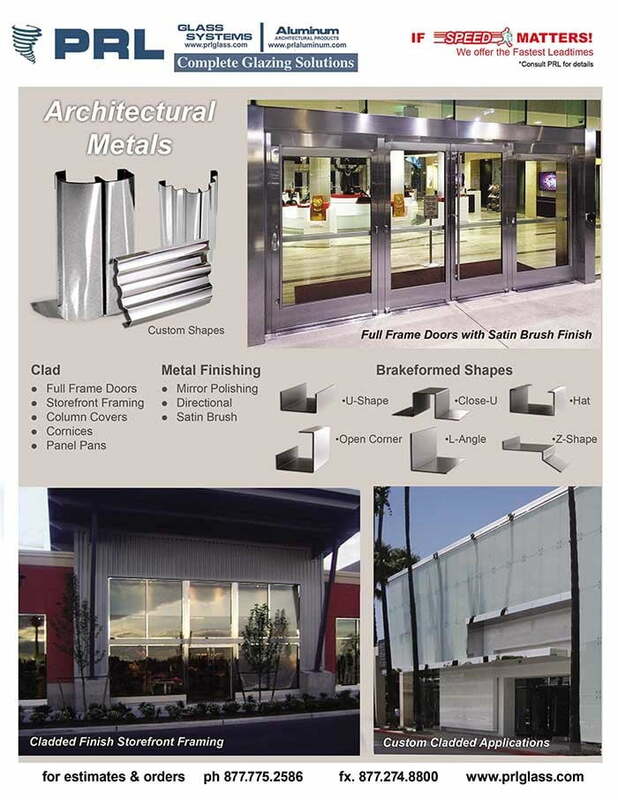 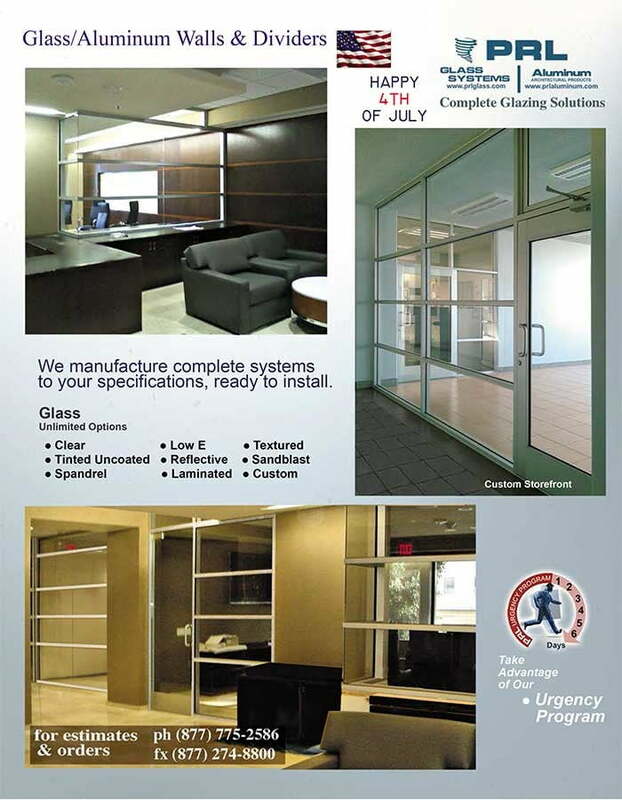 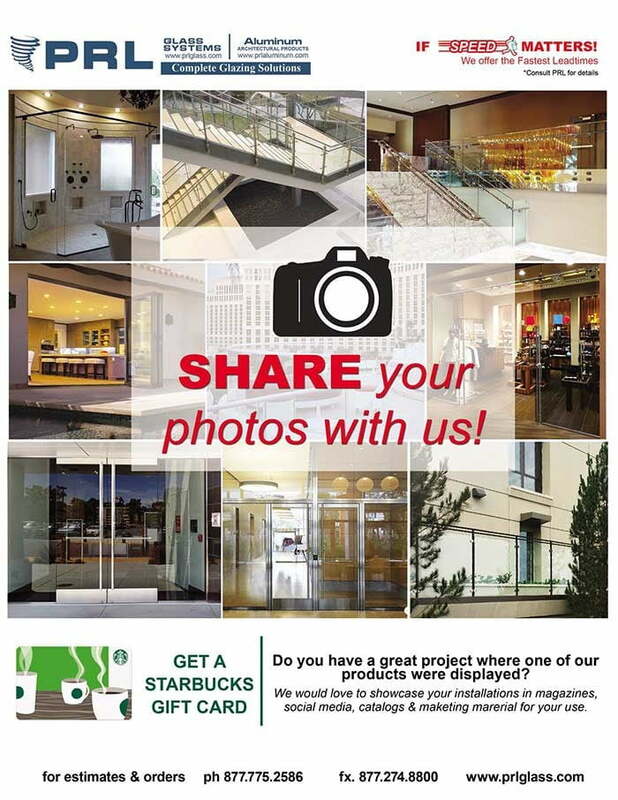 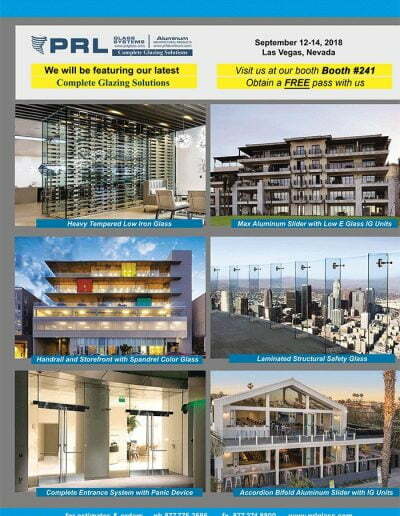 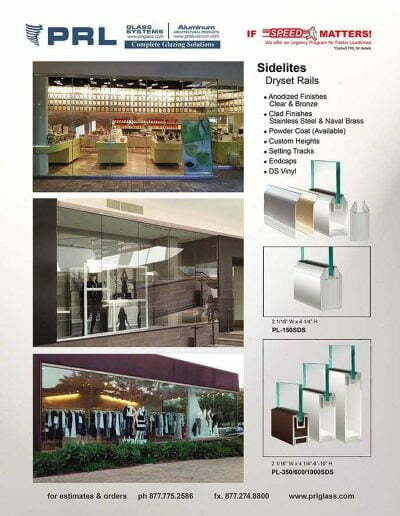 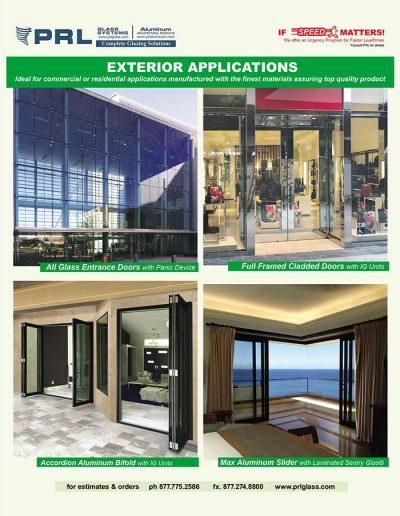 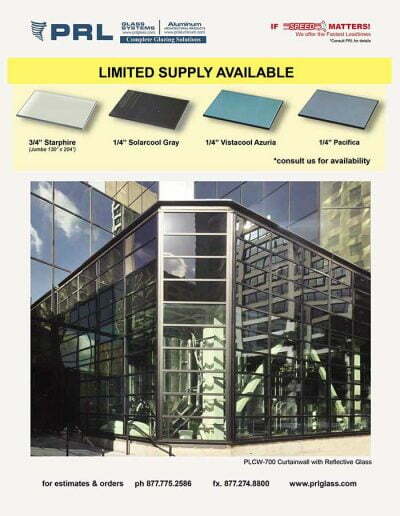 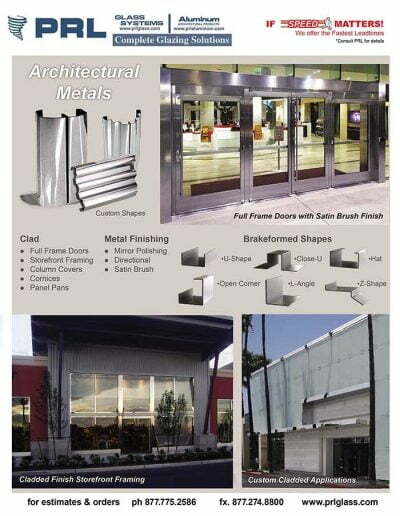 Our Cabo and Cancun series commercial grade aluminum framed sliding doors offer solutions for exterior applications. 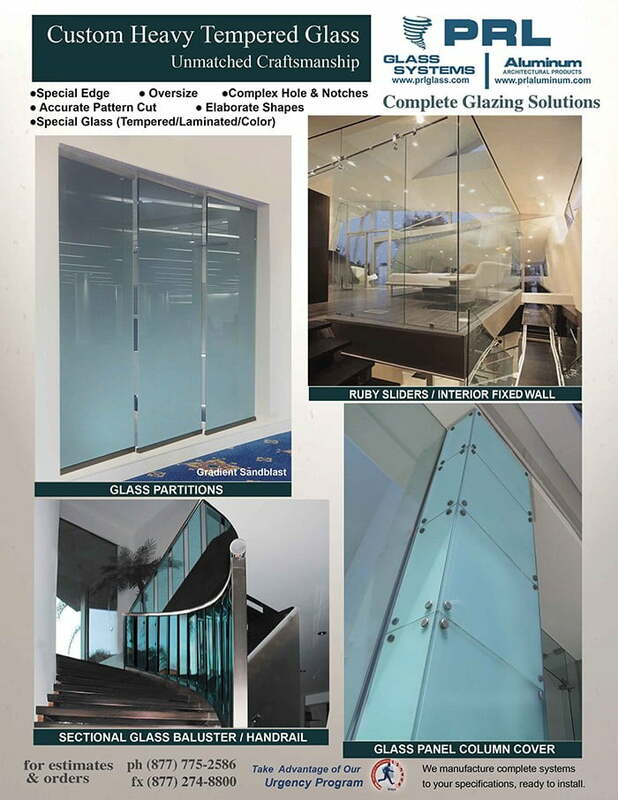 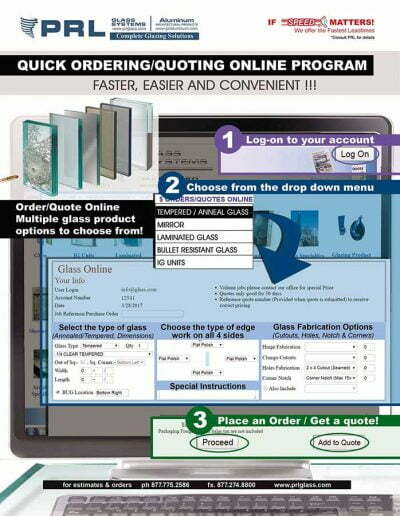 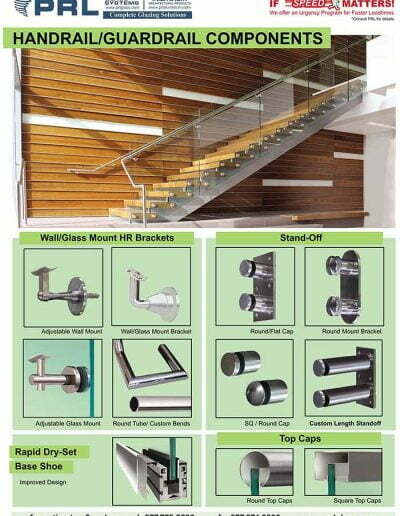 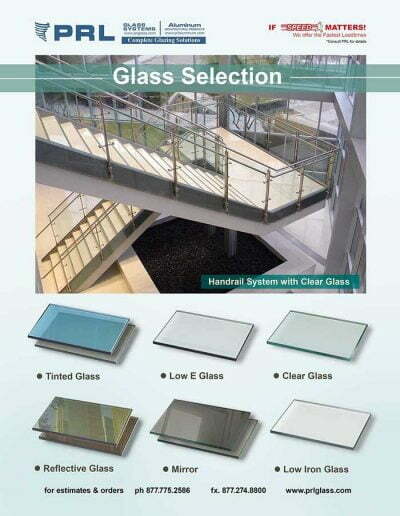 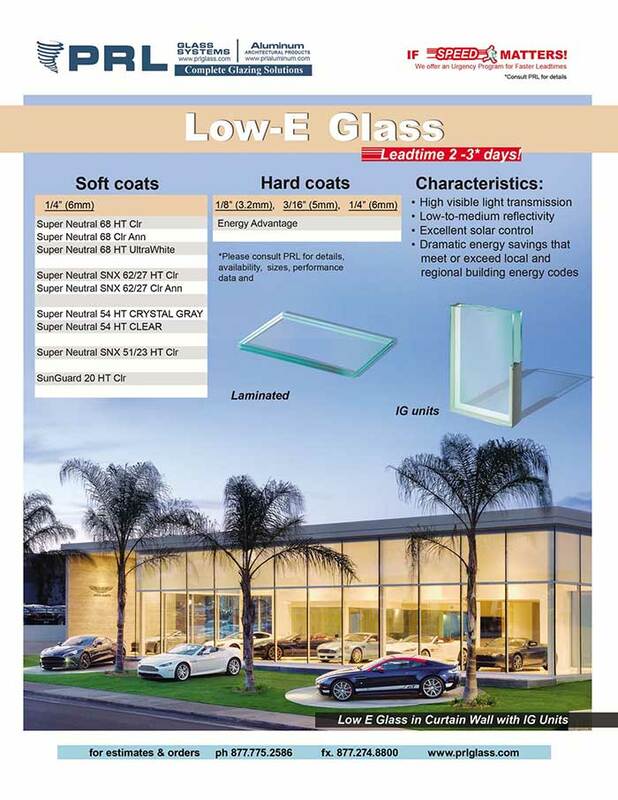 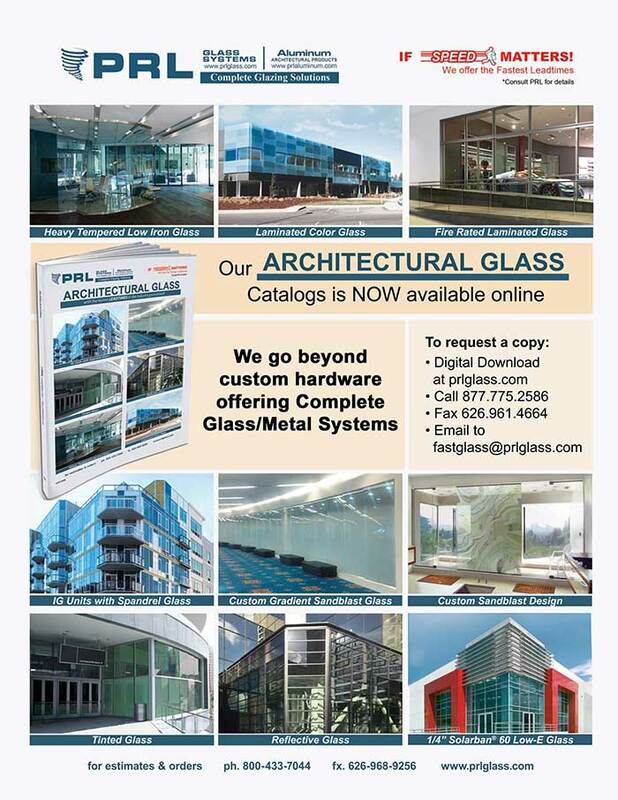 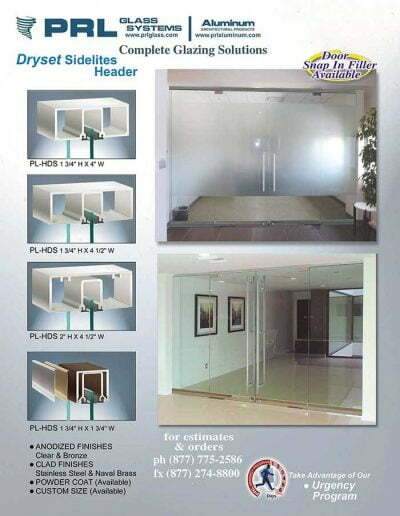 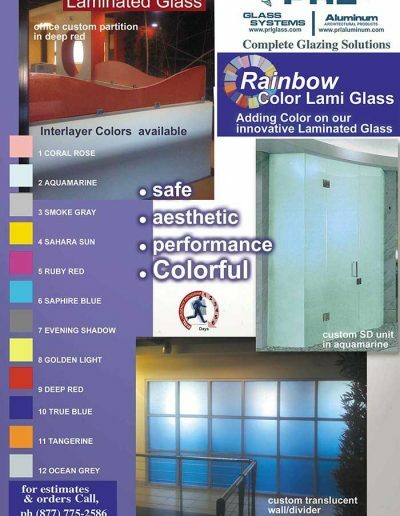 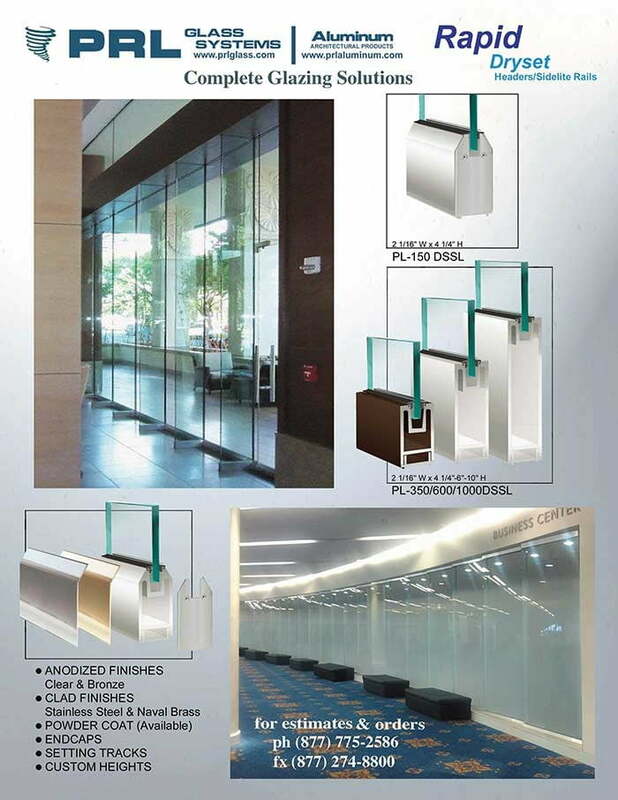 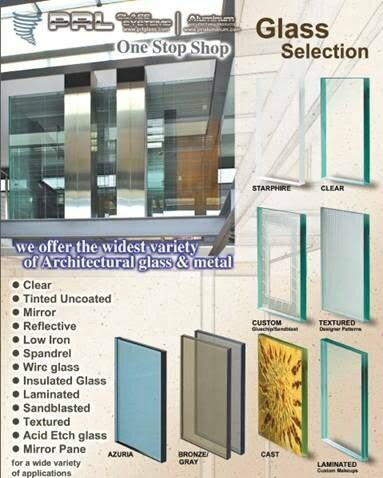 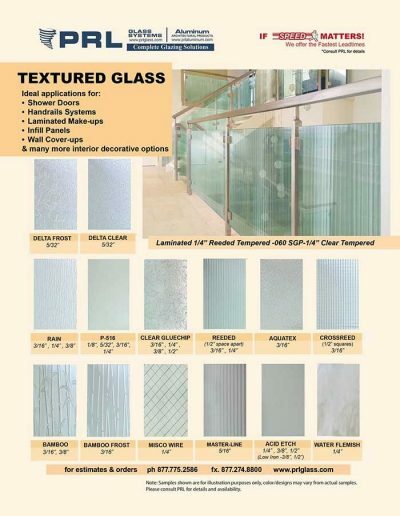 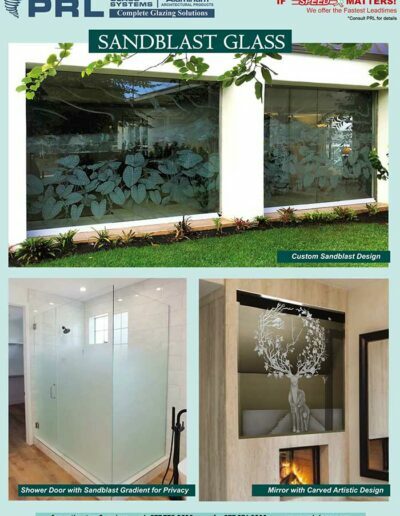 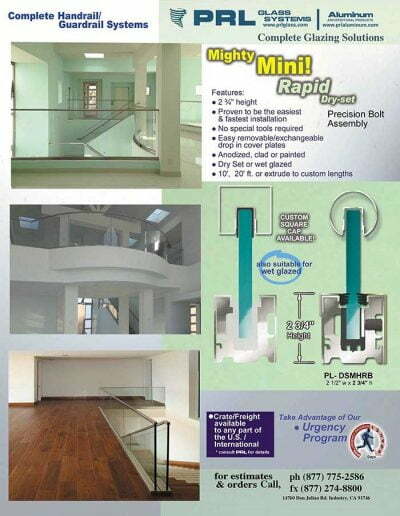 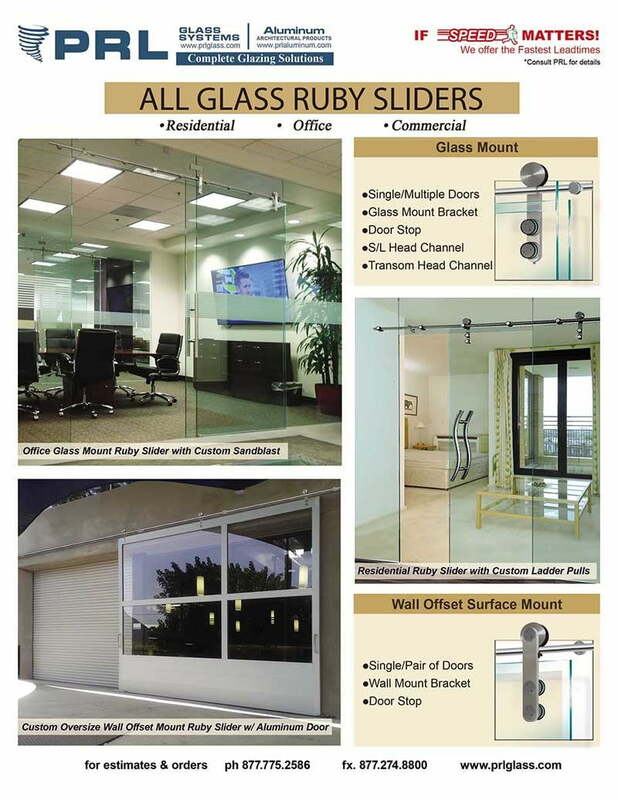 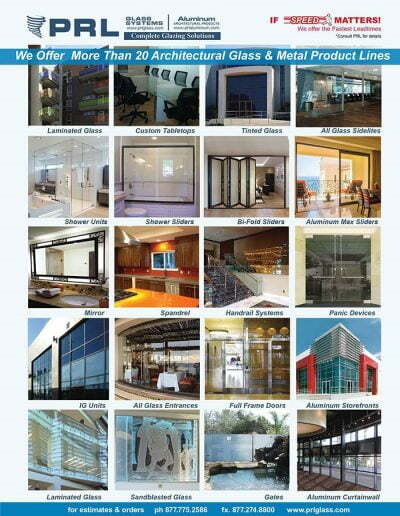 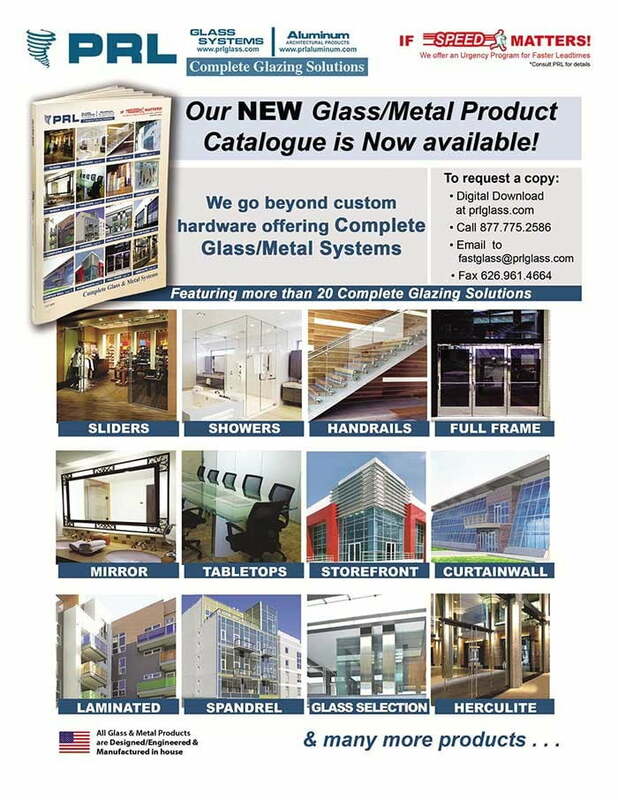 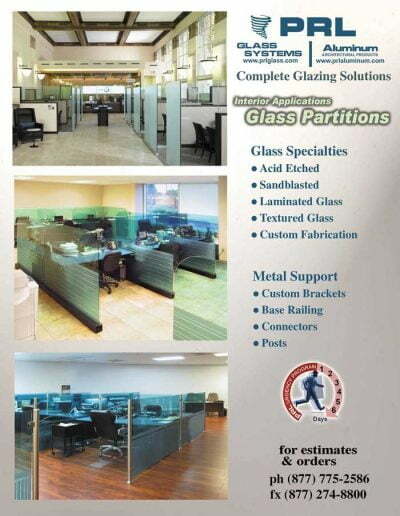 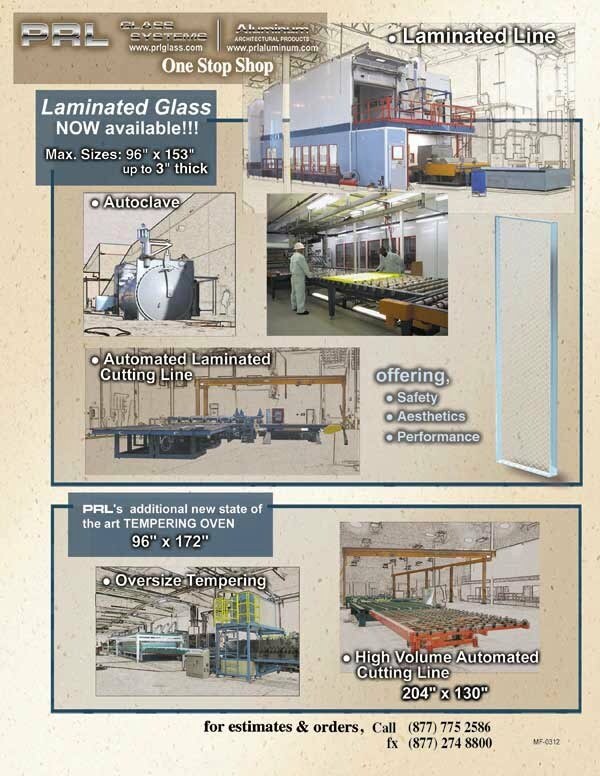 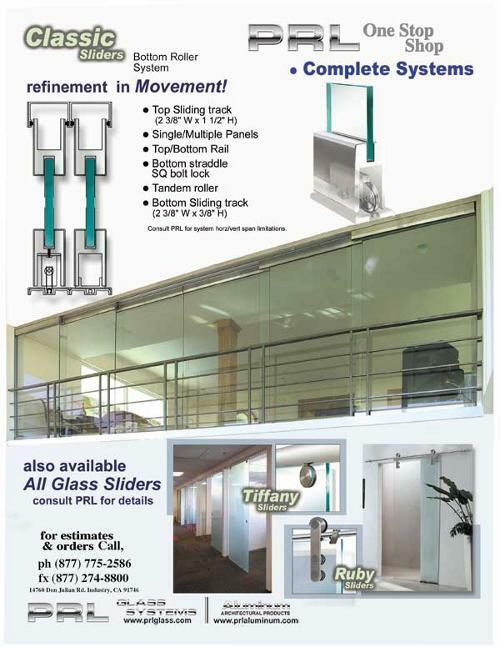 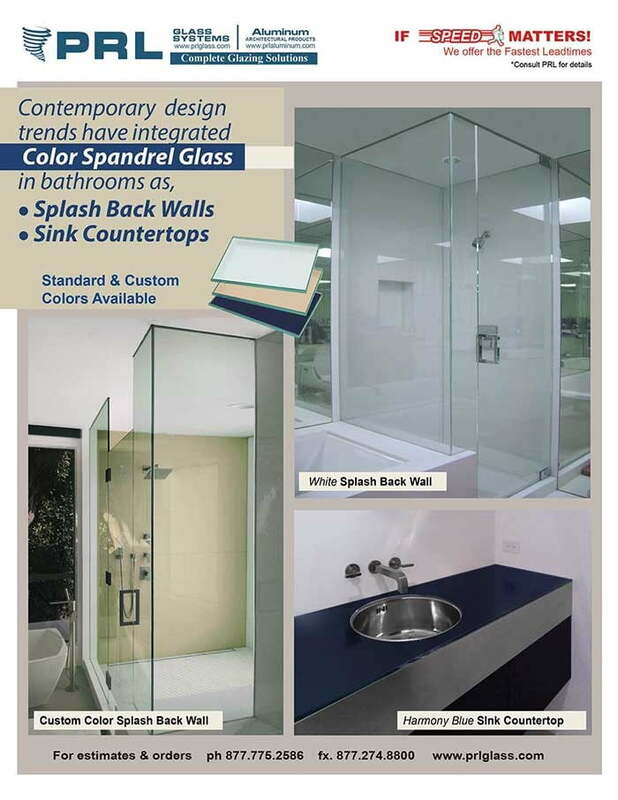 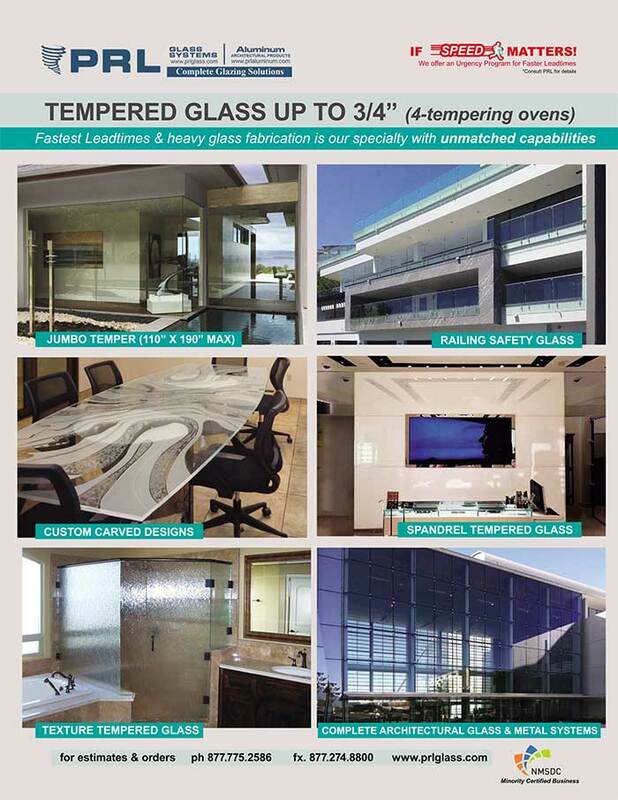 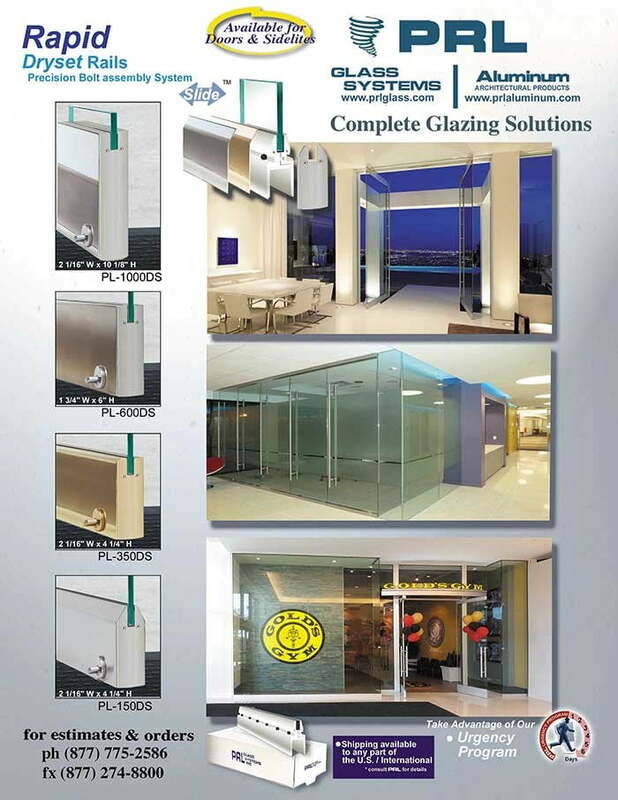 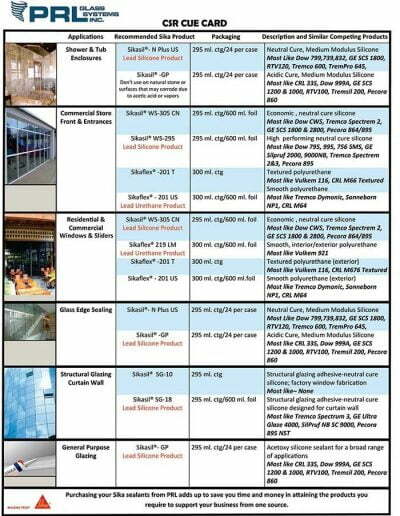 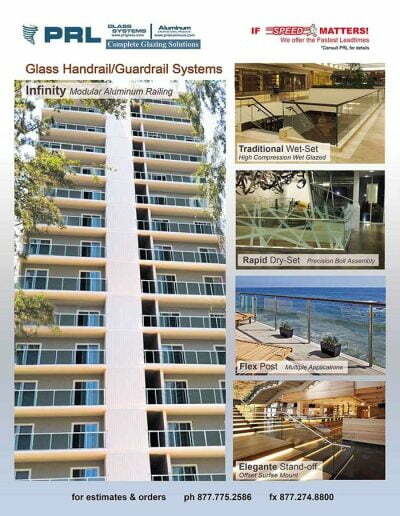 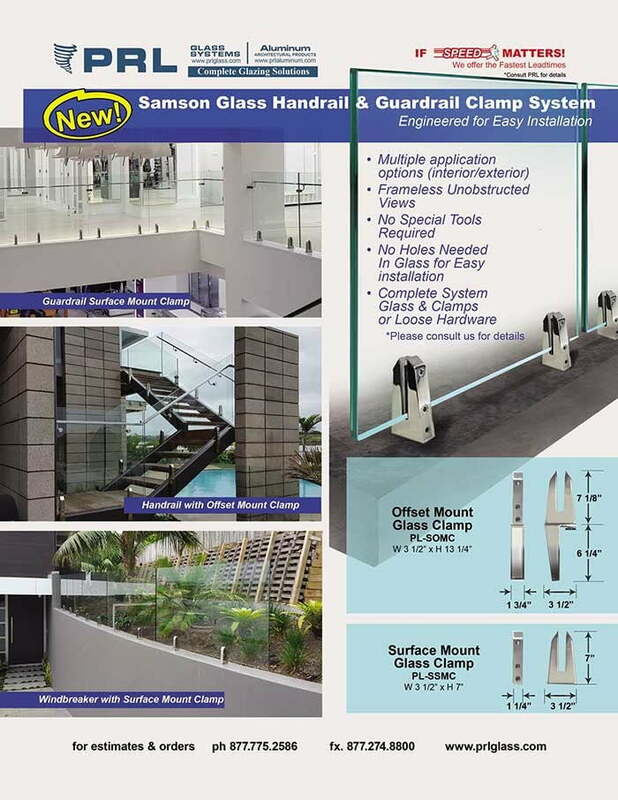 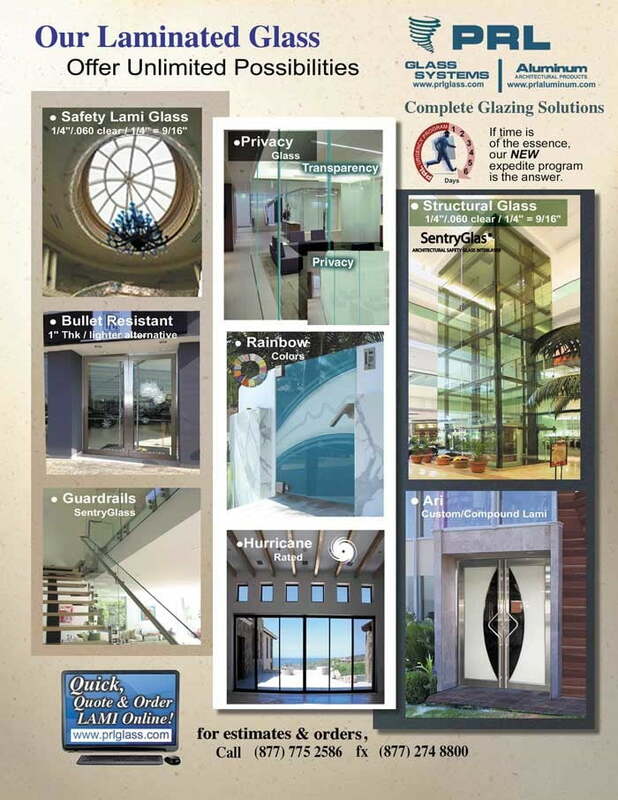 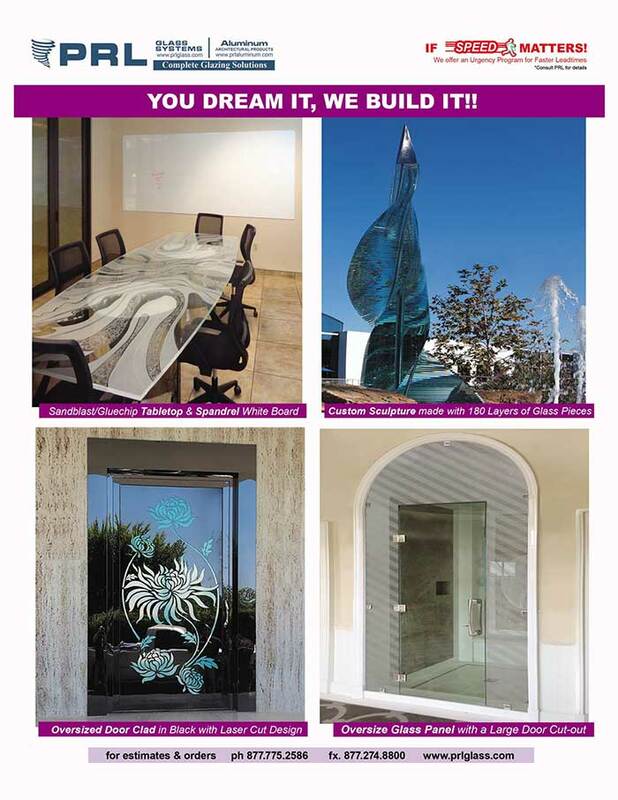 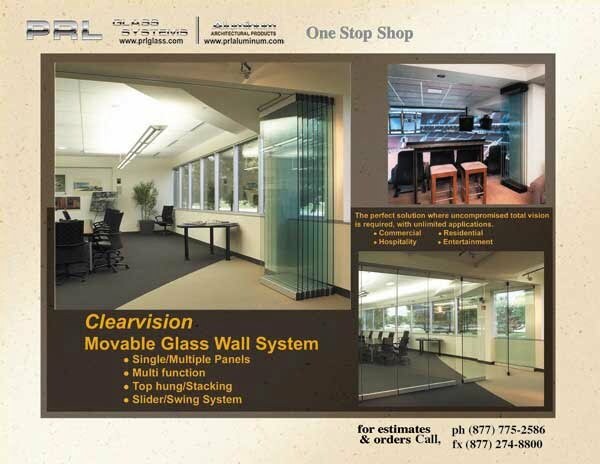 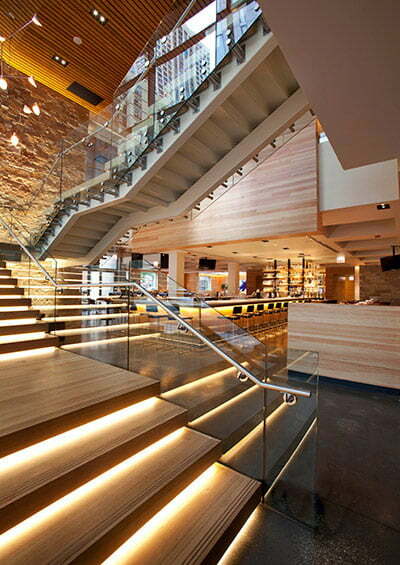 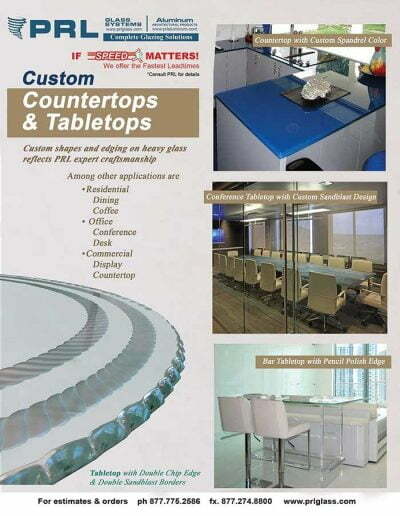 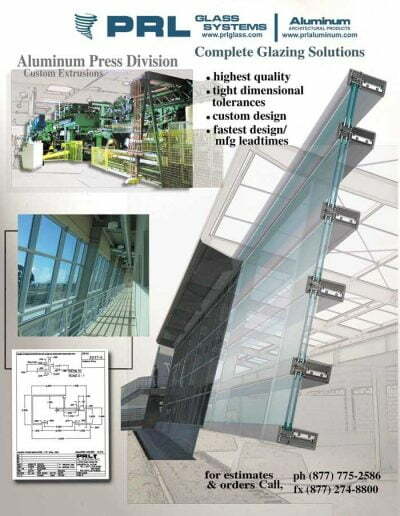 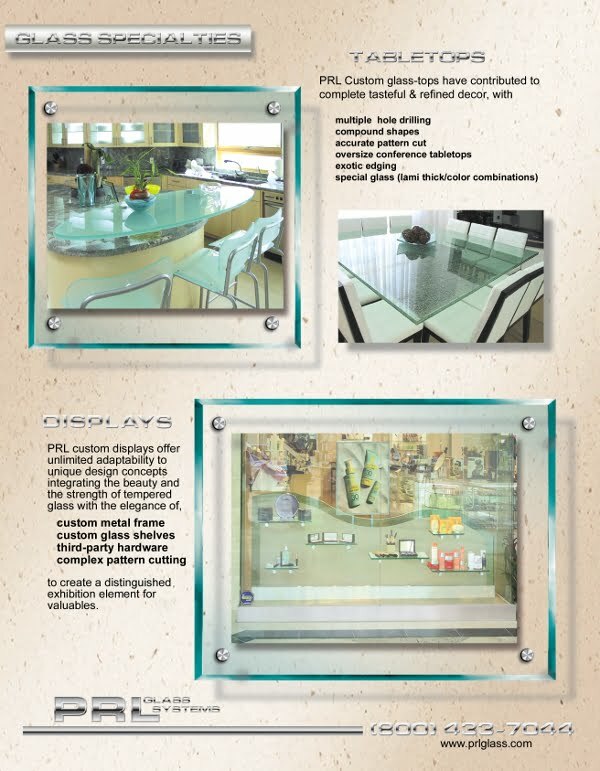 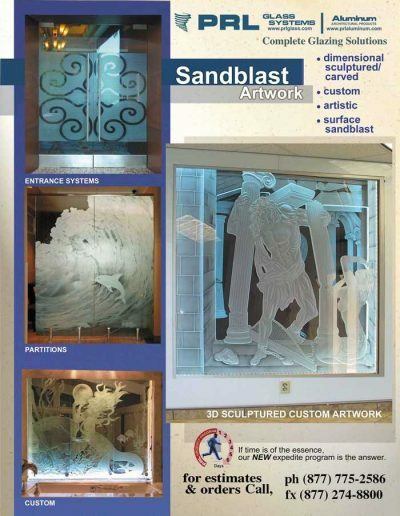 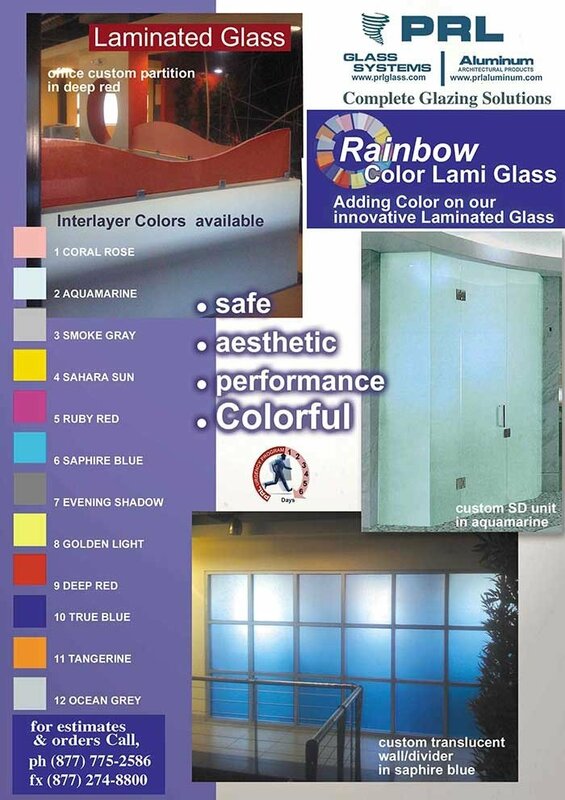 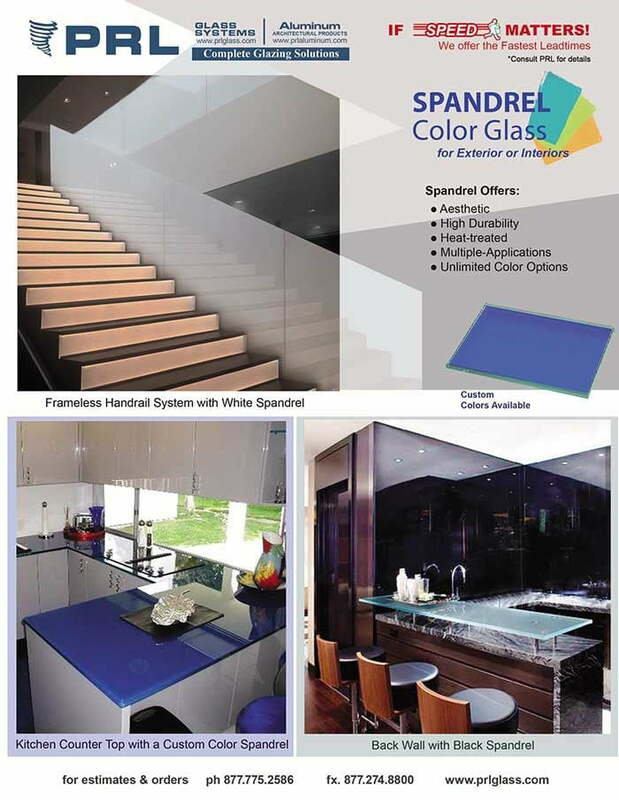 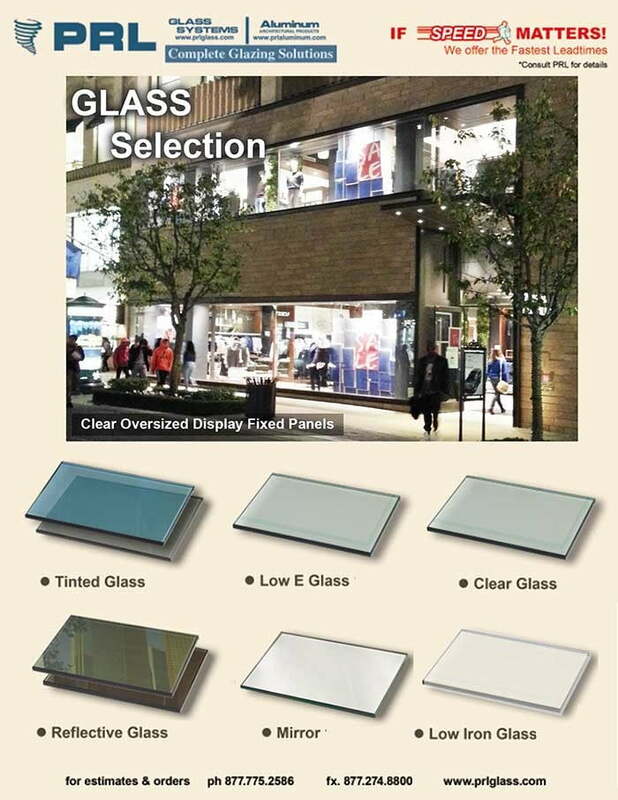 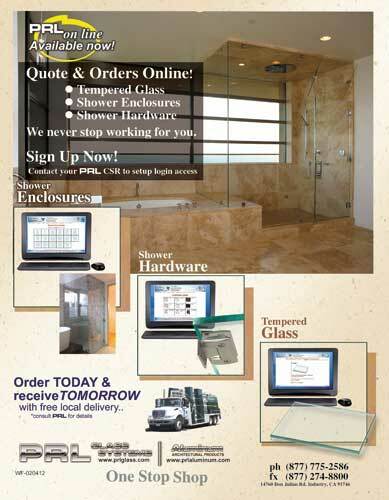 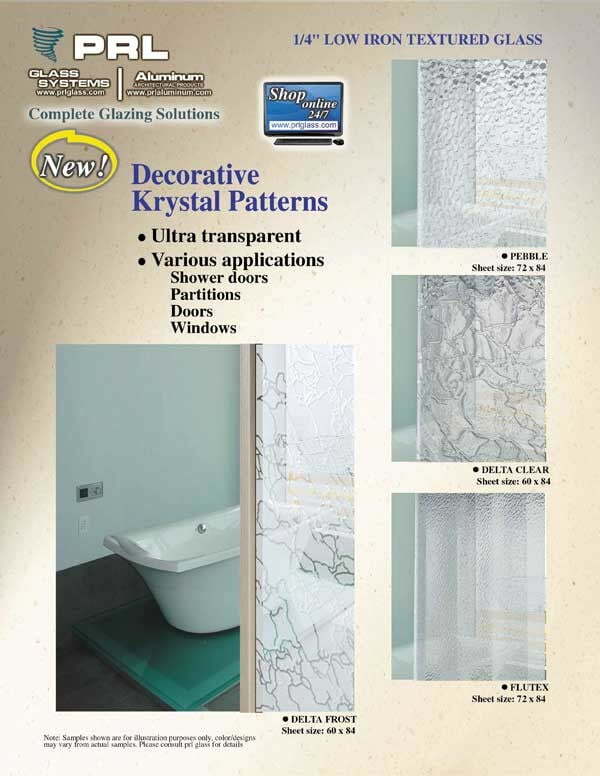 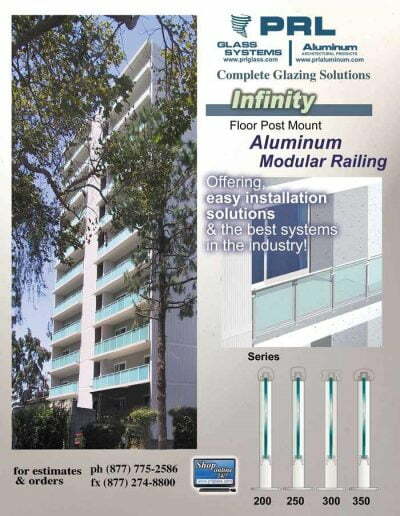 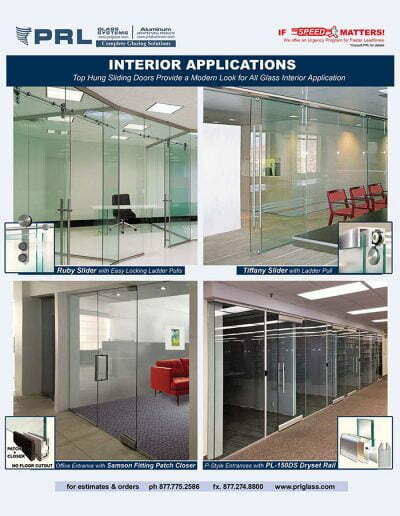 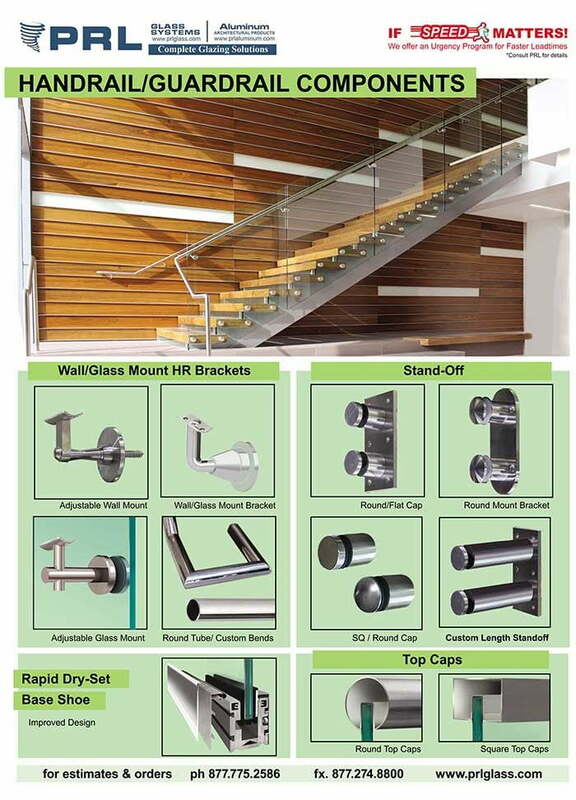 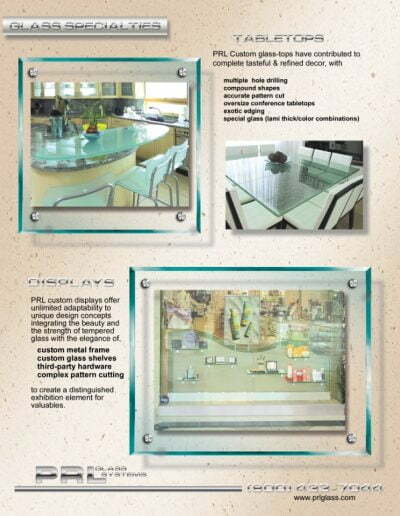 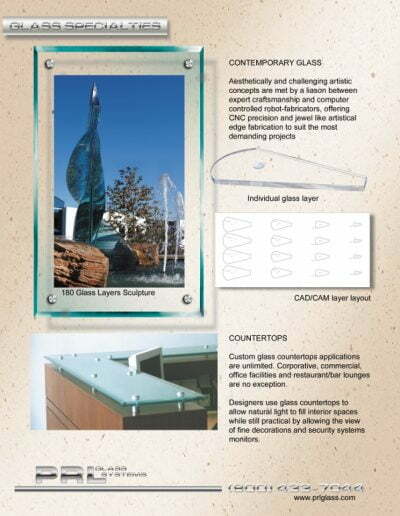 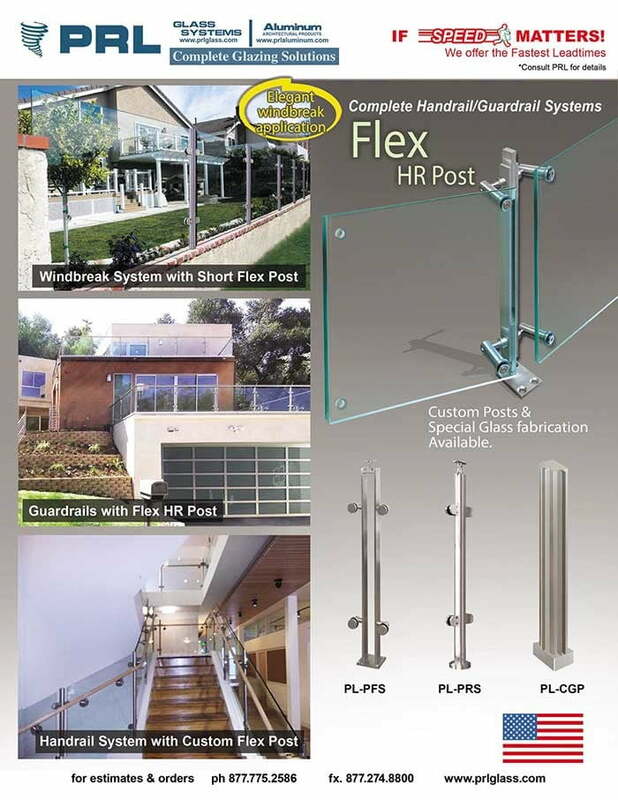 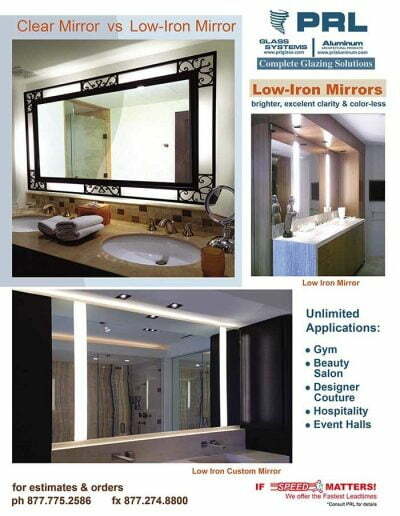 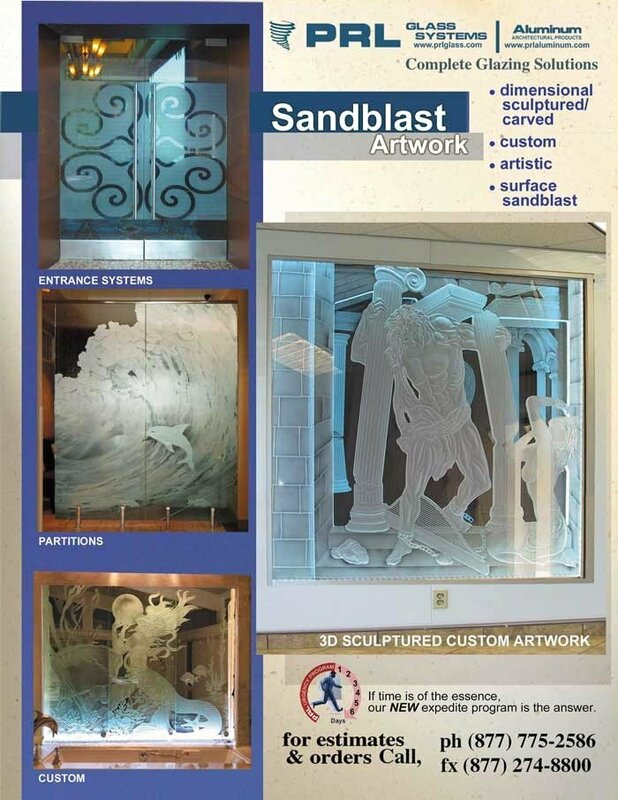 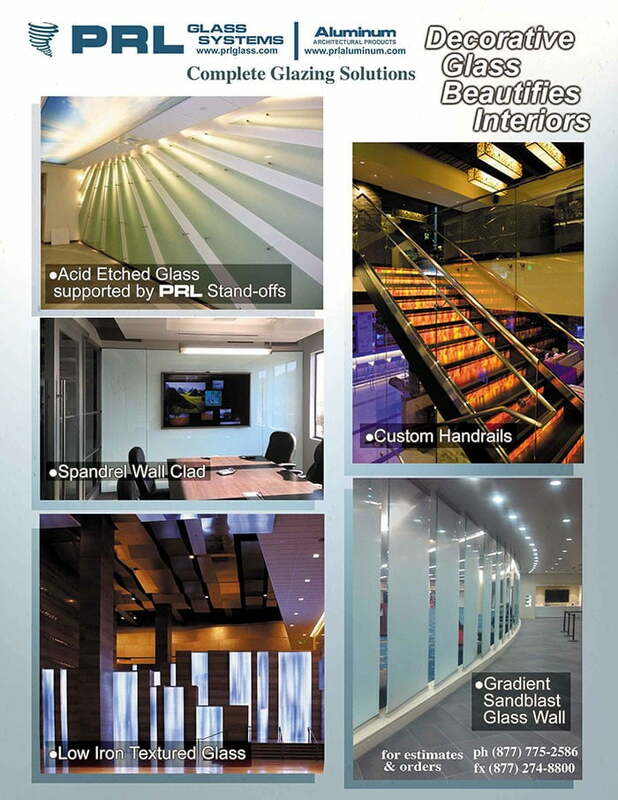 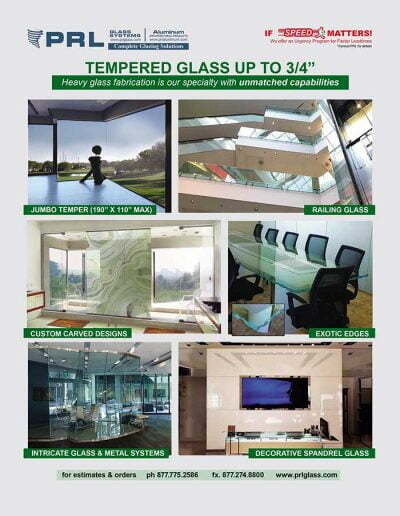 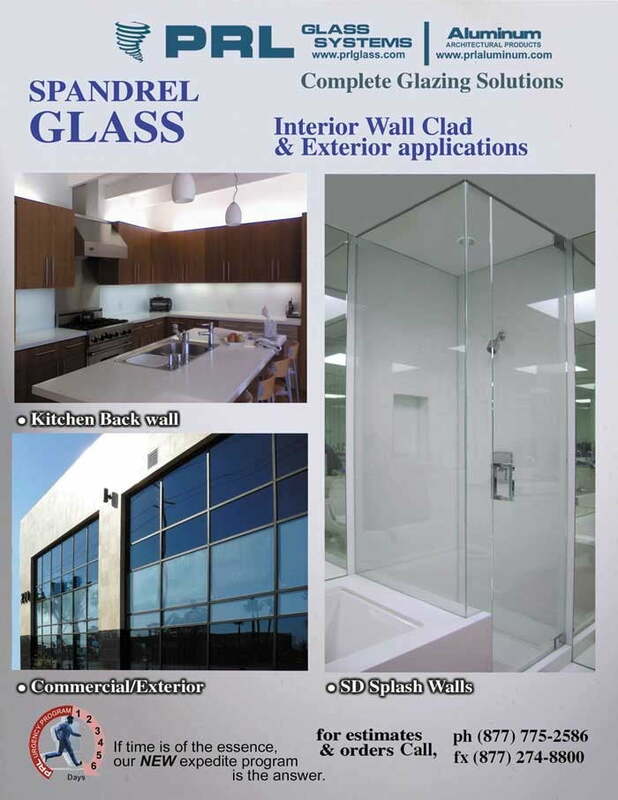 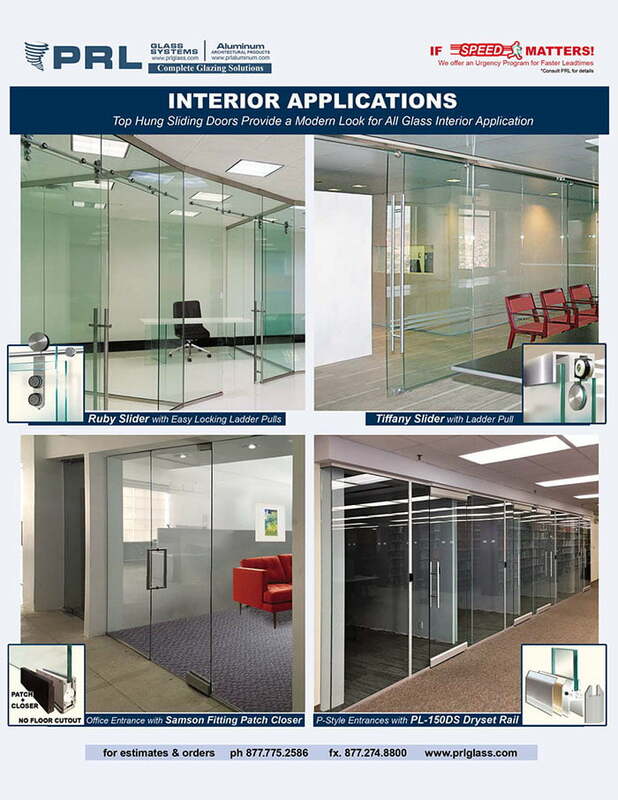 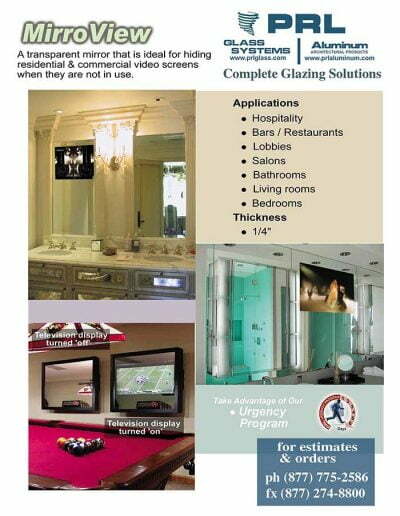 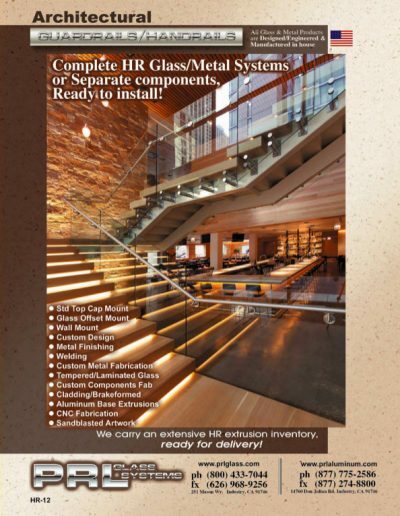 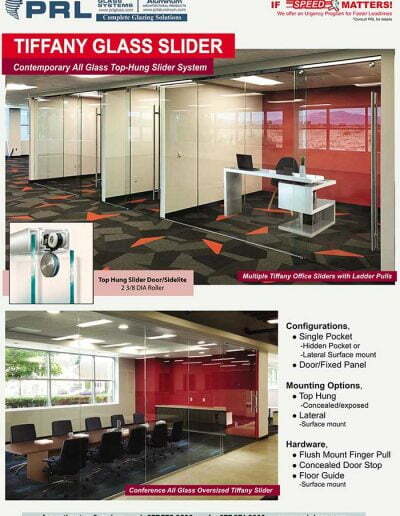 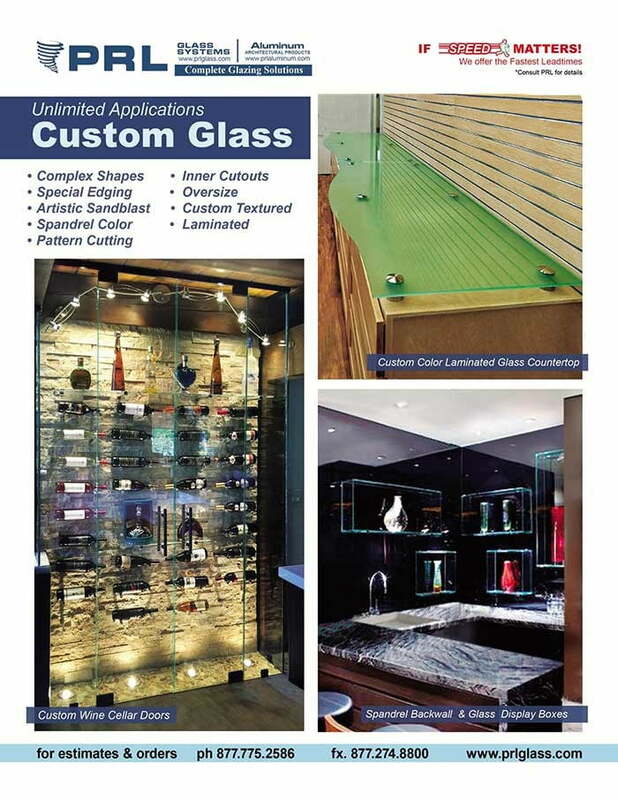 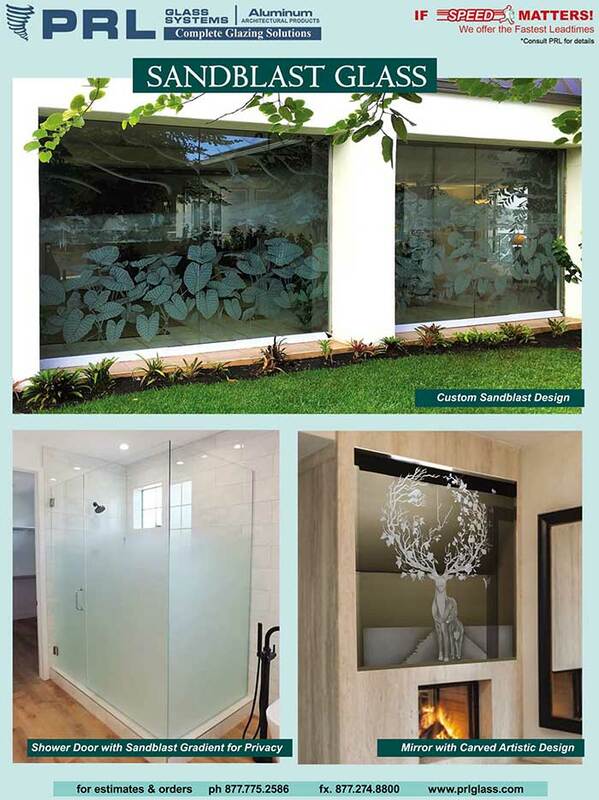 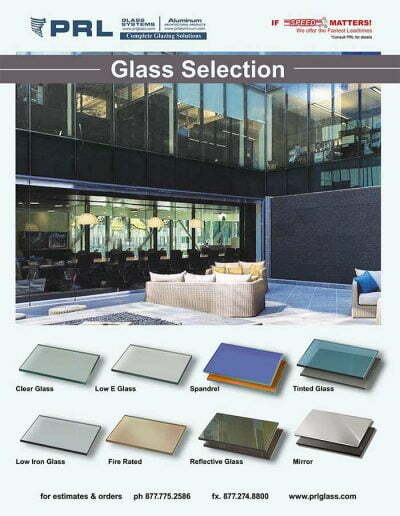 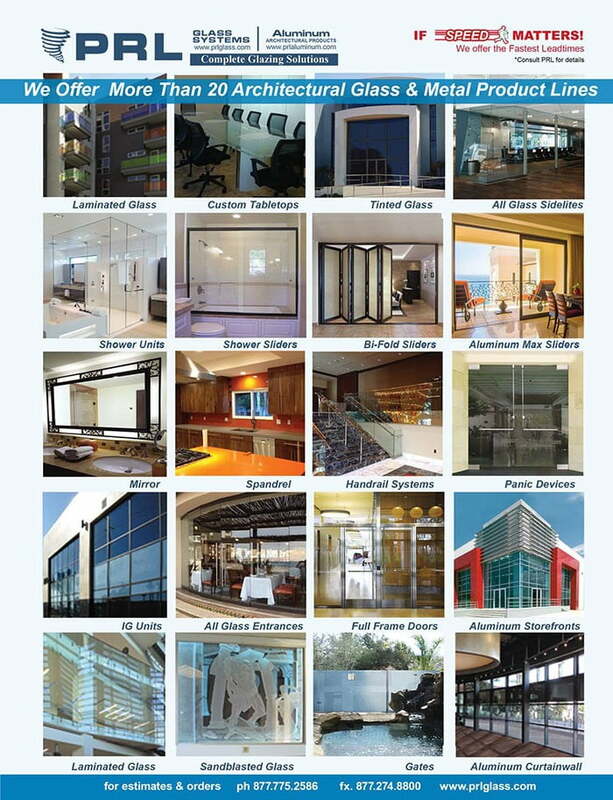 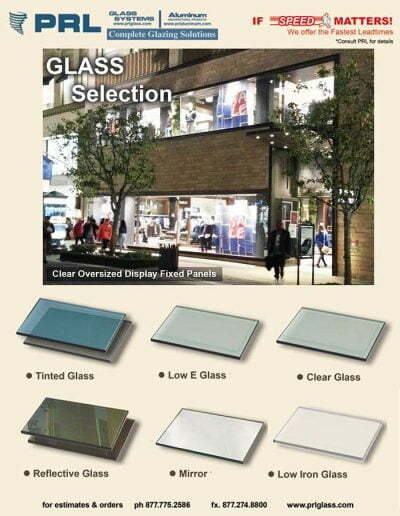 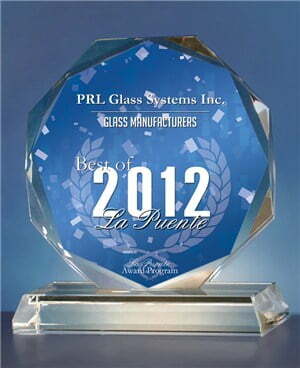 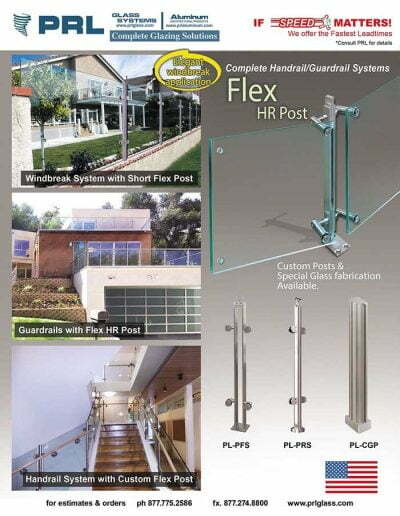 We also offer moveable glass wall systems for interior entries and room partitions. 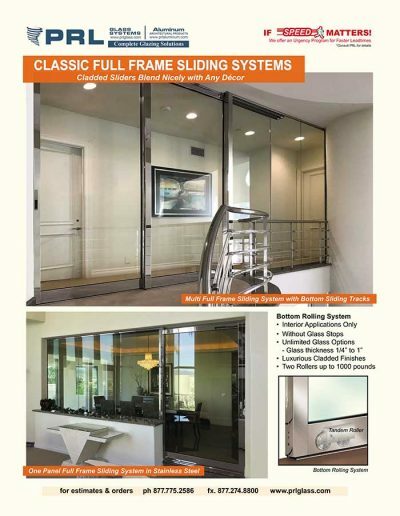 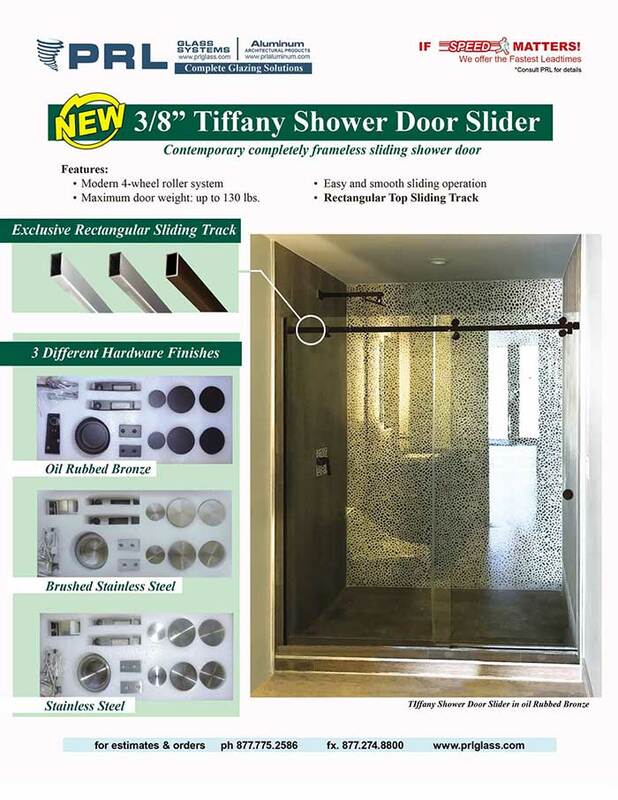 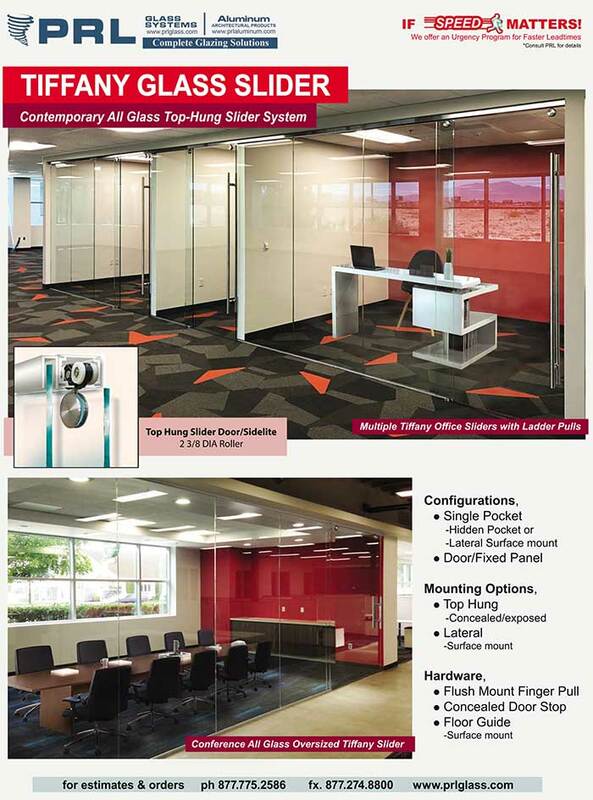 Our classic frameless sliding glass doors bottom rolling system is used for interior applications where an unobstructed view is the goal. 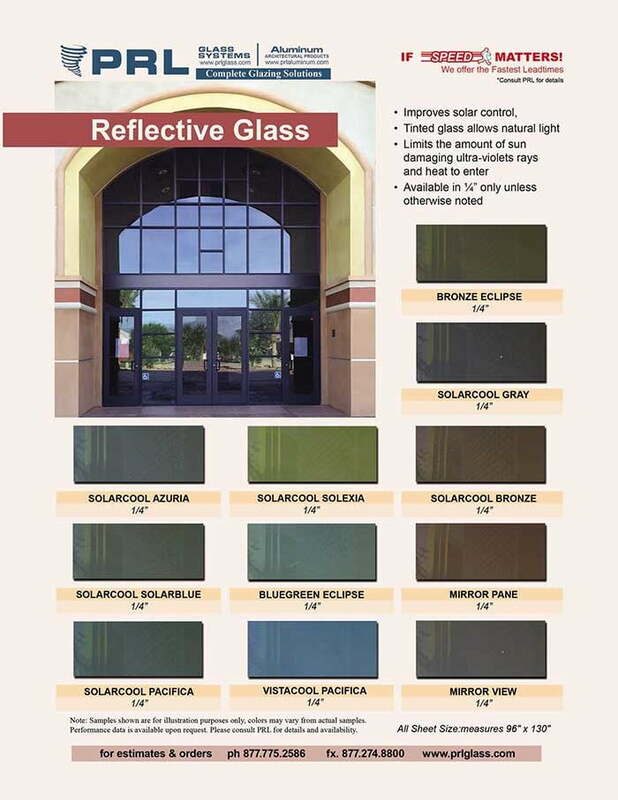 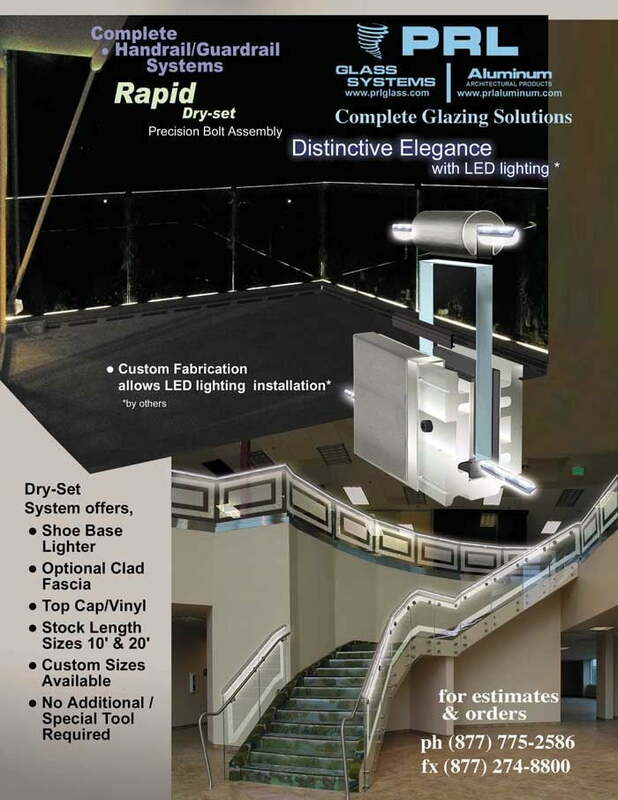 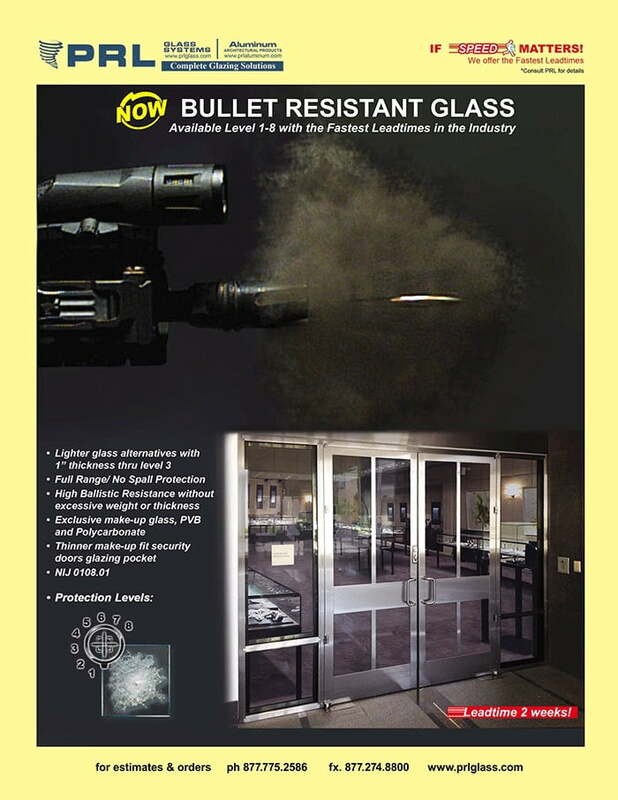 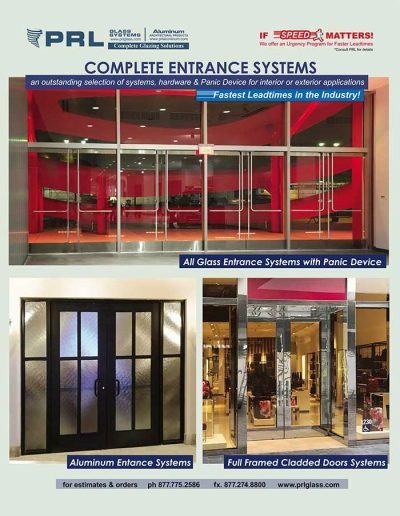 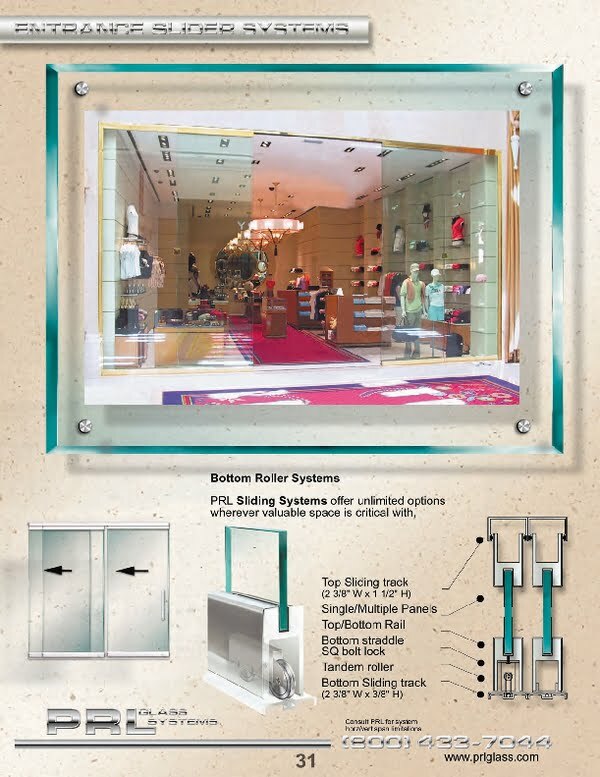 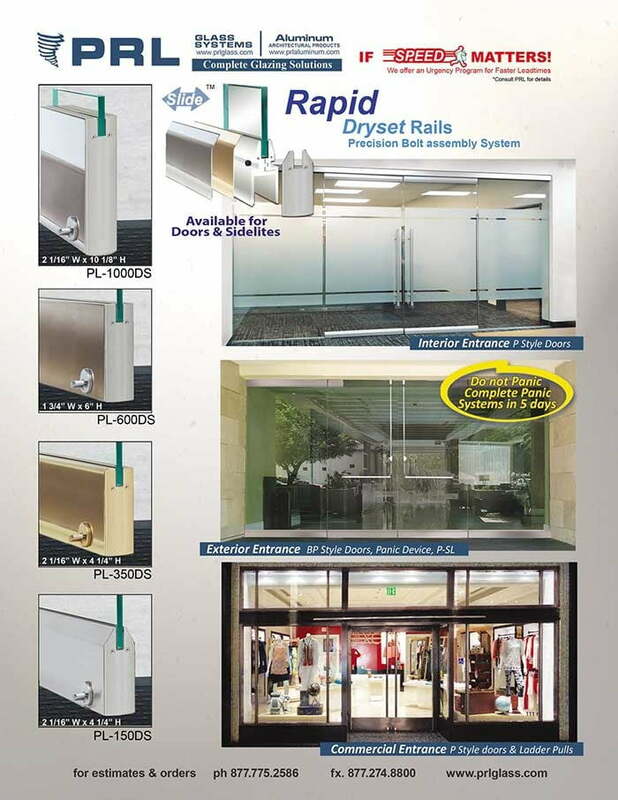 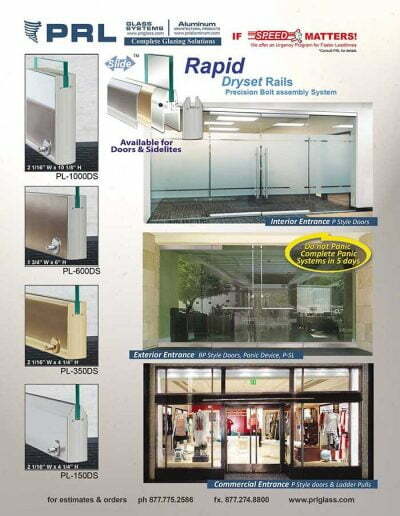 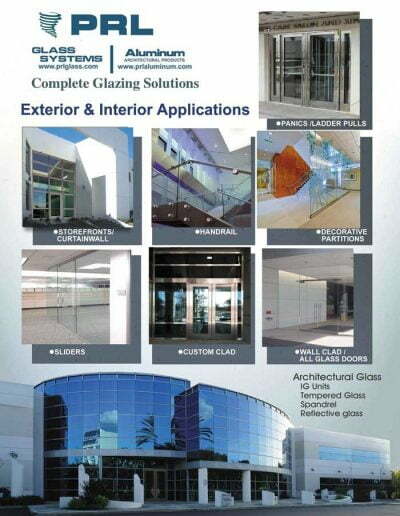 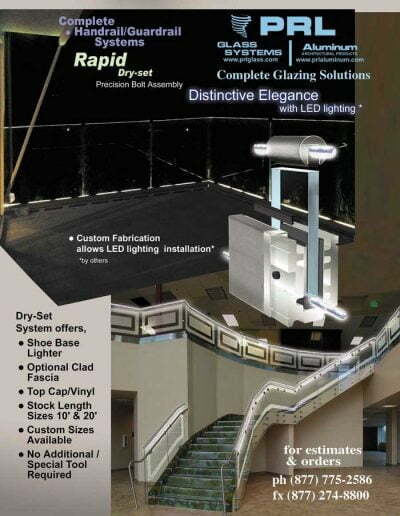 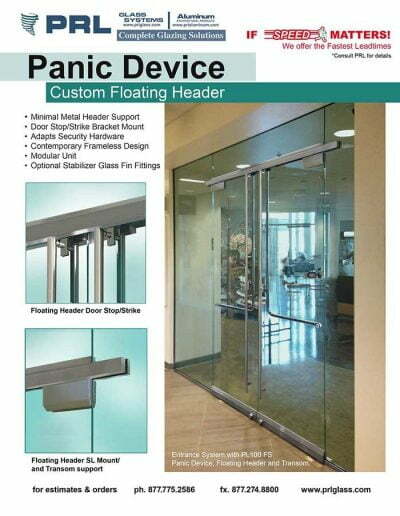 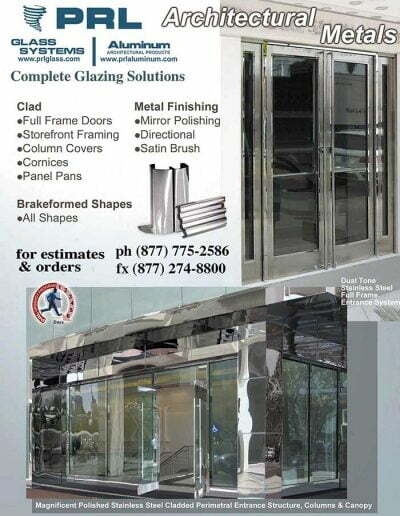 The glazing industry uses these types of doors at mall interior entrances so the merchandise can been seen without the obstruction of metal frames. 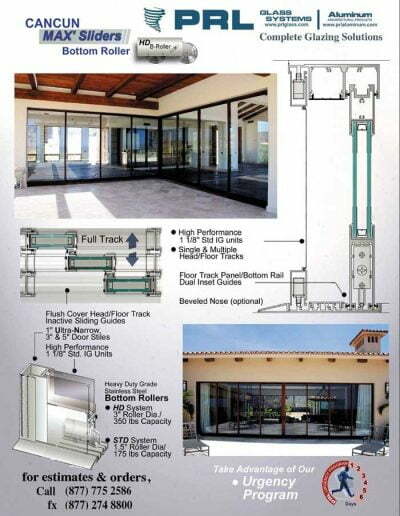 The doors consist of a top and bottom rail and accompanying tracks. 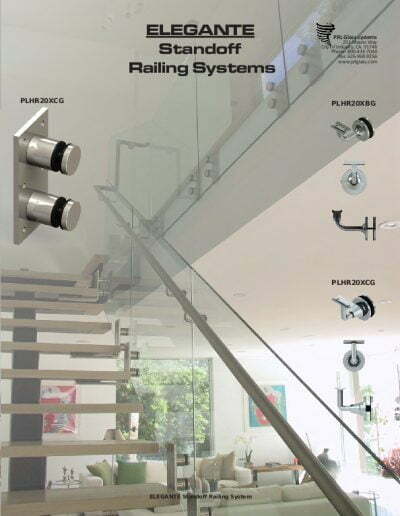 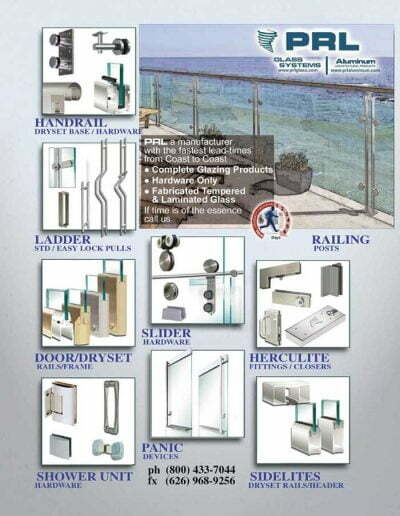 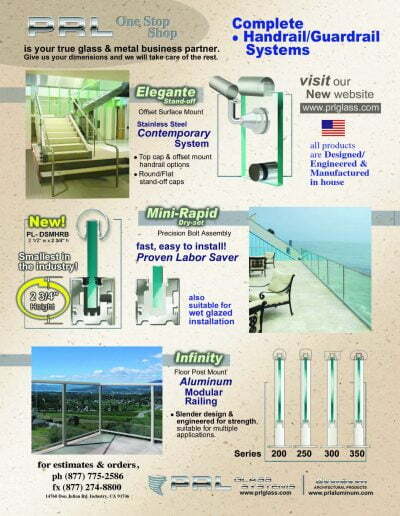 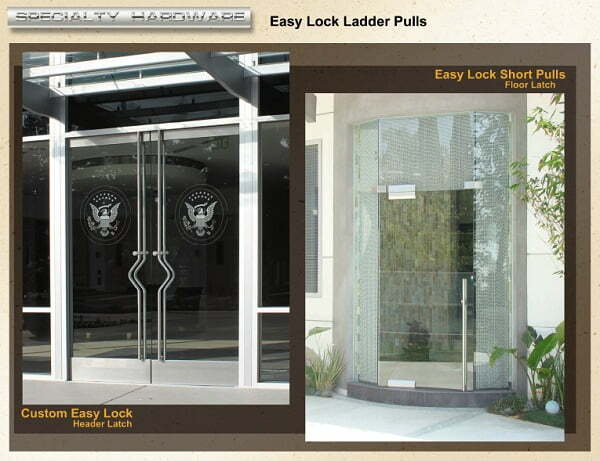 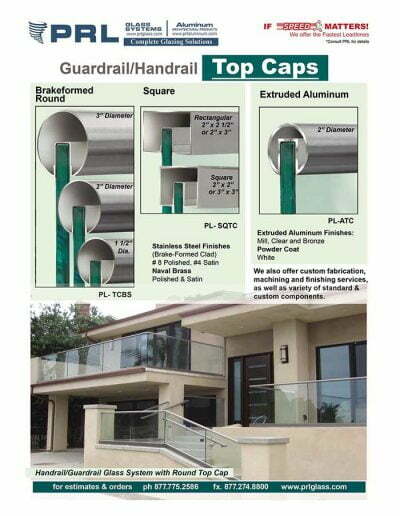 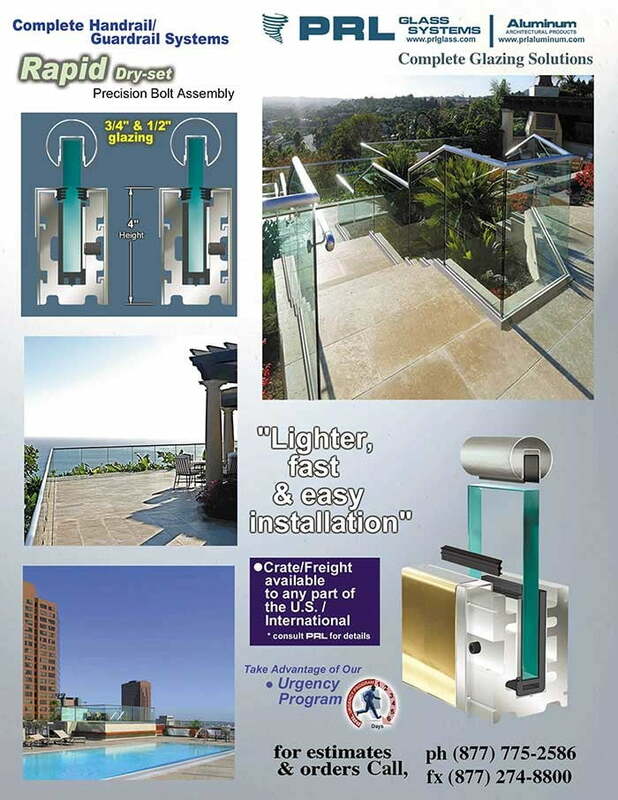 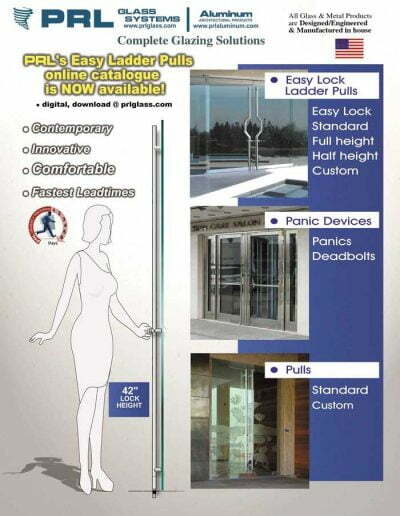 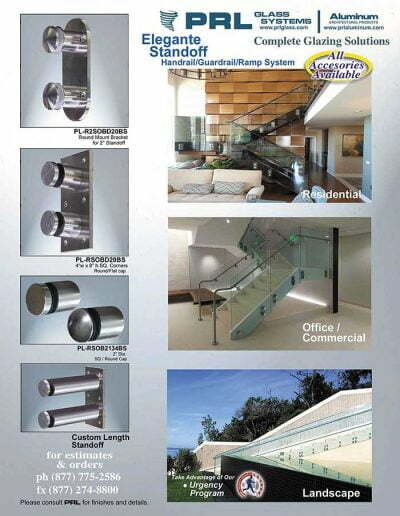 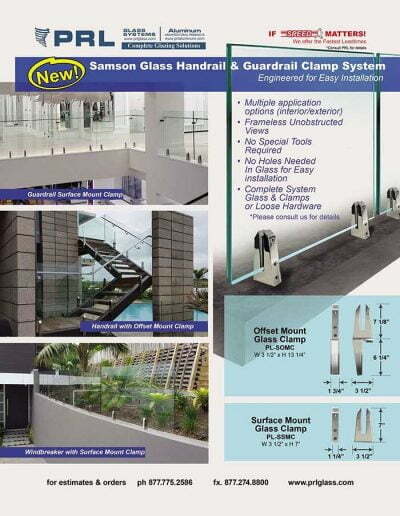 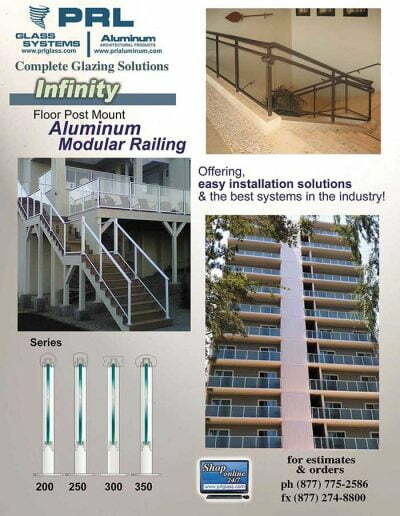 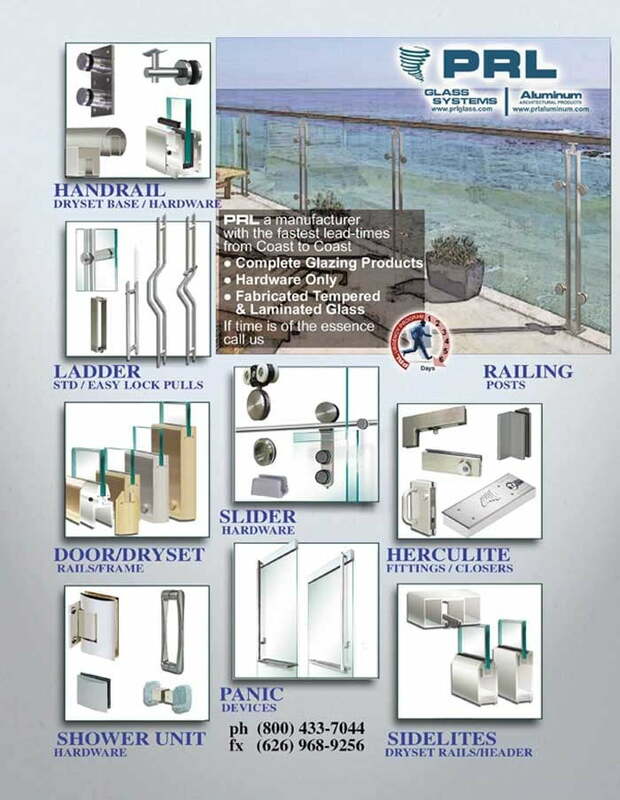 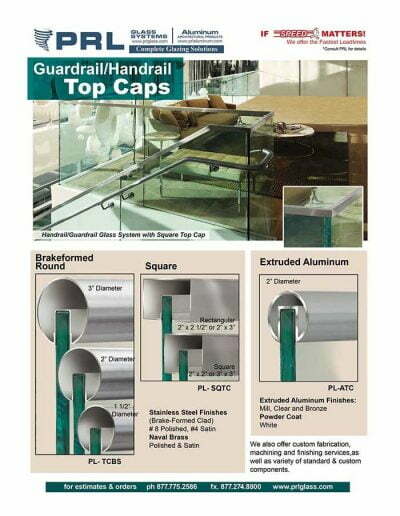 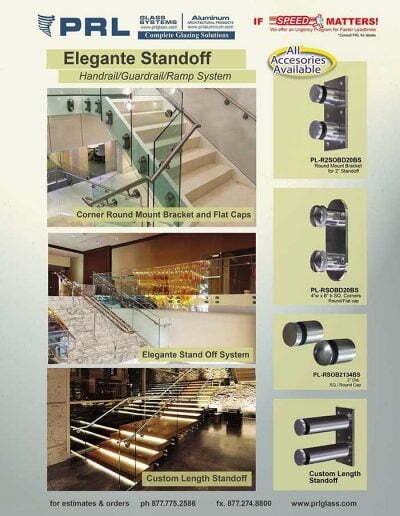 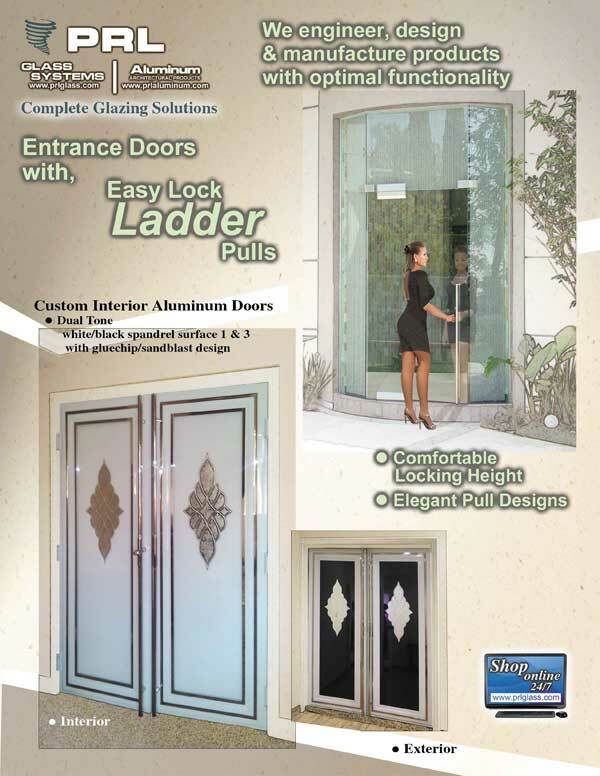 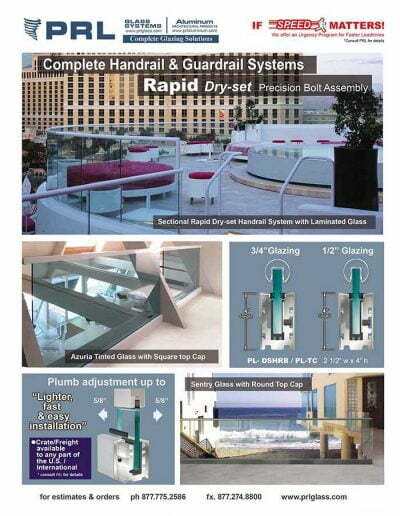 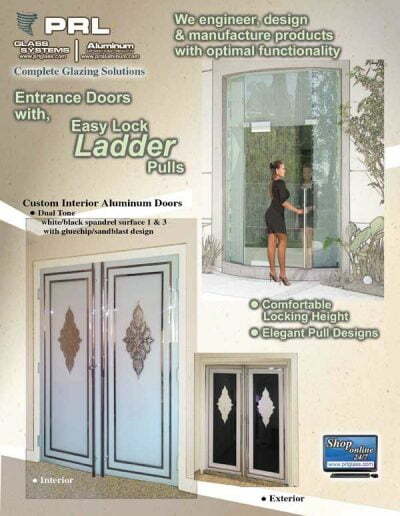 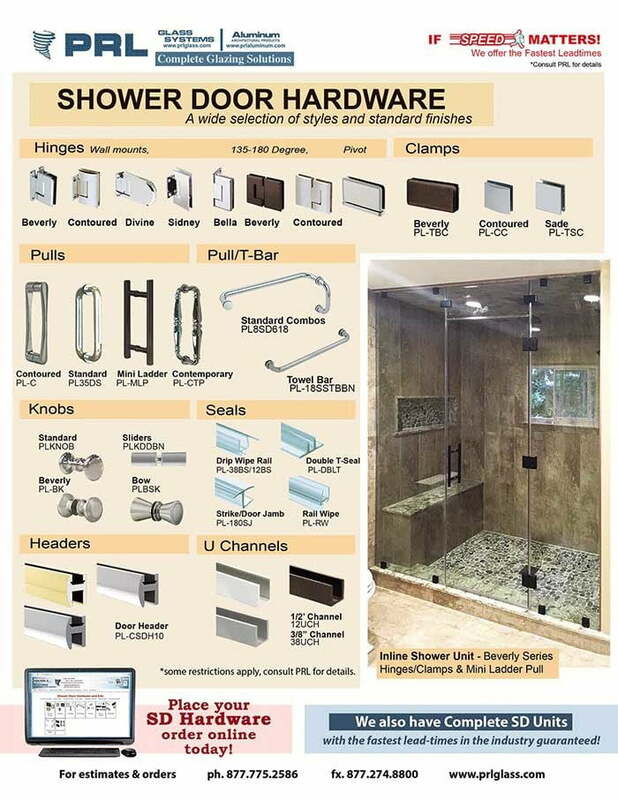 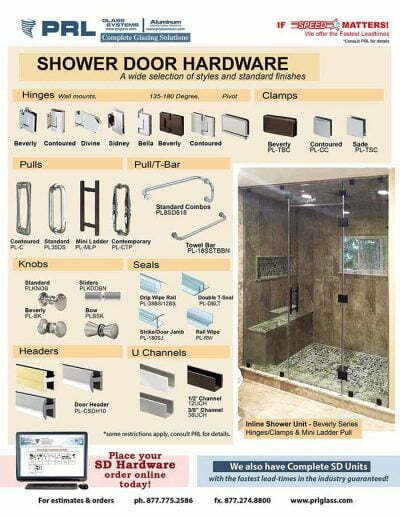 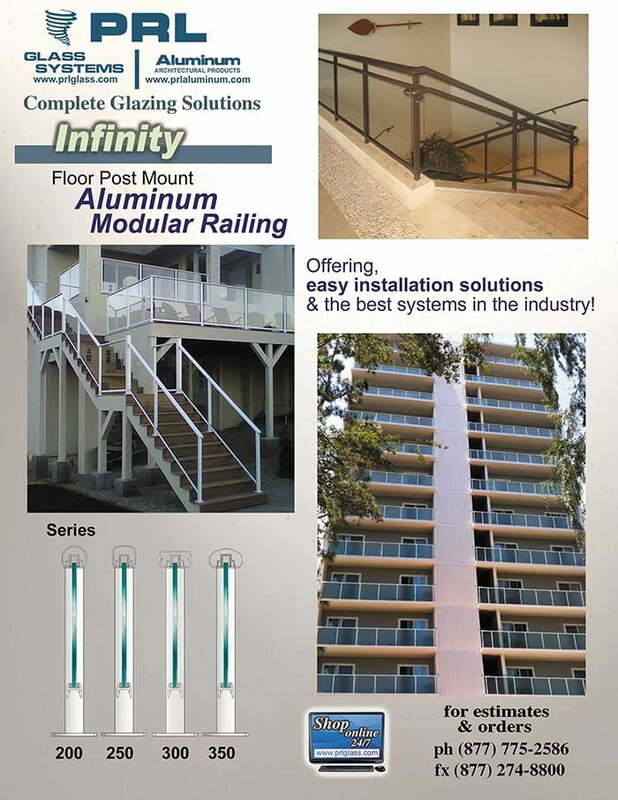 Bottom rail locks are available to lock the doors open or closed. 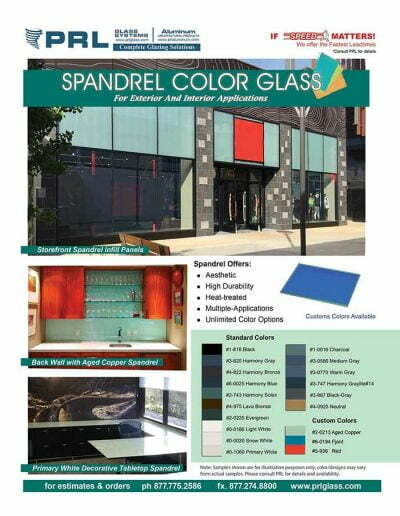 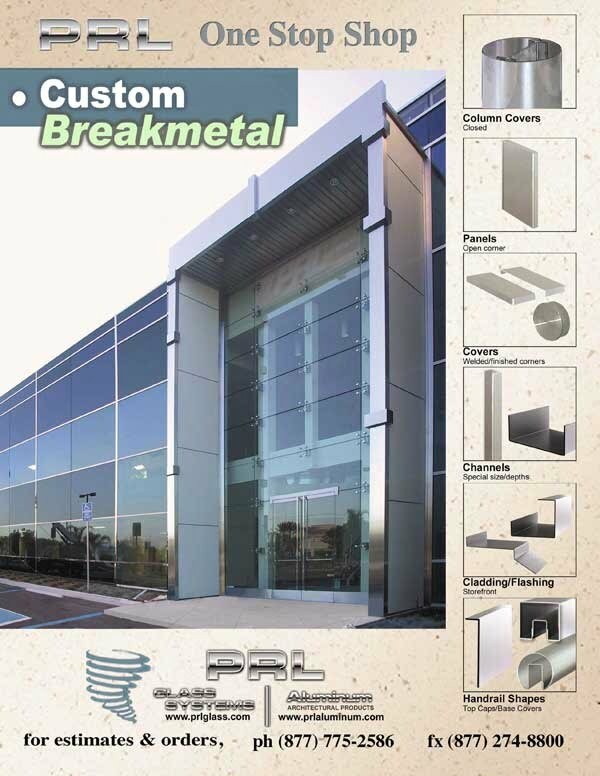 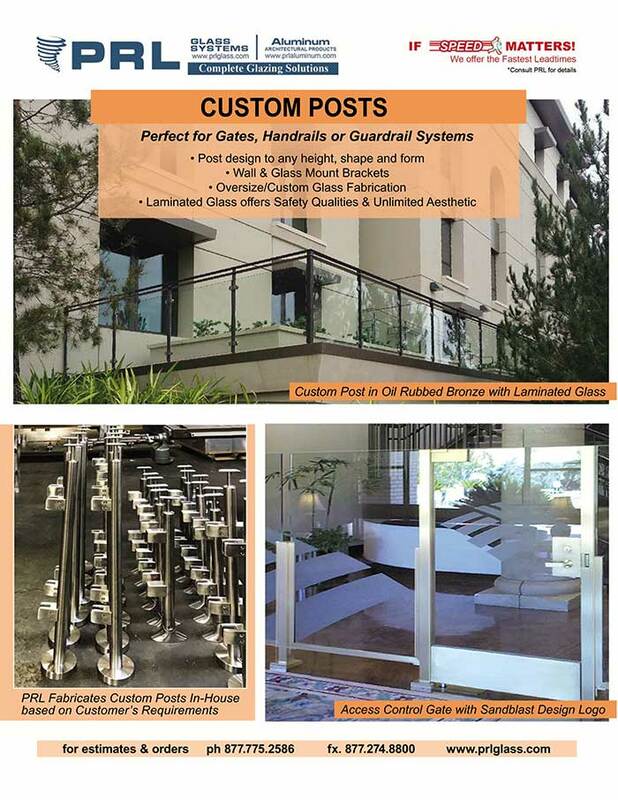 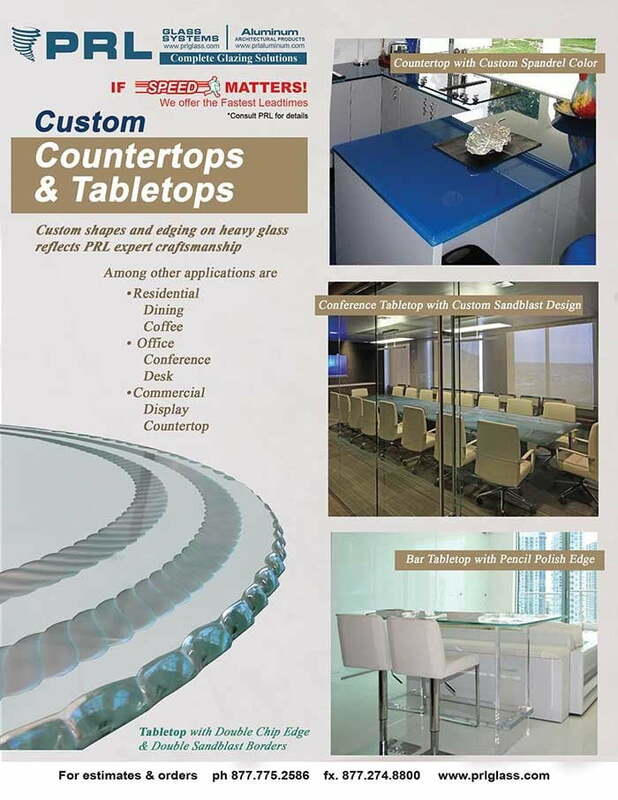 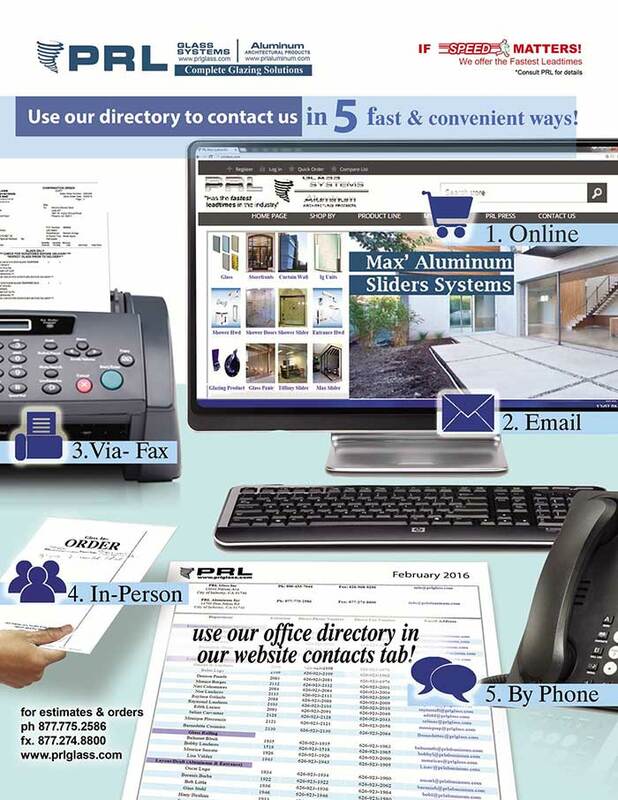 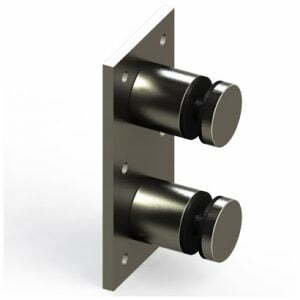 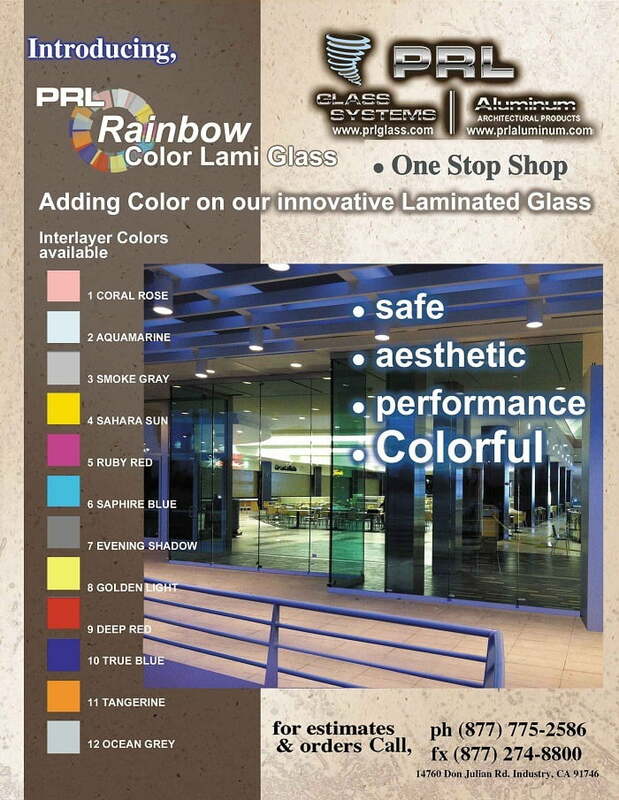 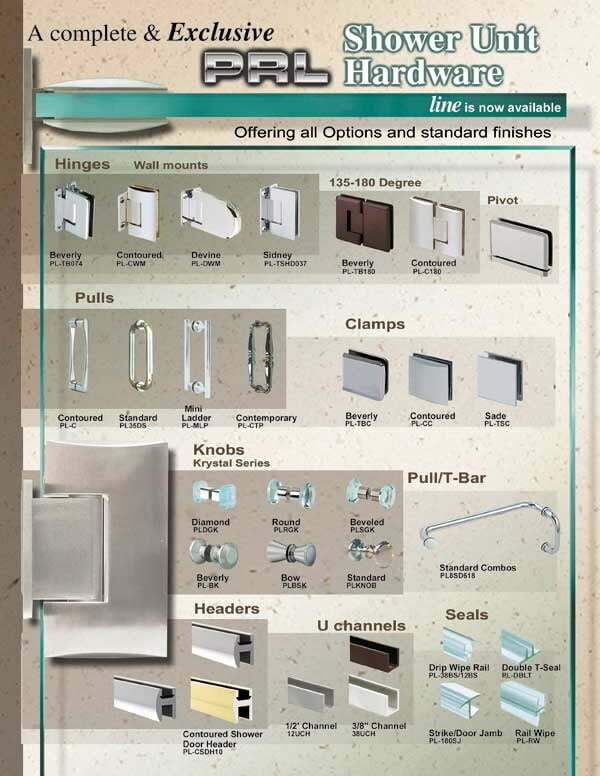 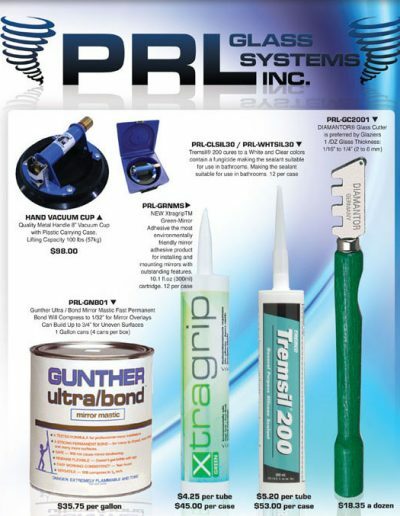 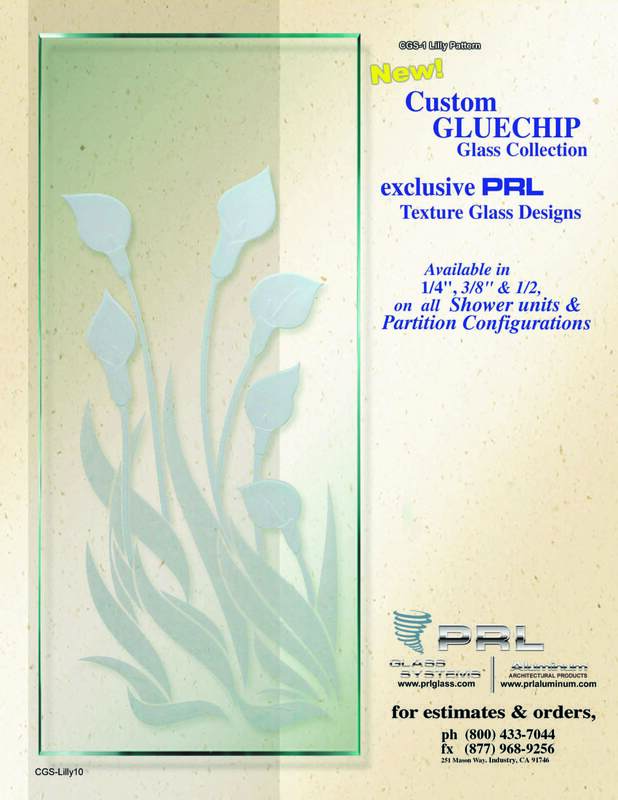 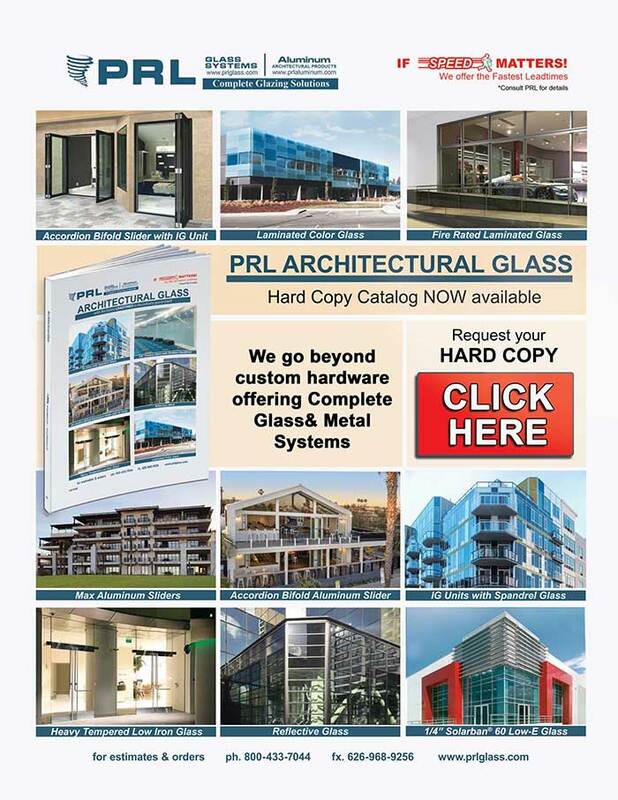 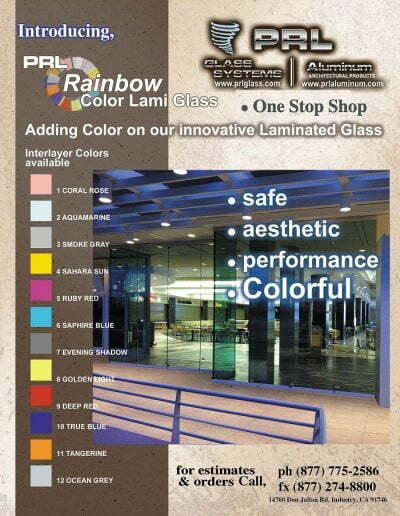 PRL offers a variety of finishes: #4 Brushed Stainless Steel, #8 Polished Stainless Steel, Satin and Polished Brass, Clear and Bronze Anodized and custom painted finishes. 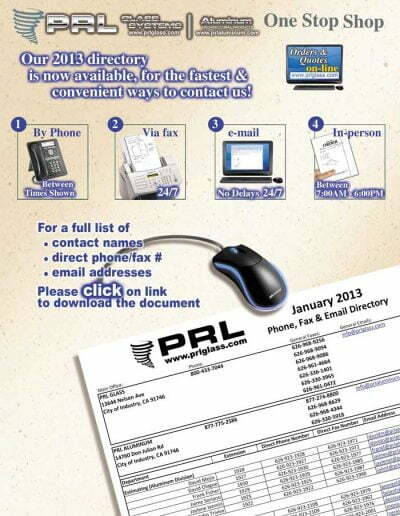 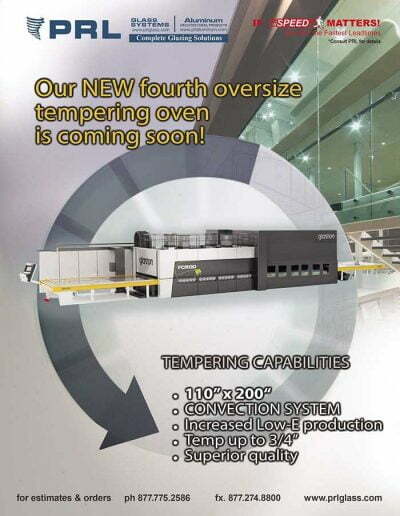 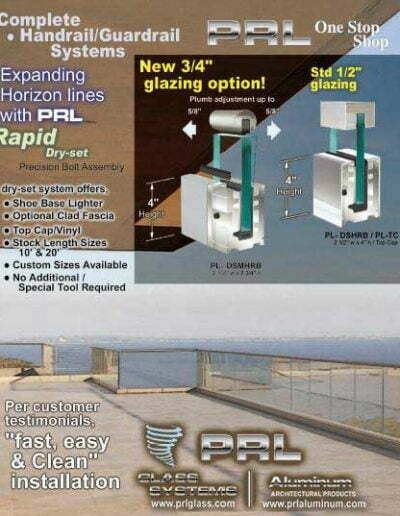 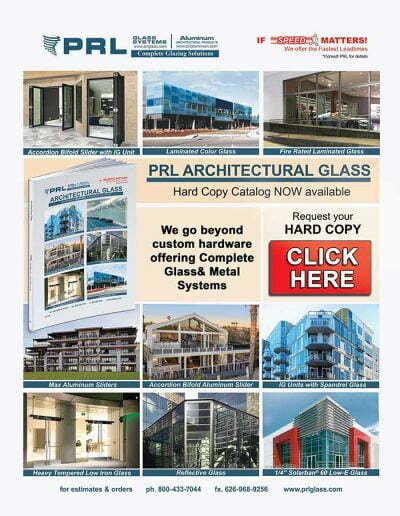 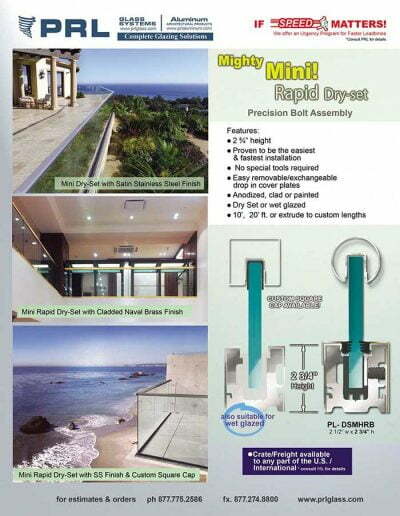 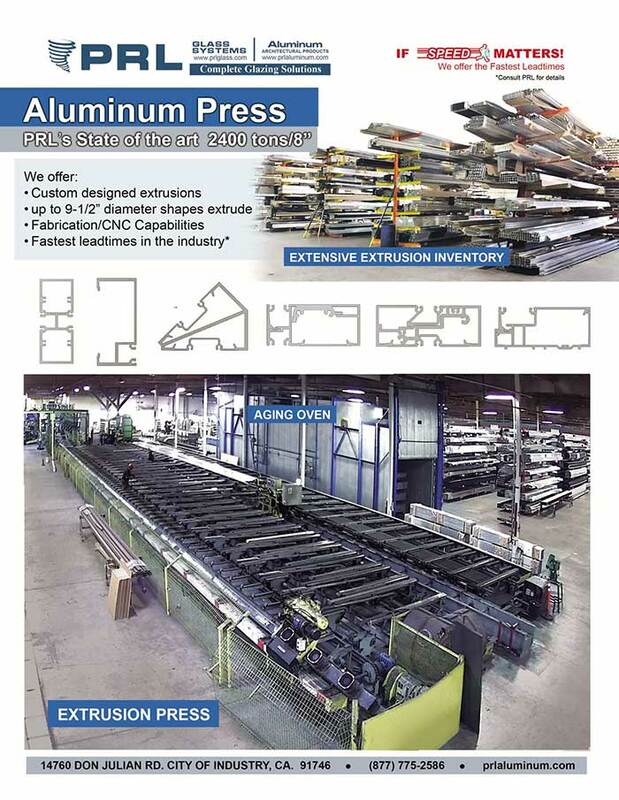 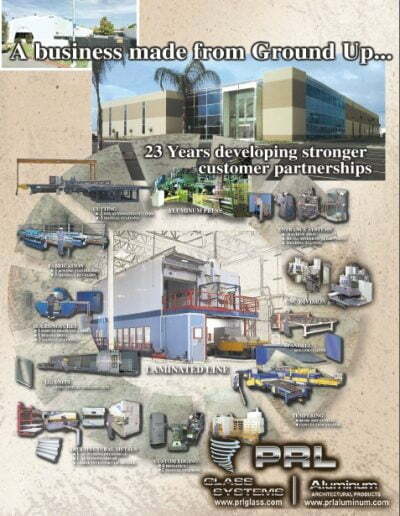 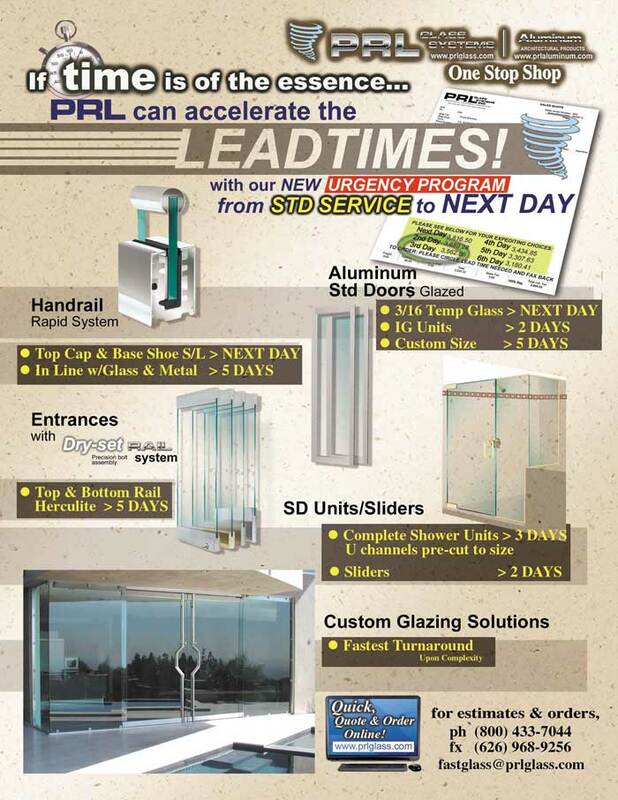 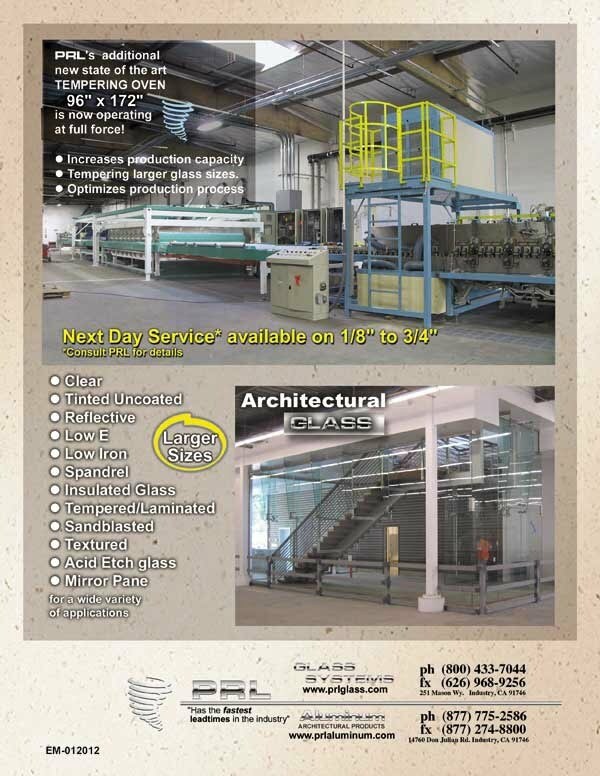 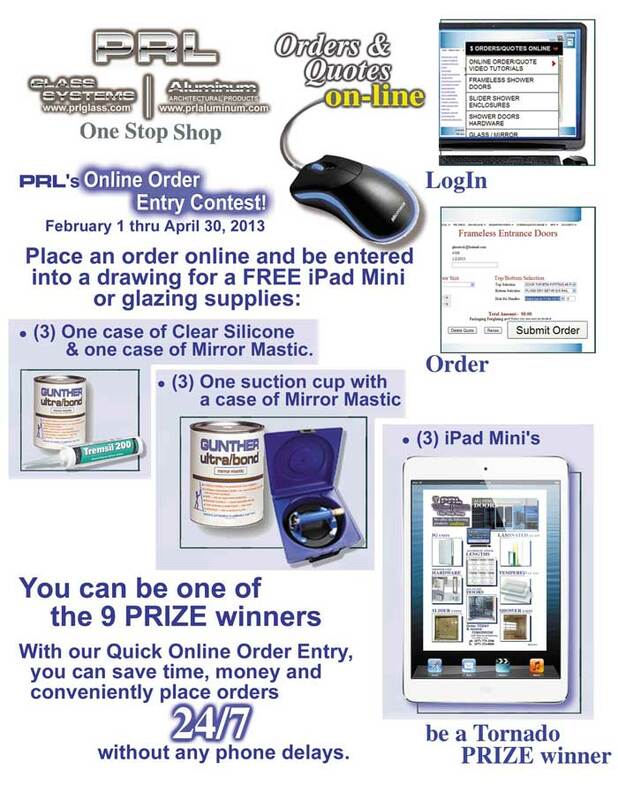 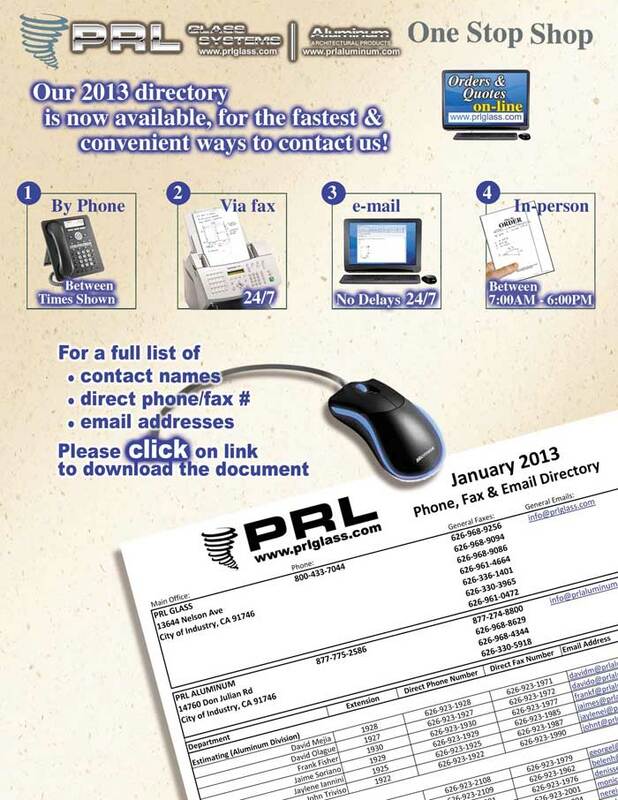 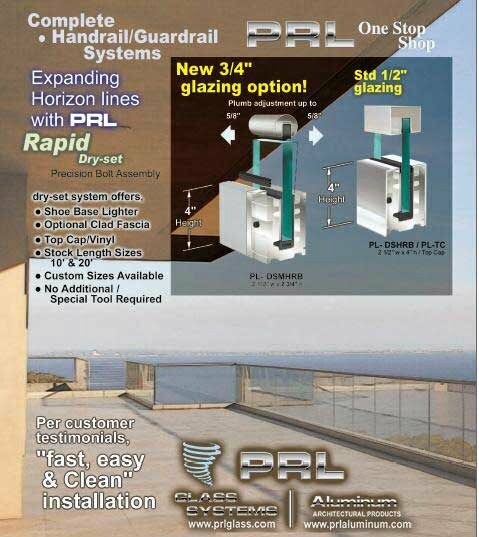 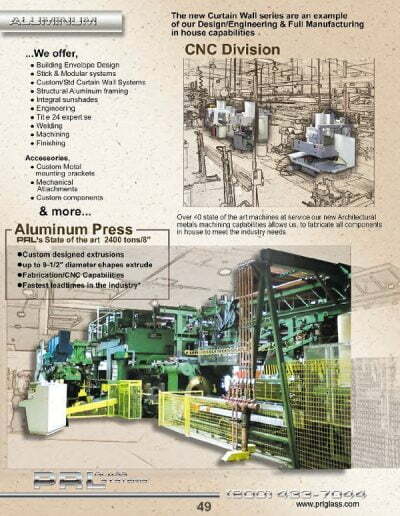 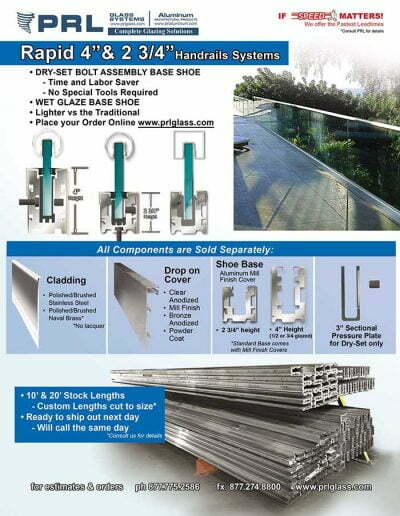 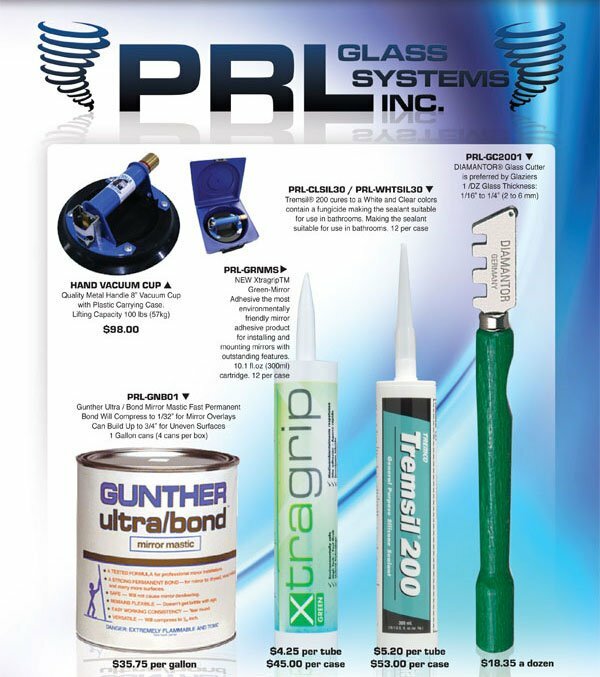 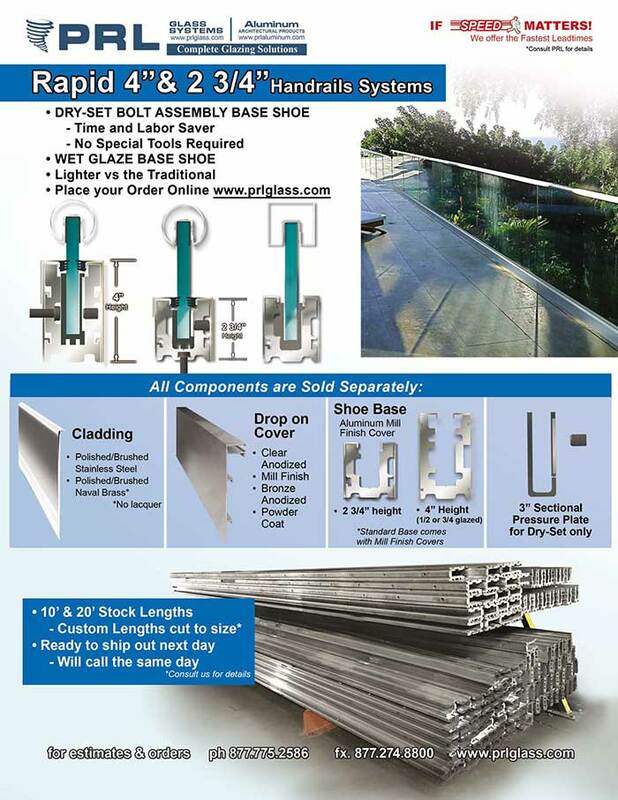 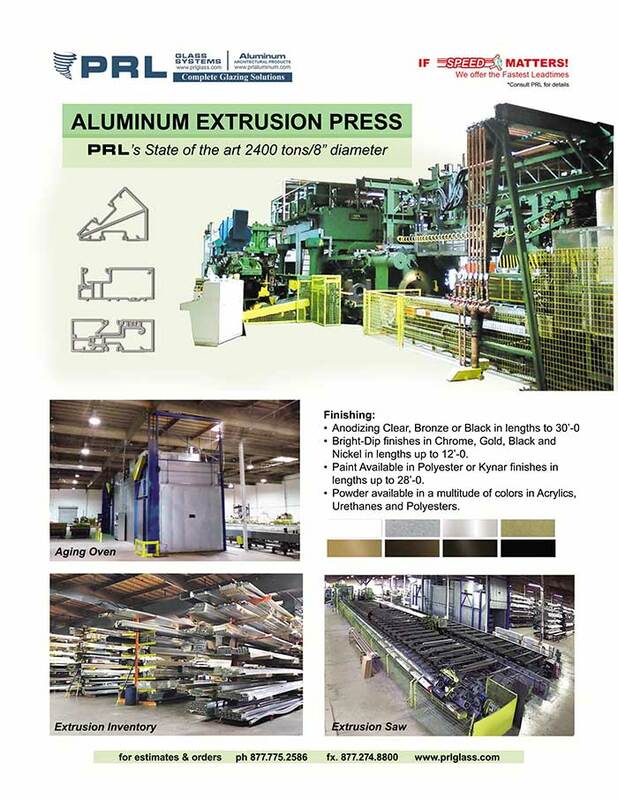 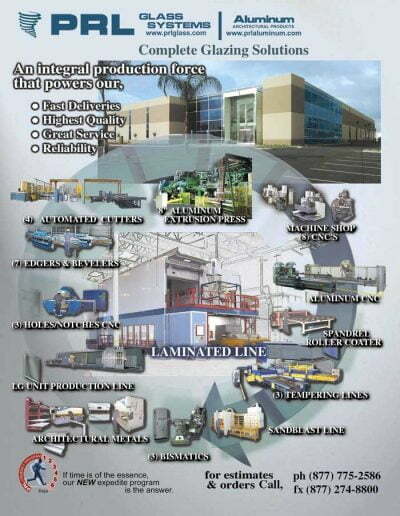 At PRL we extrude as well as clad our own rails in-house.